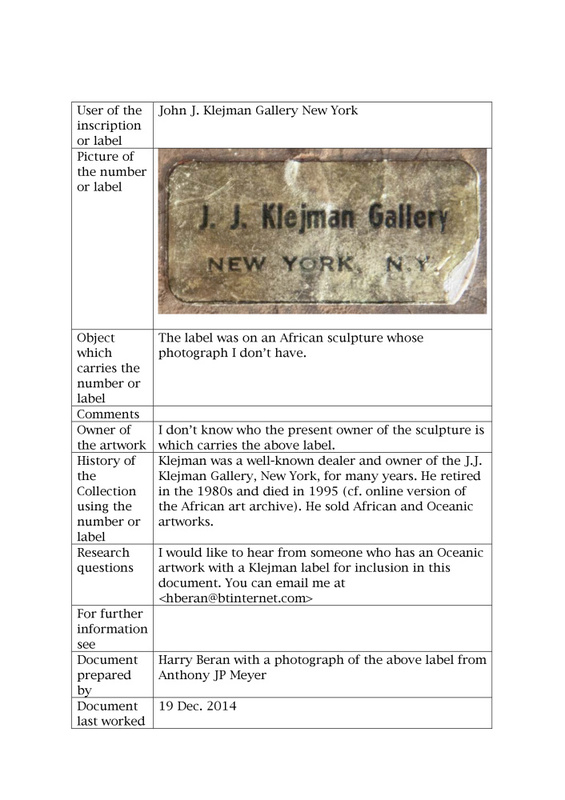 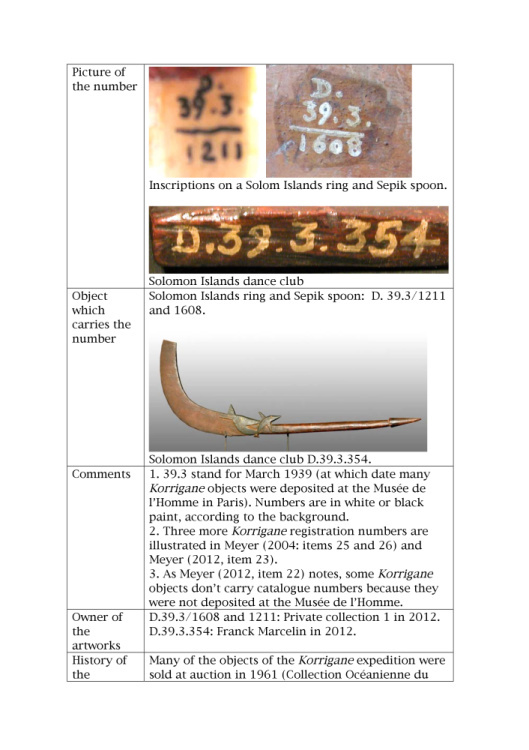 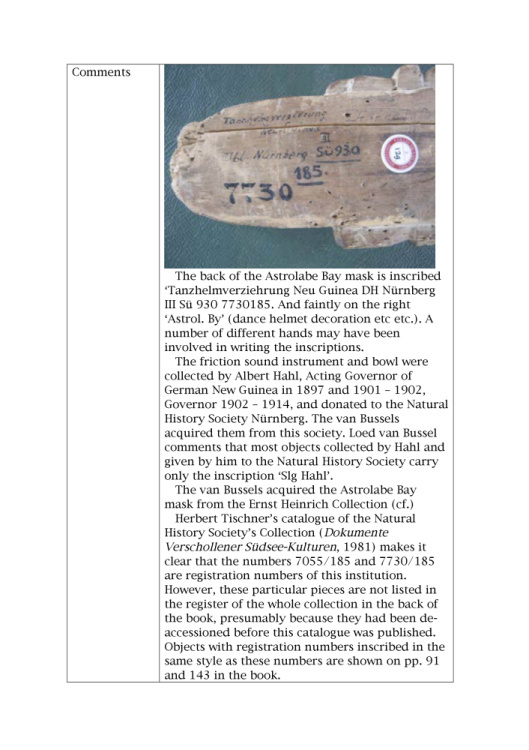 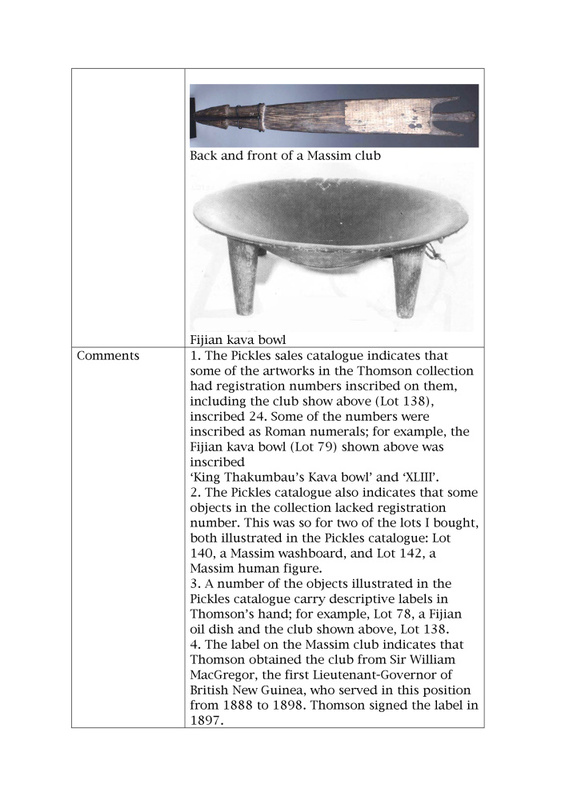 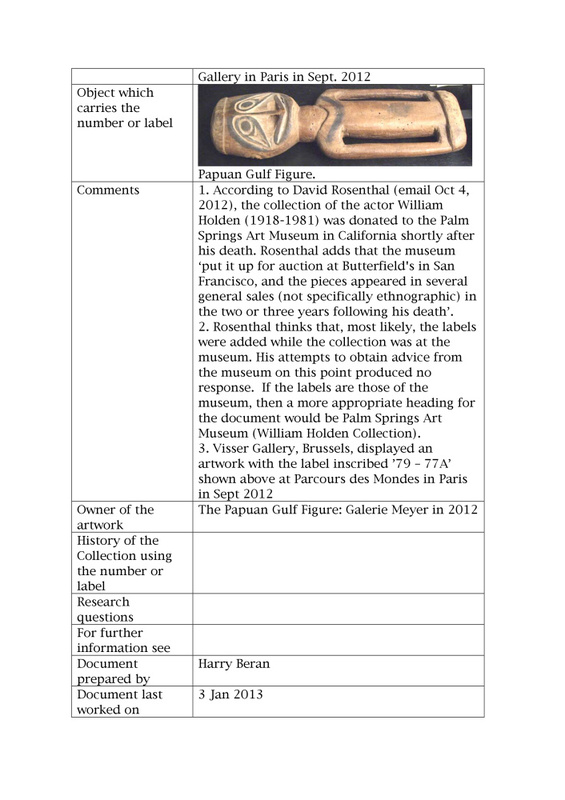 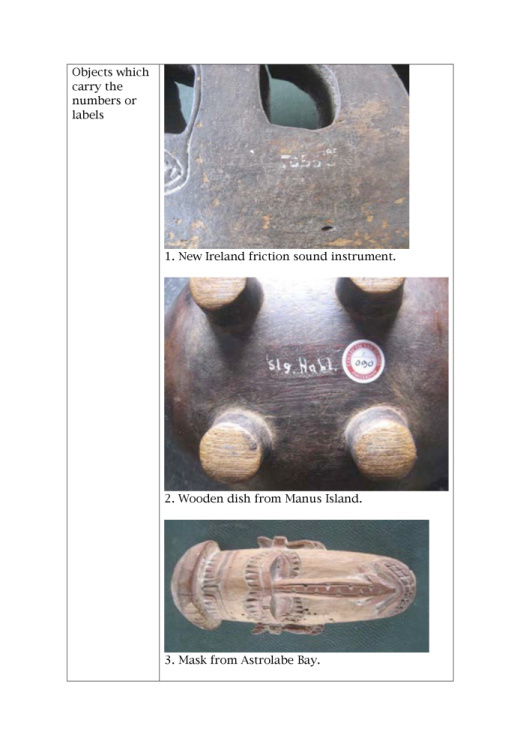 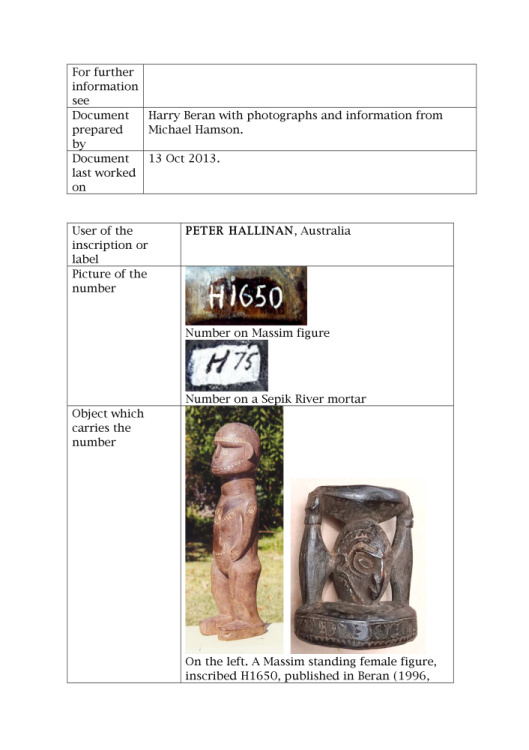 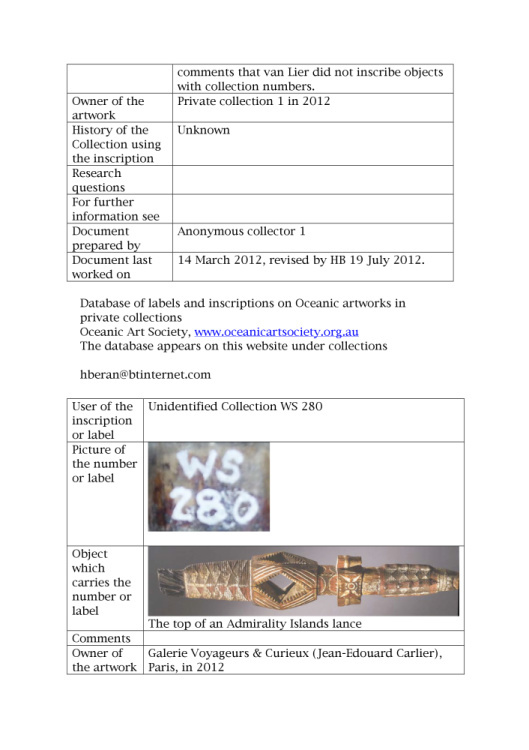 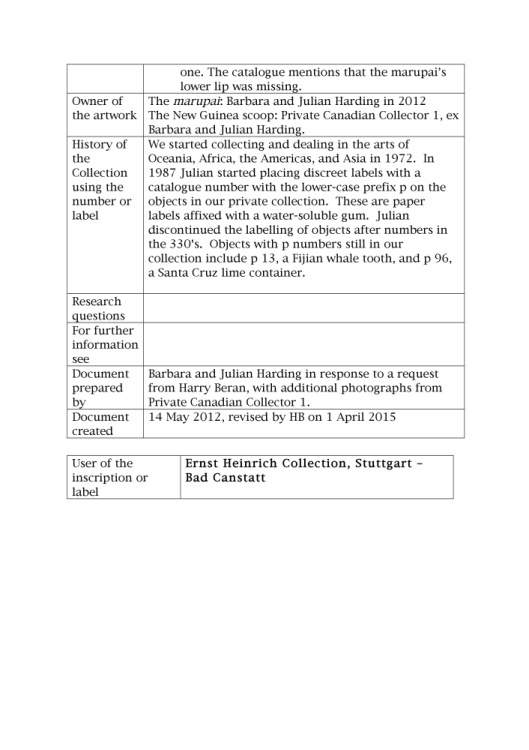 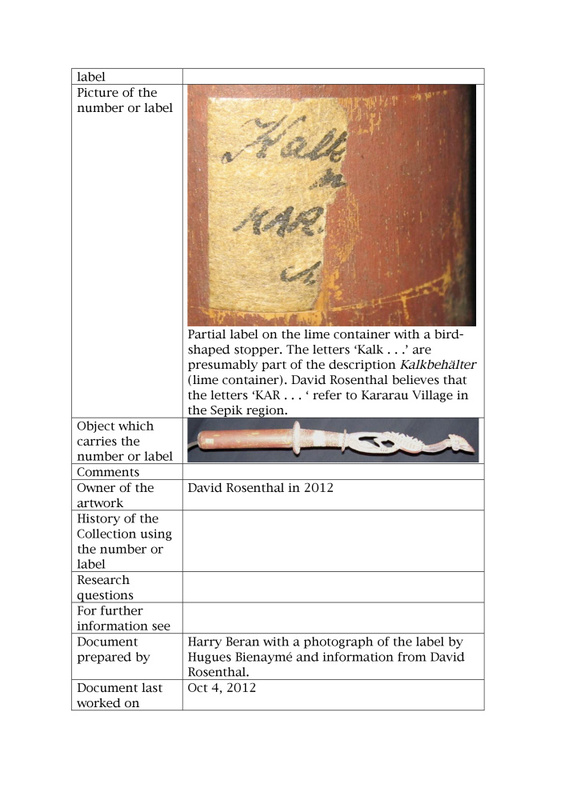 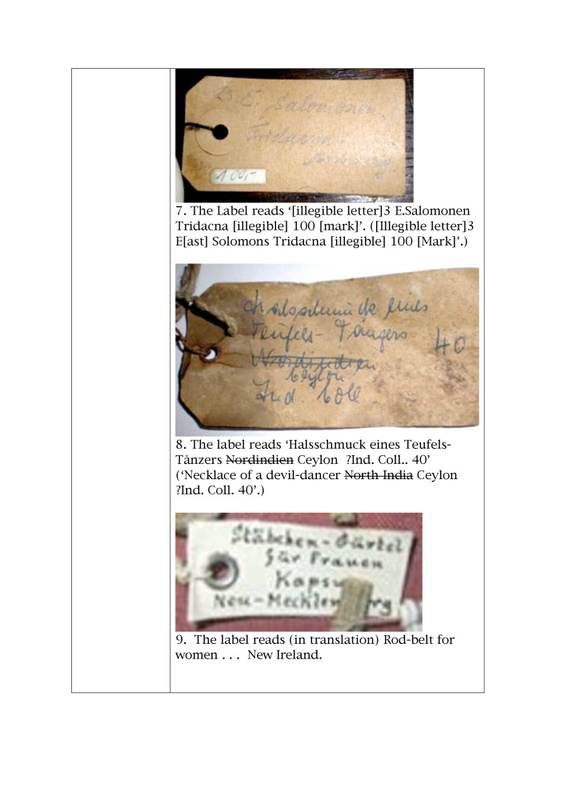 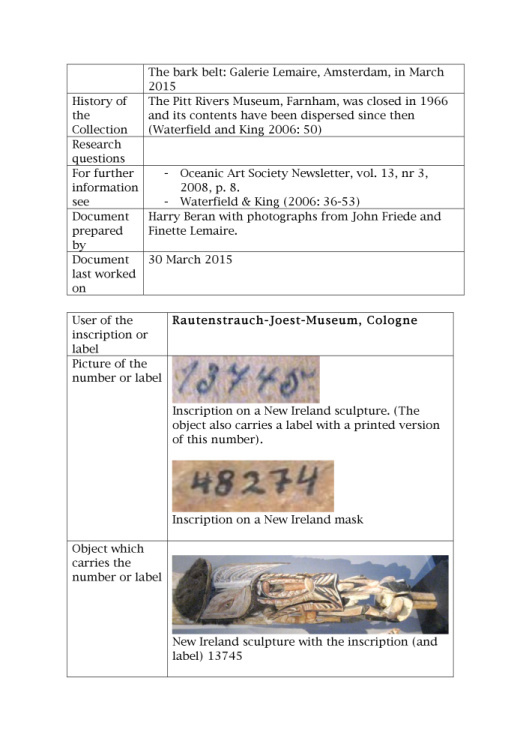 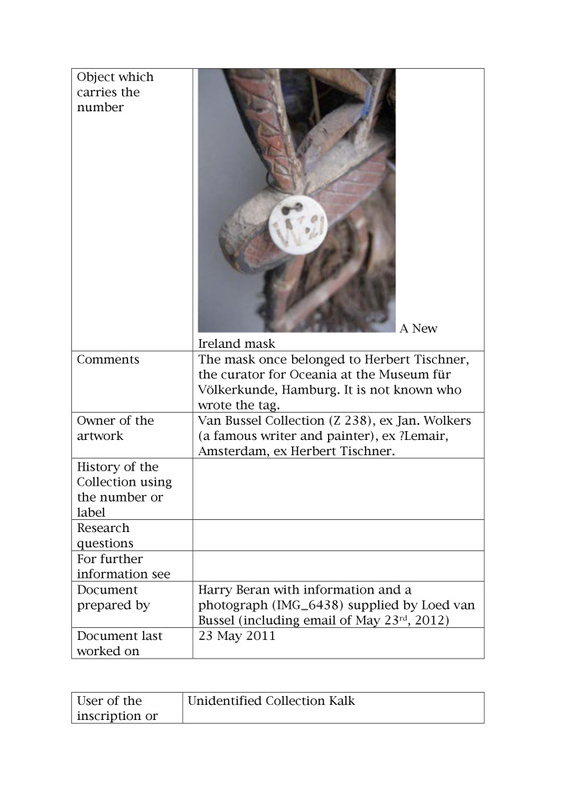 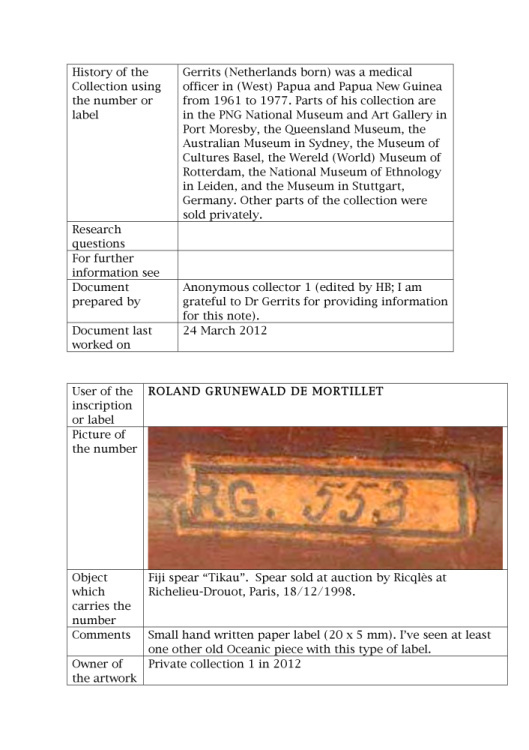 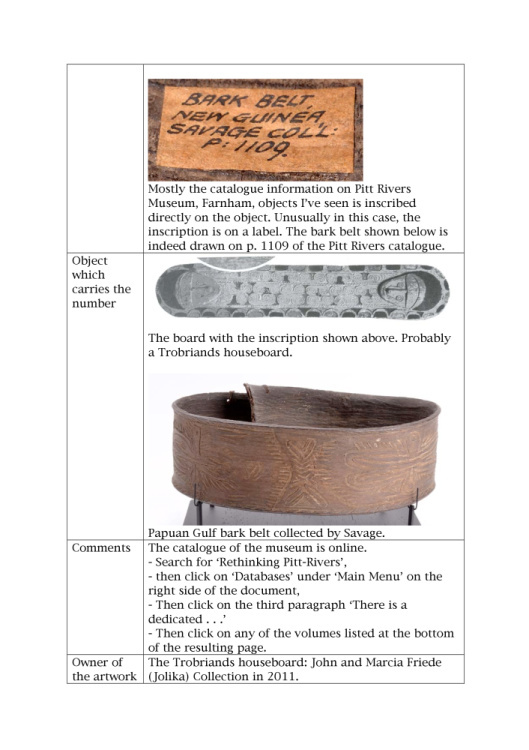 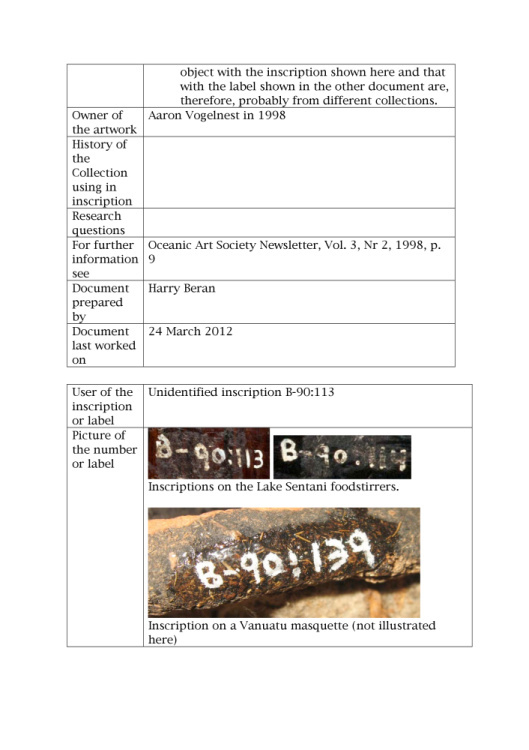 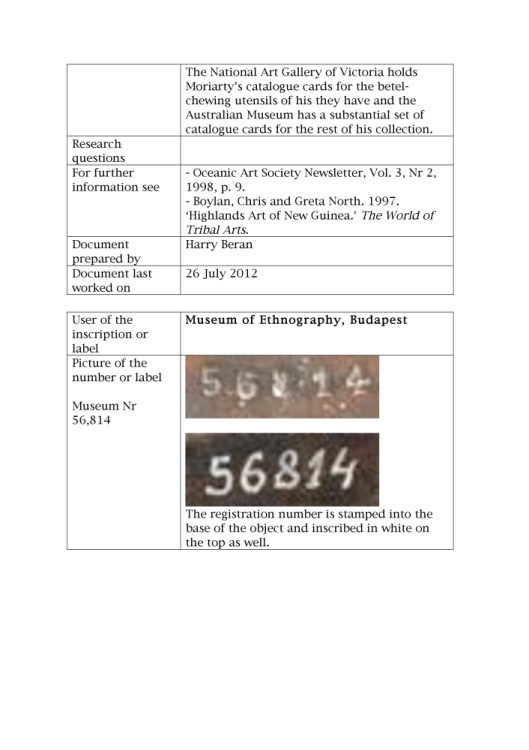 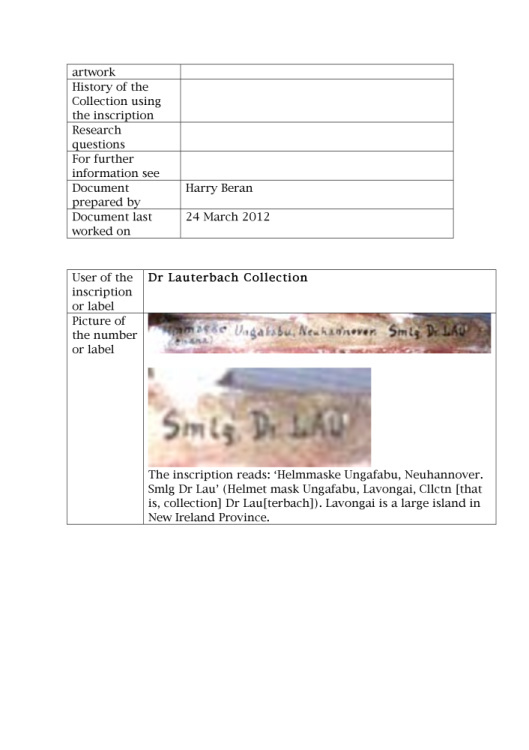 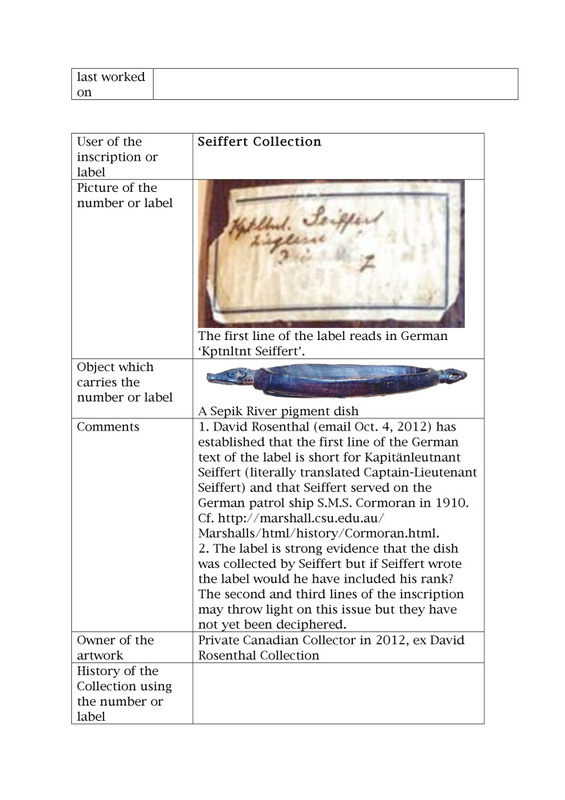 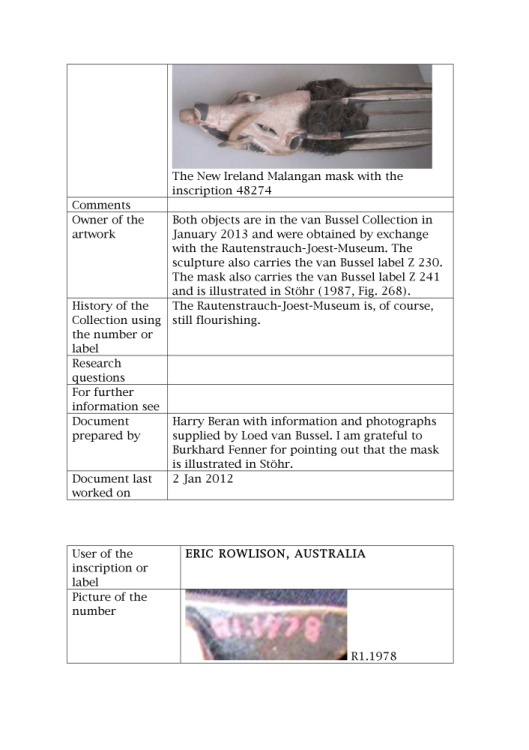 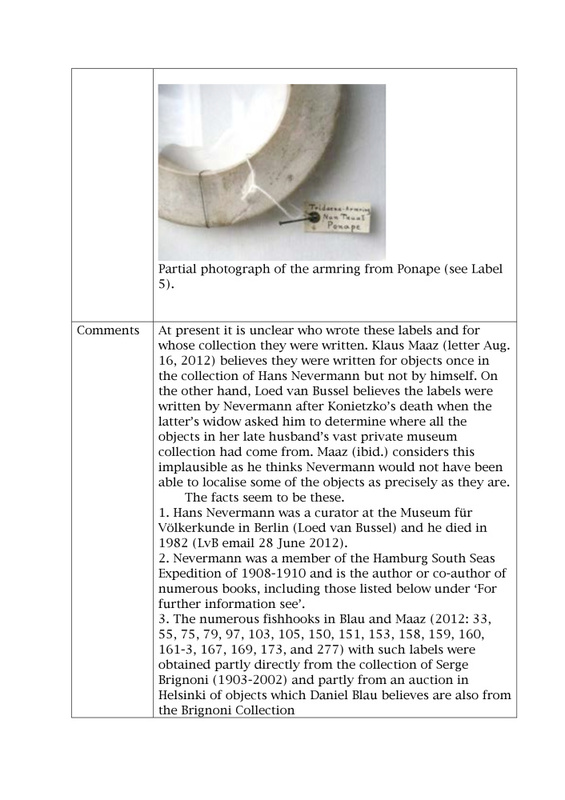 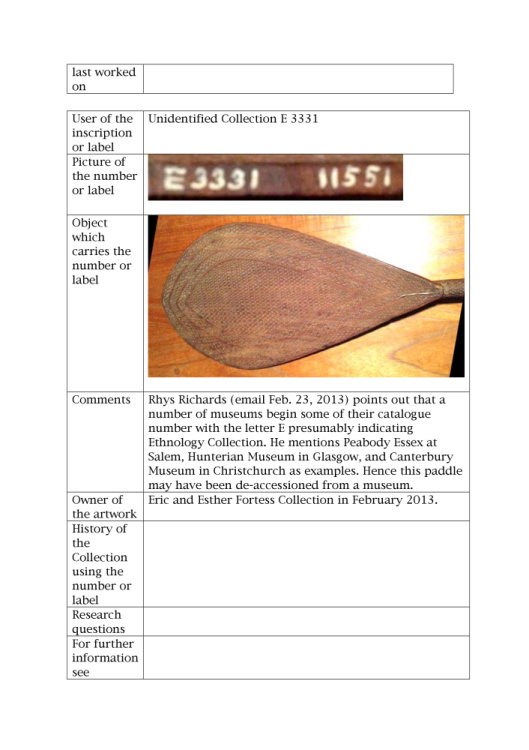 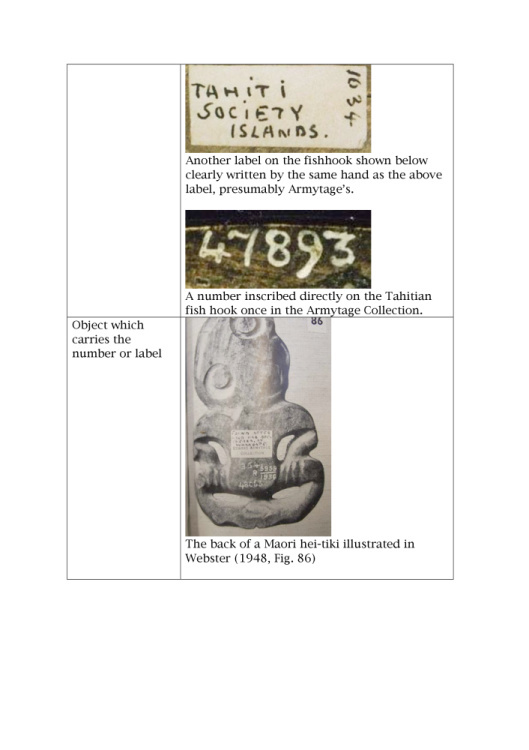 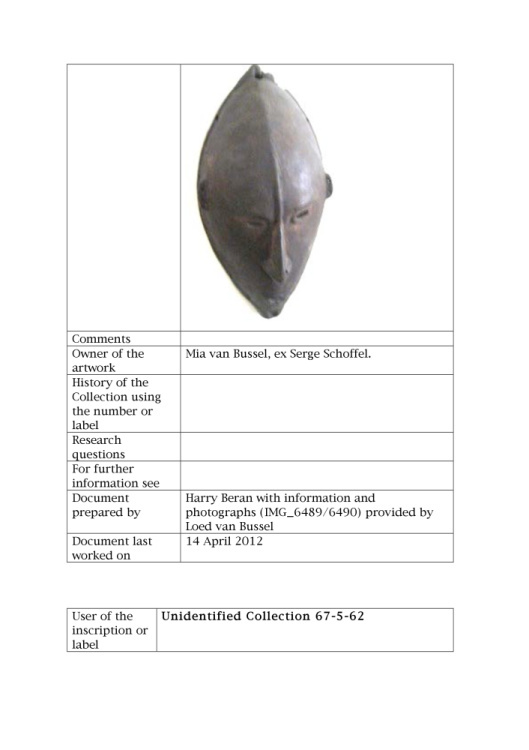 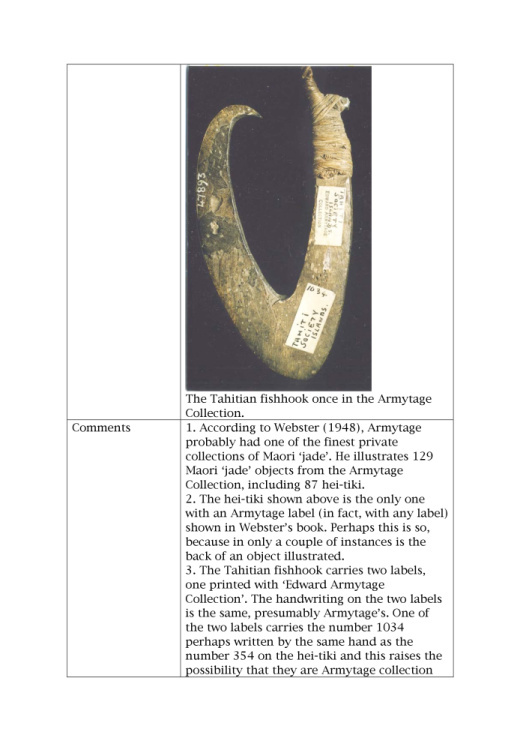 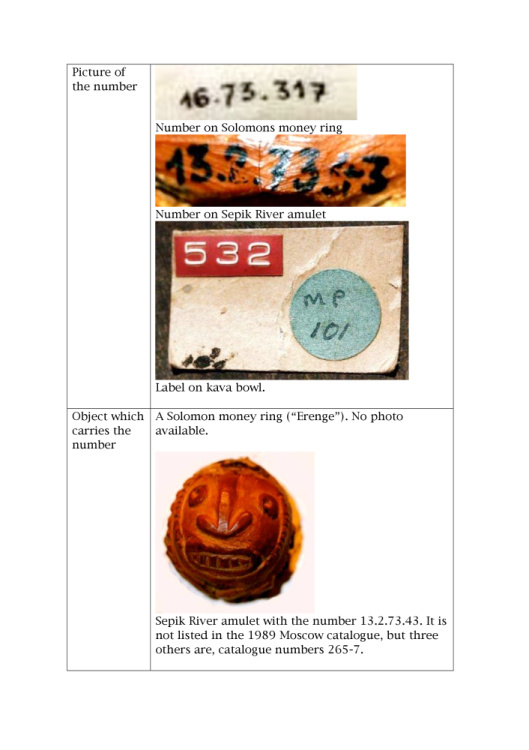 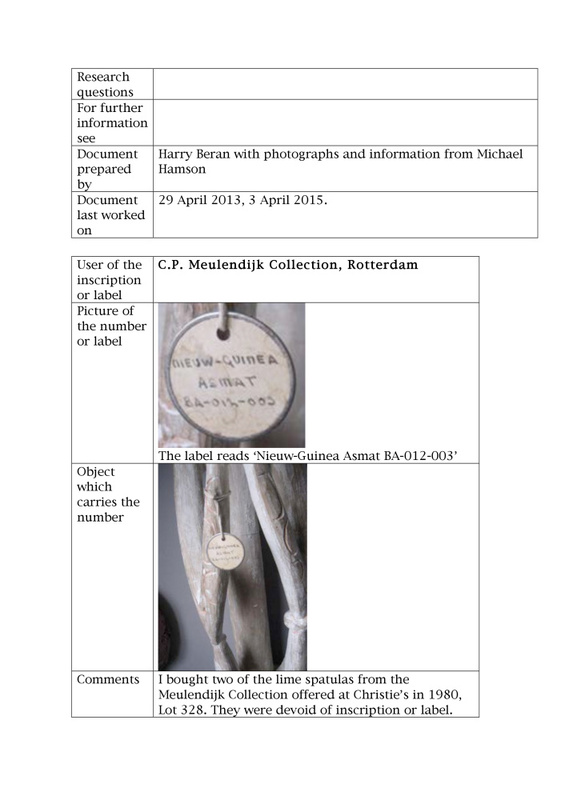 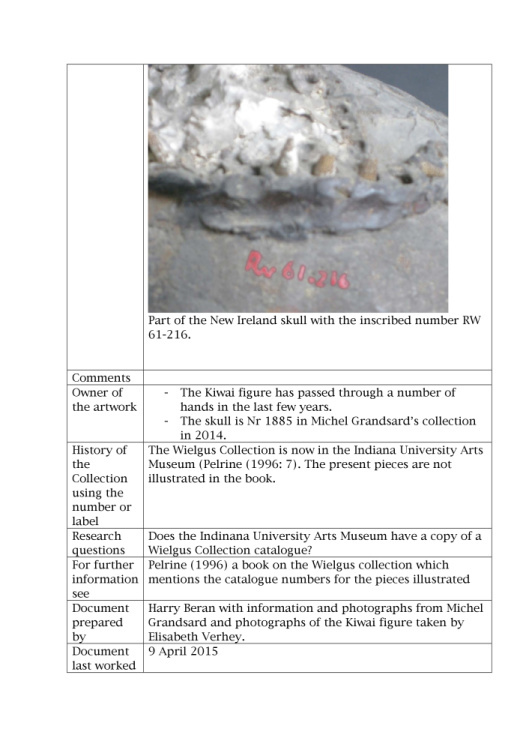 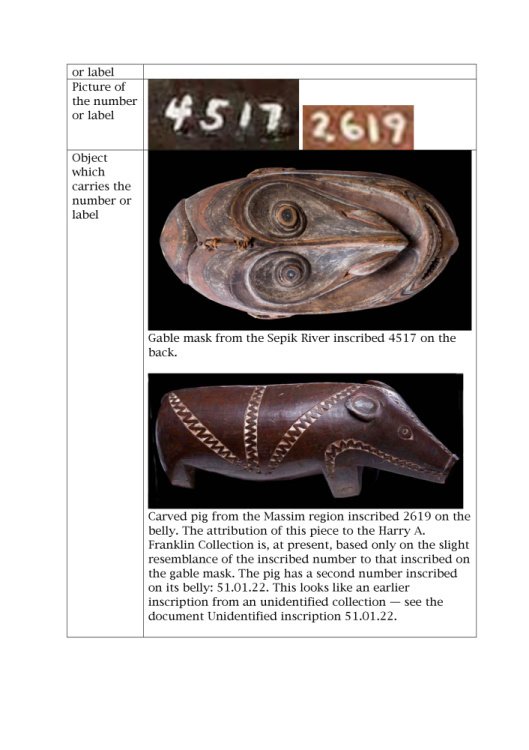 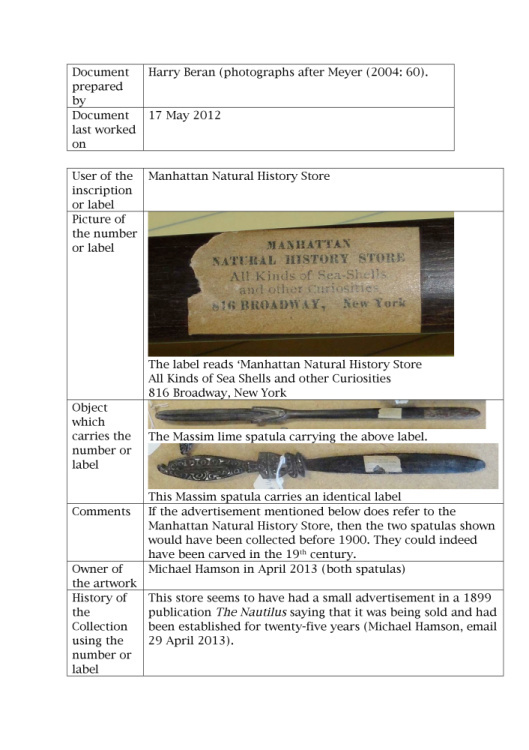 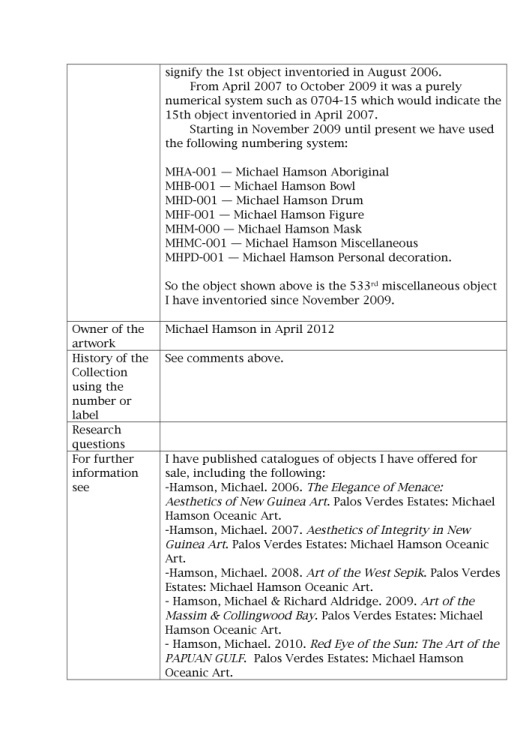 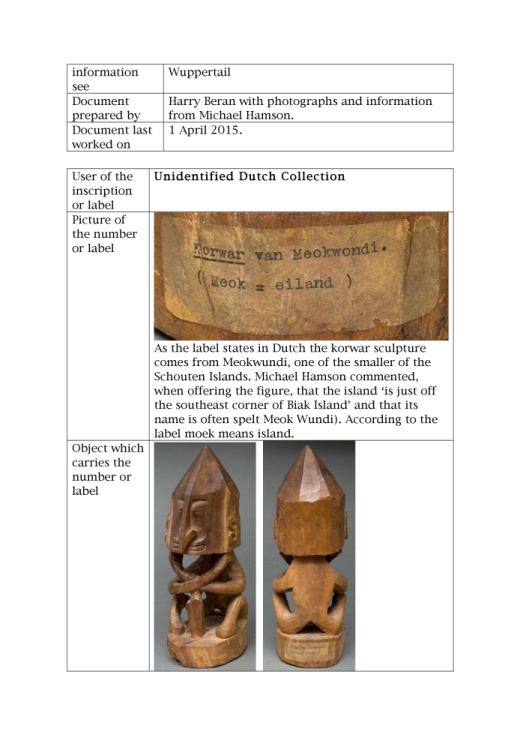 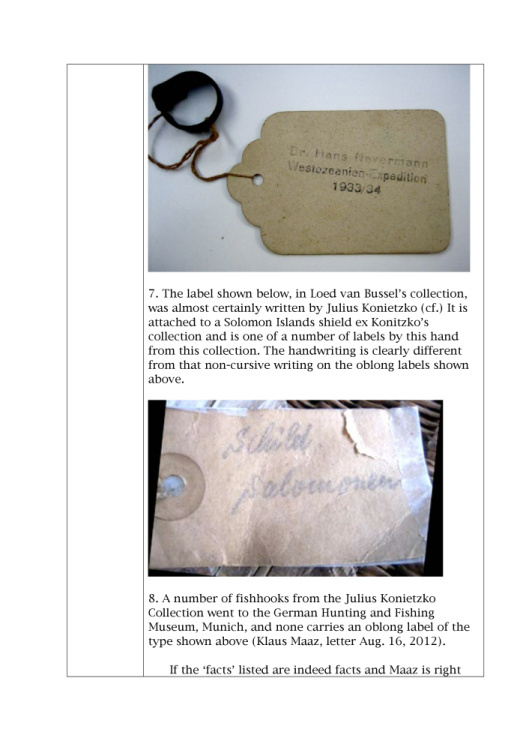 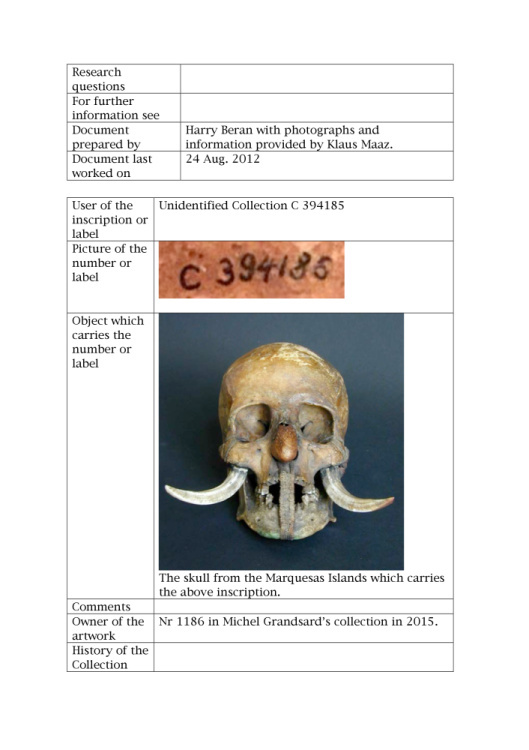 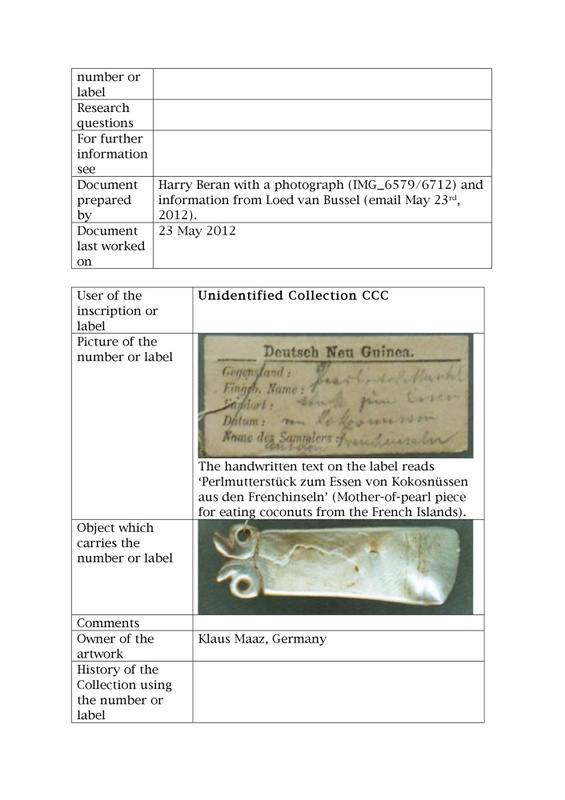 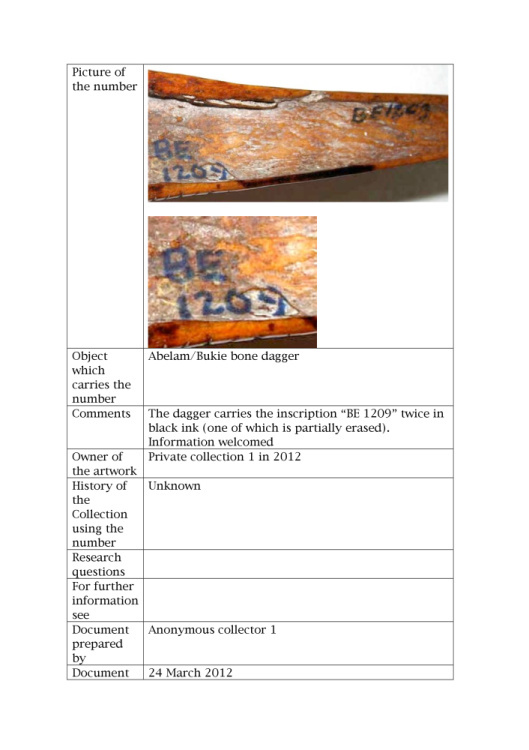 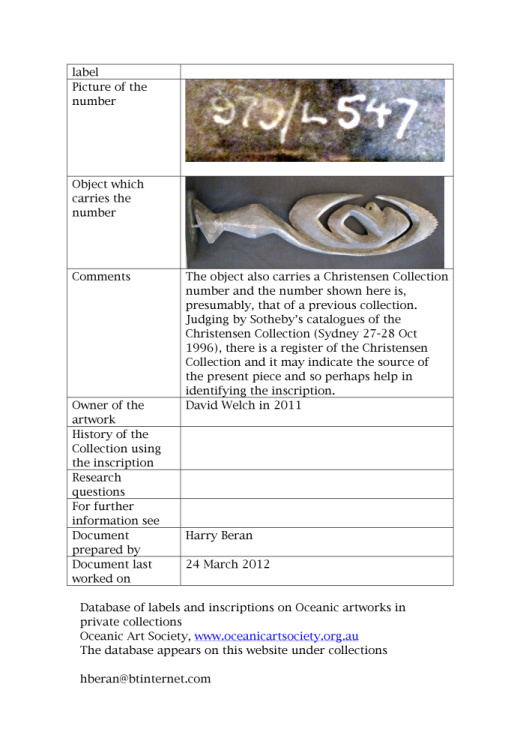 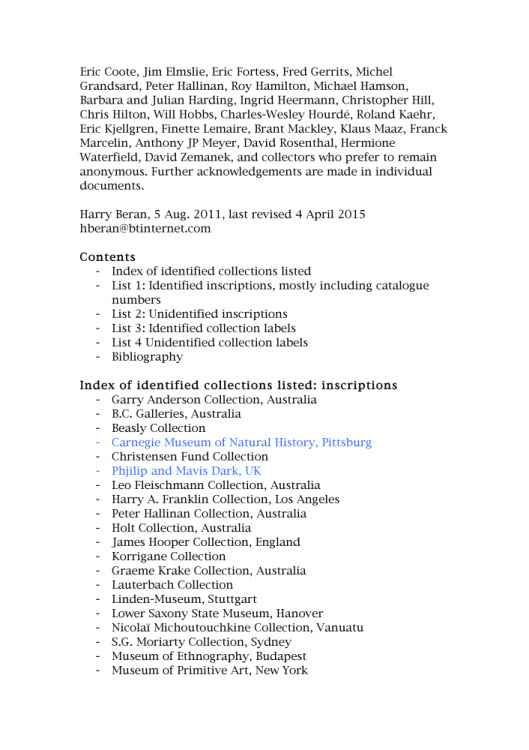 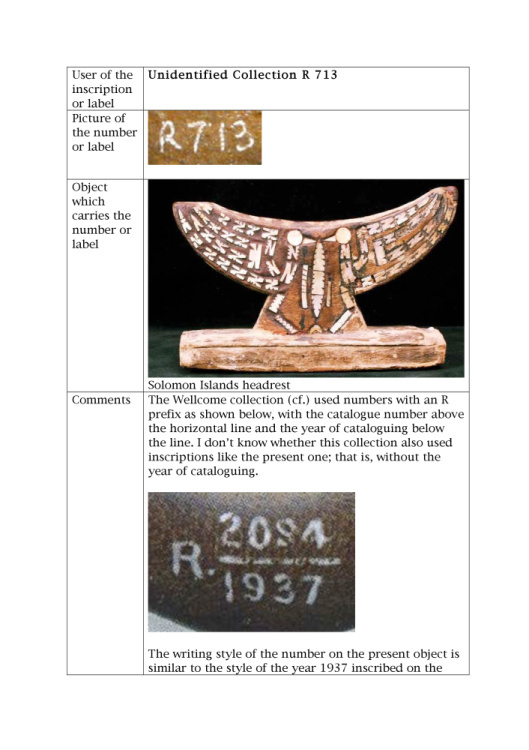 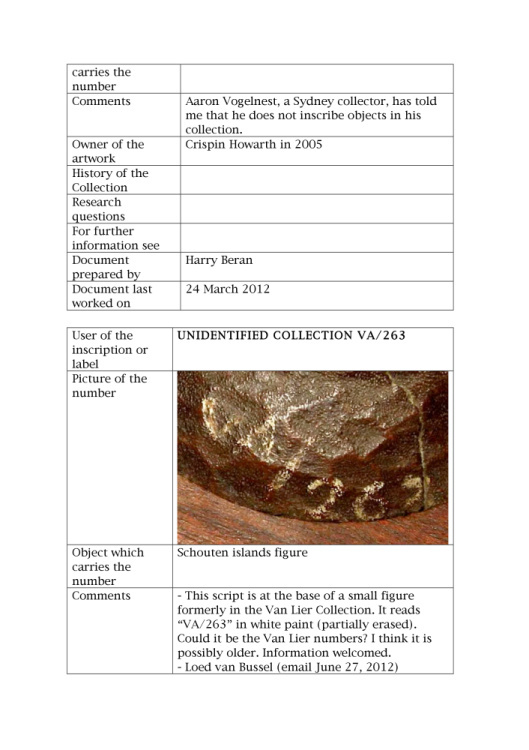 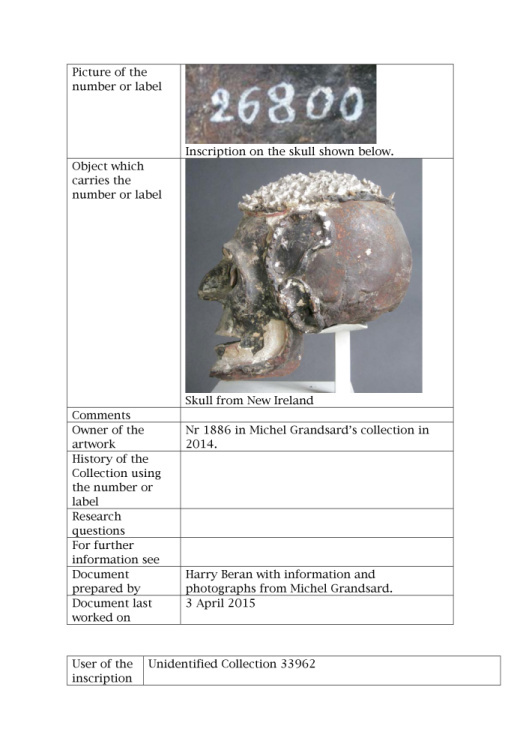 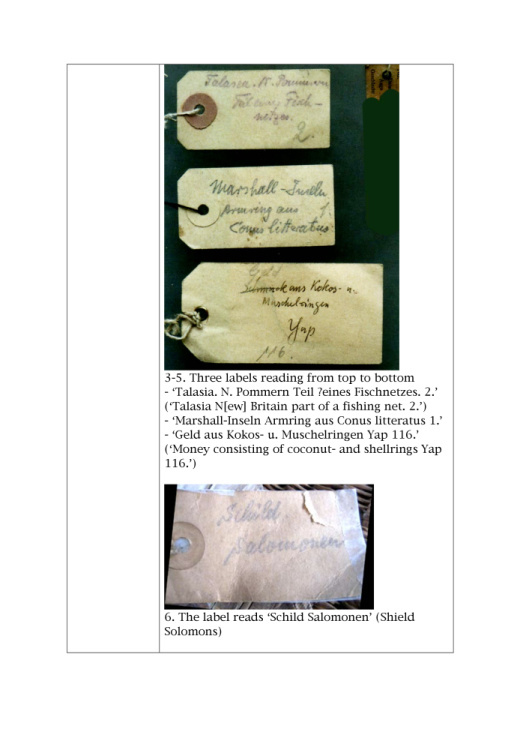 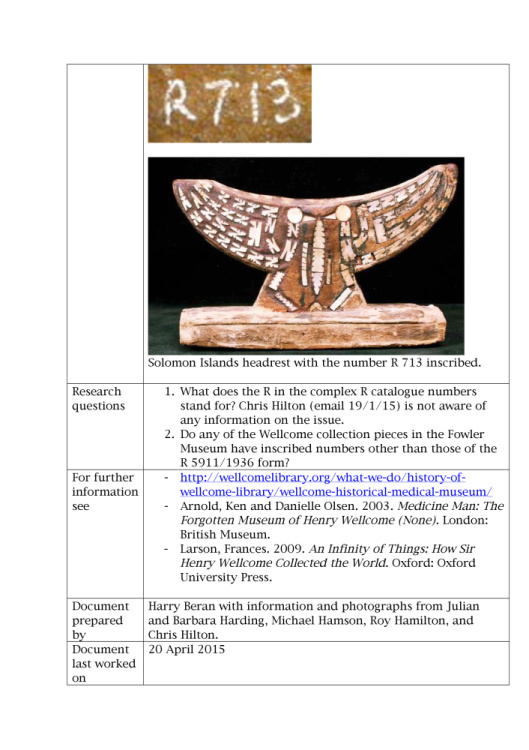 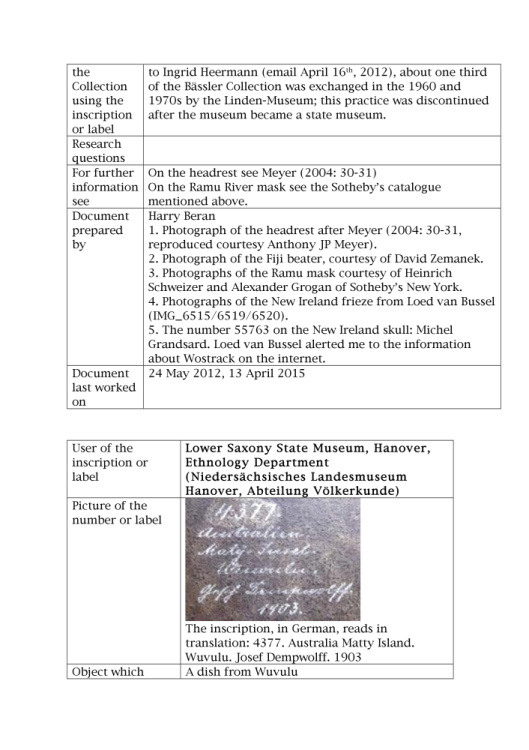 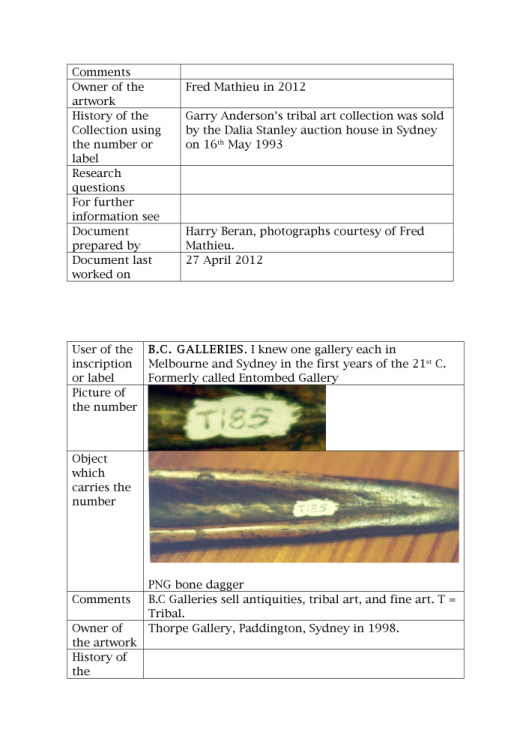 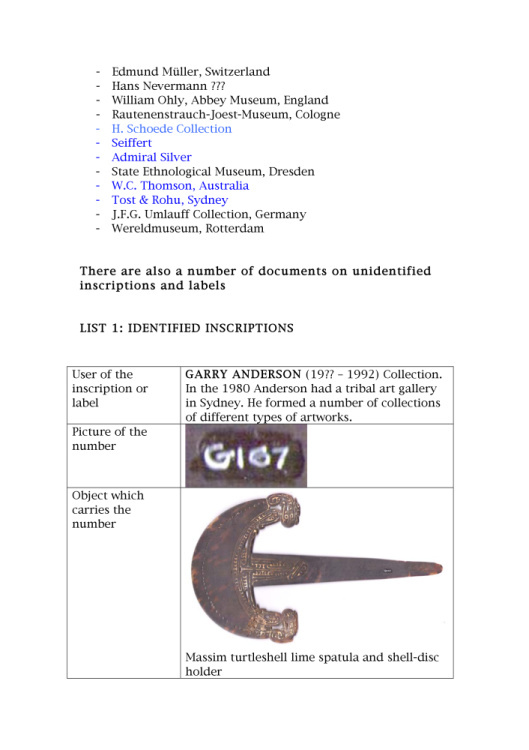 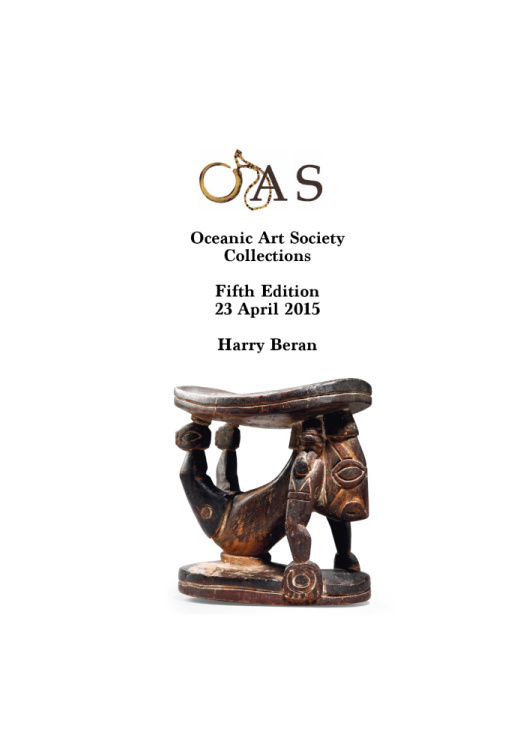 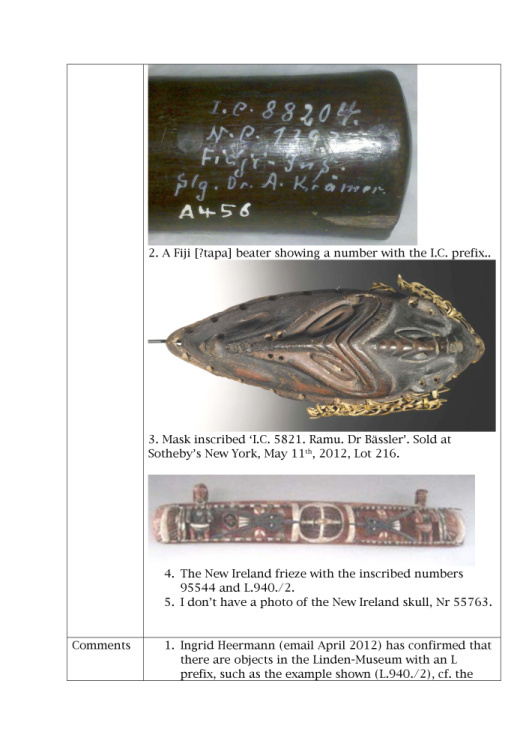 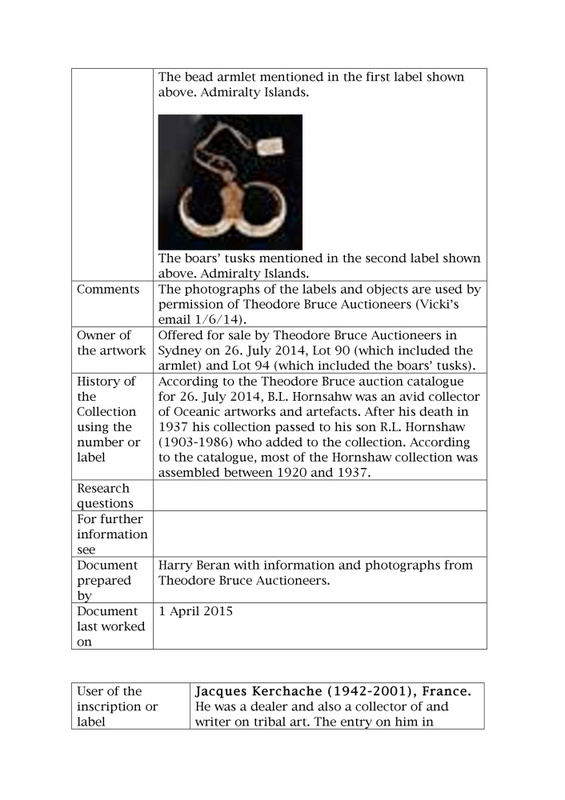 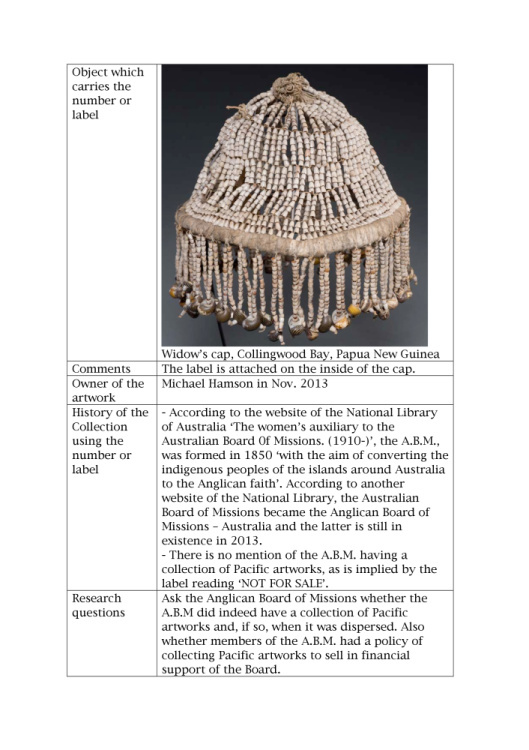 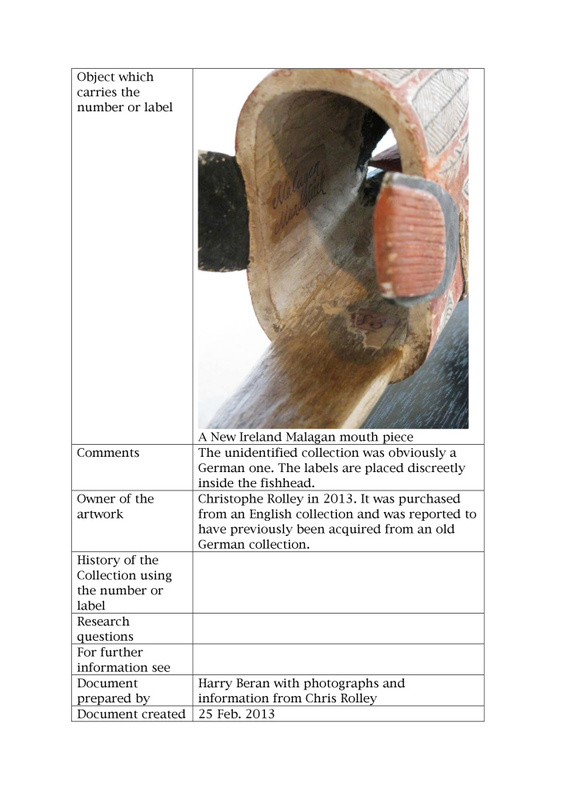 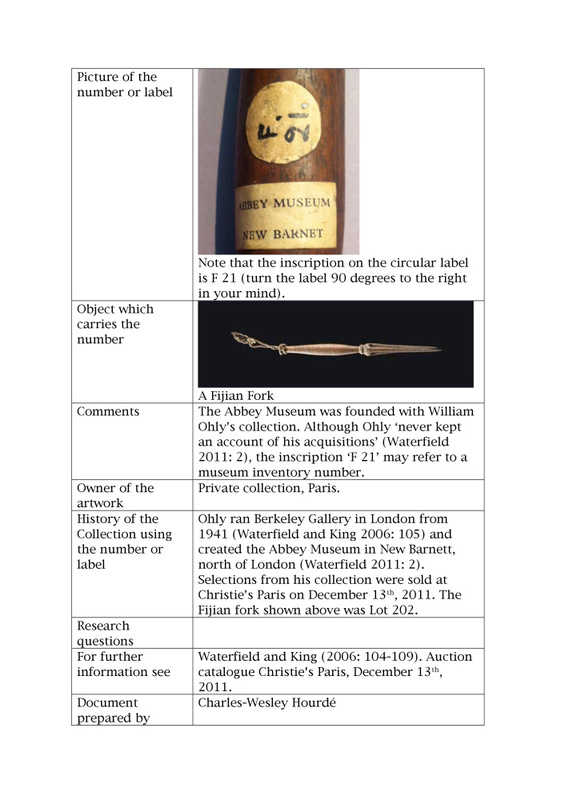 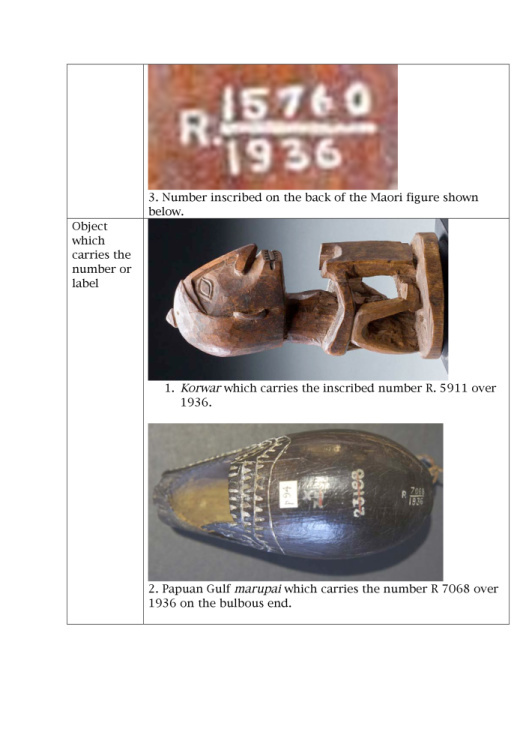 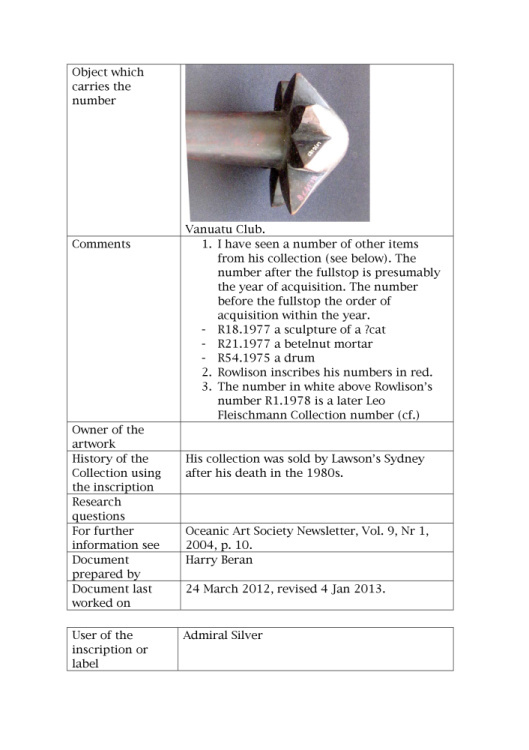 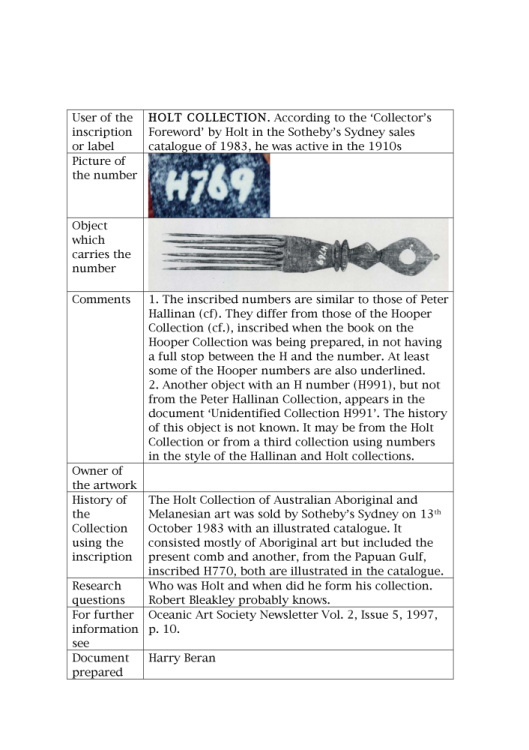 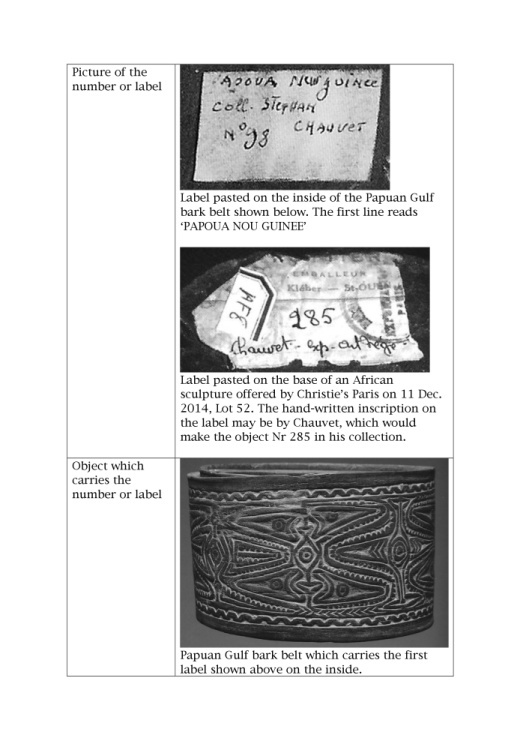 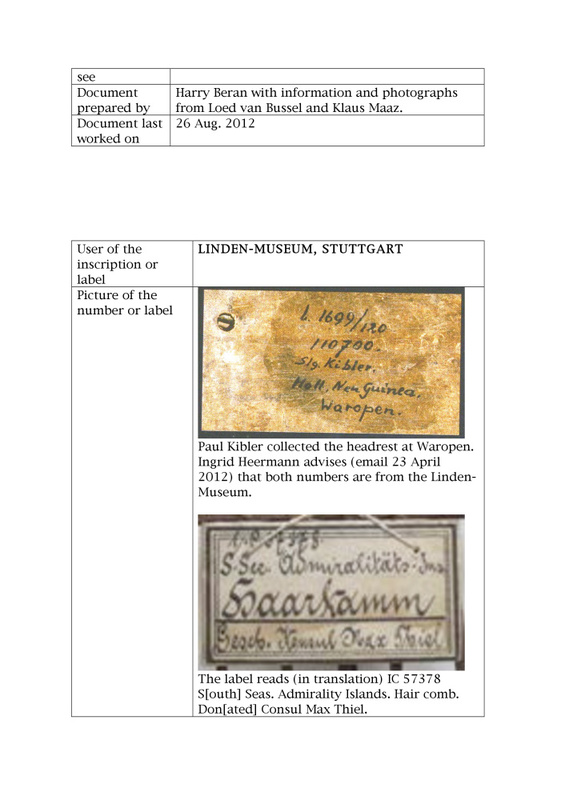 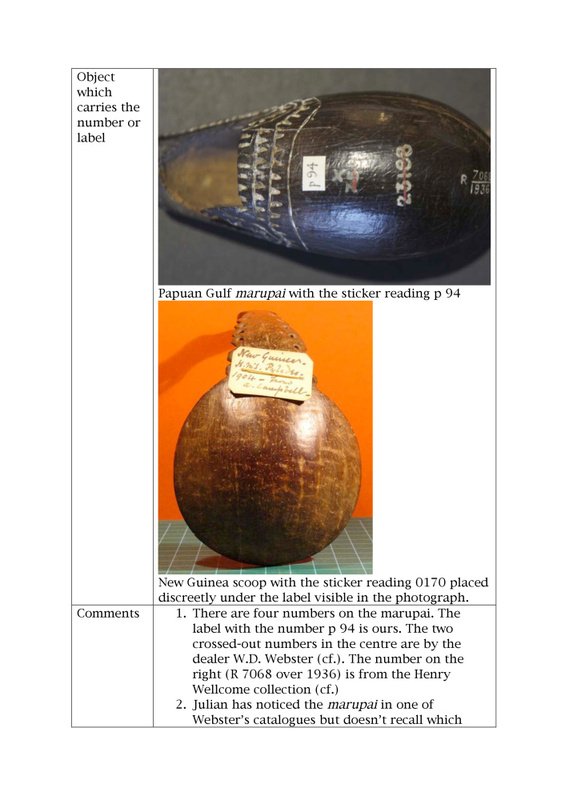 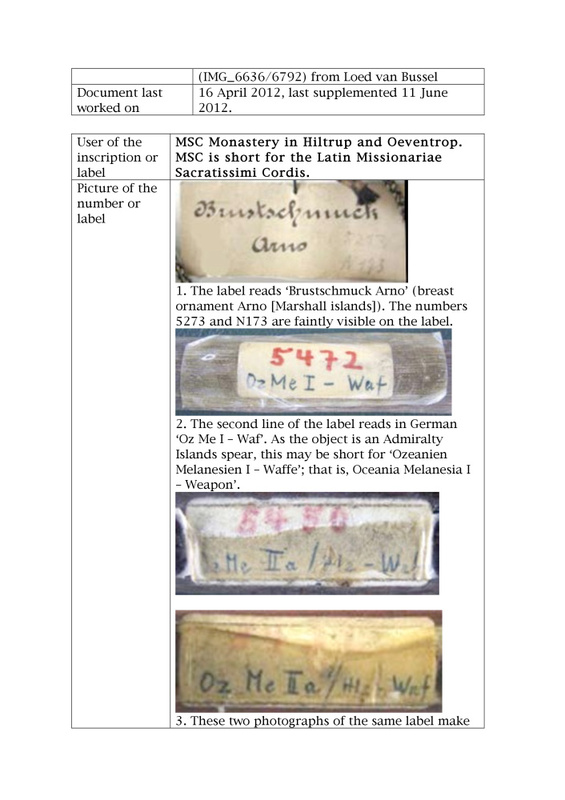 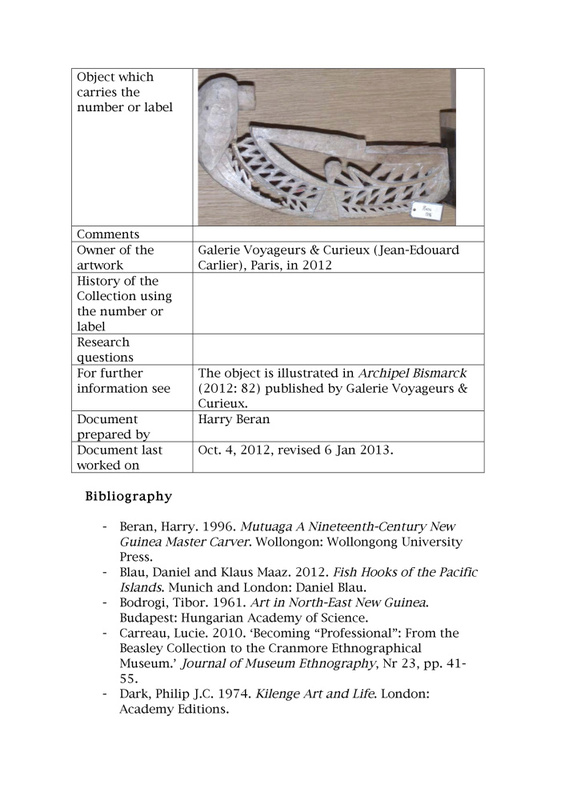 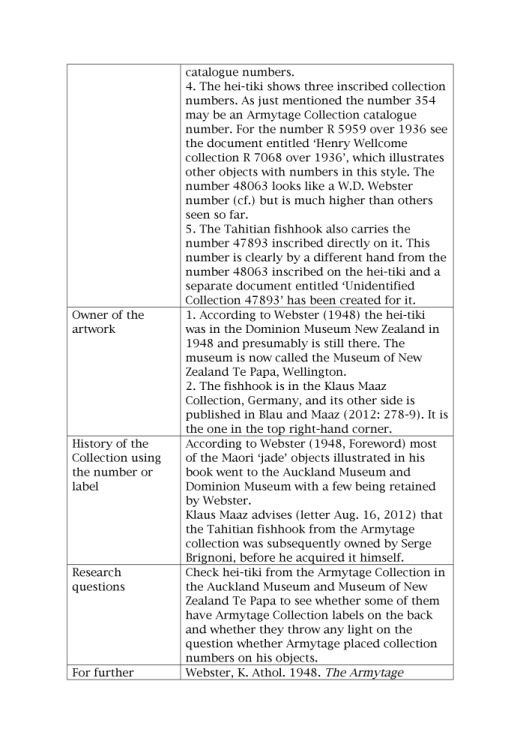 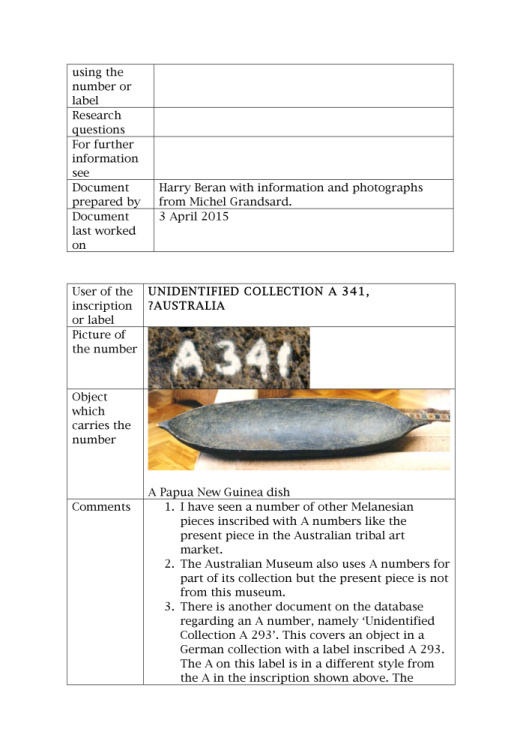 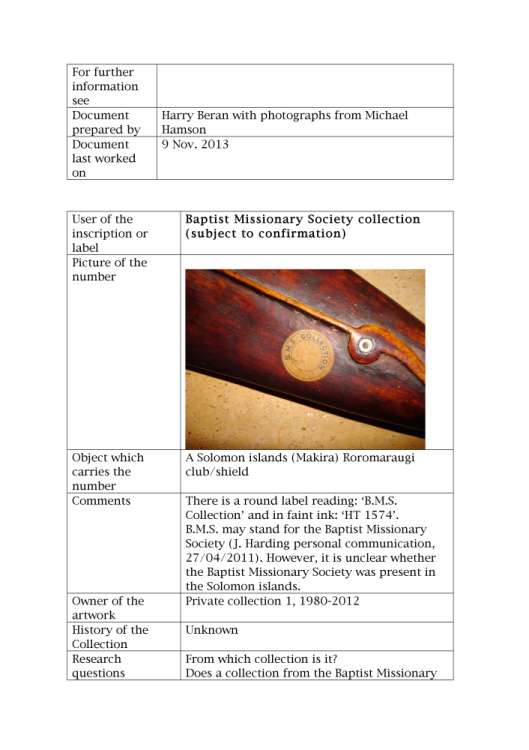 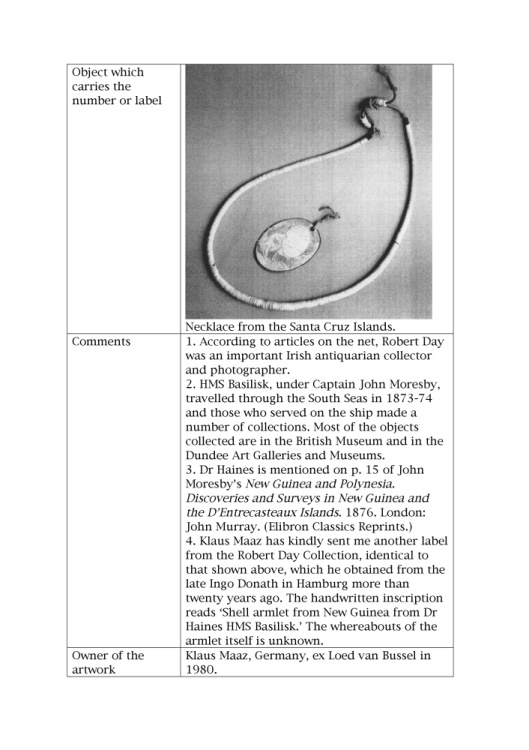 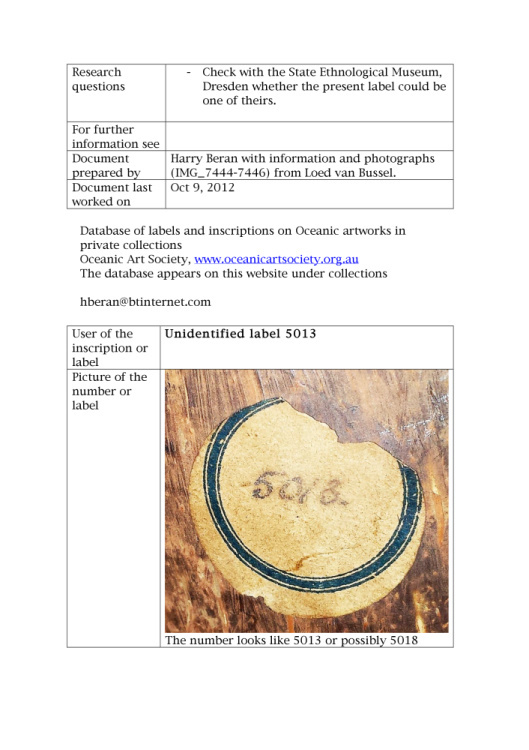 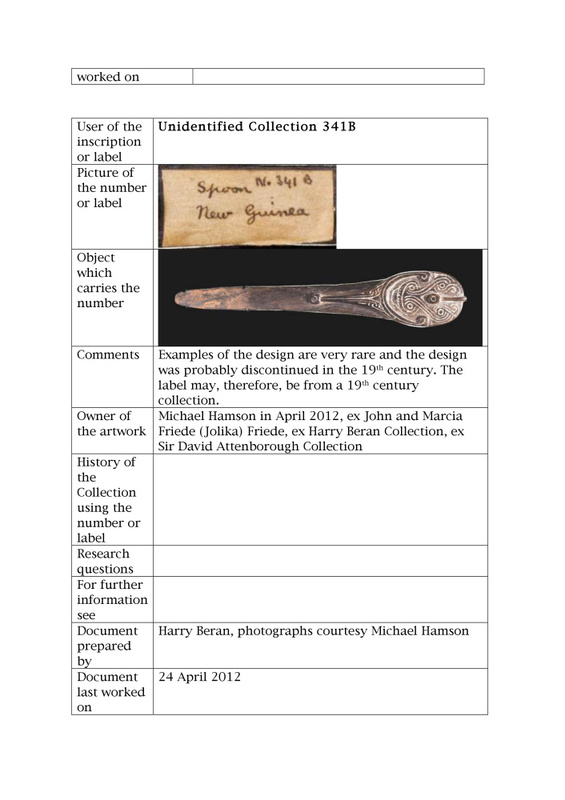 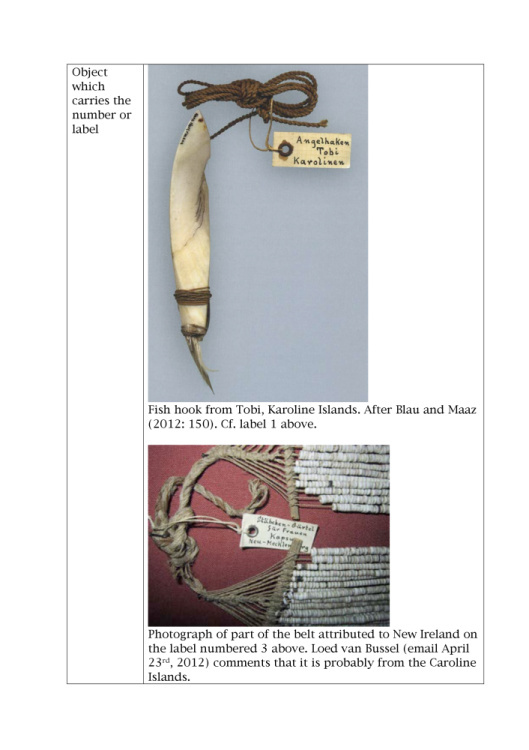 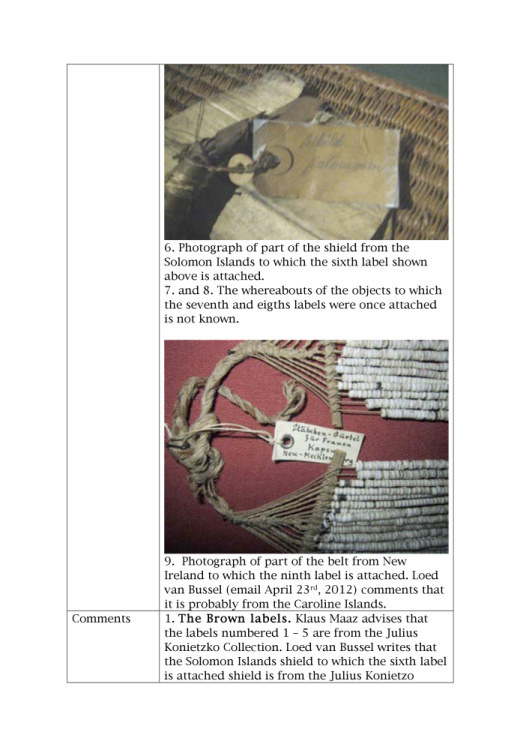 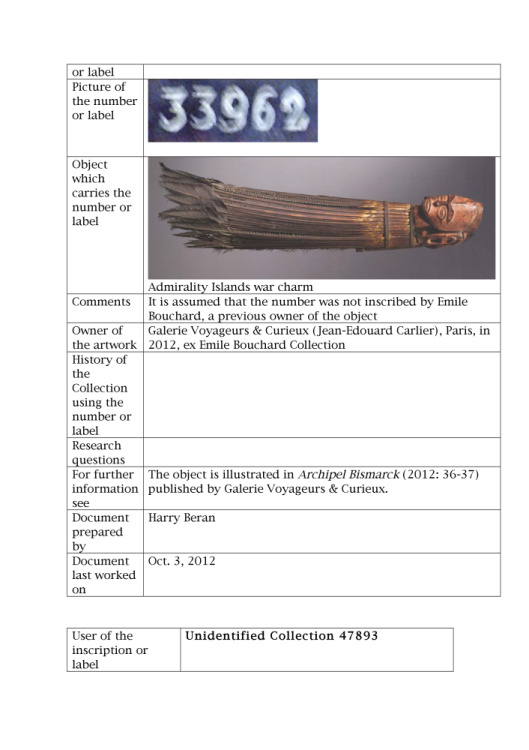 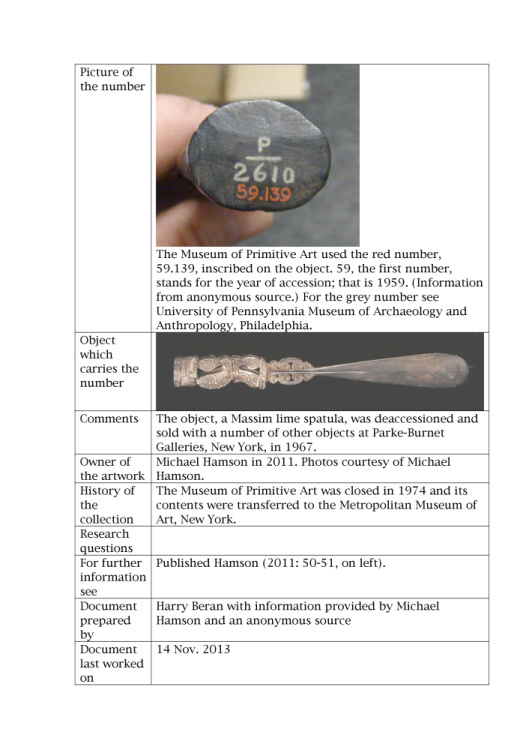 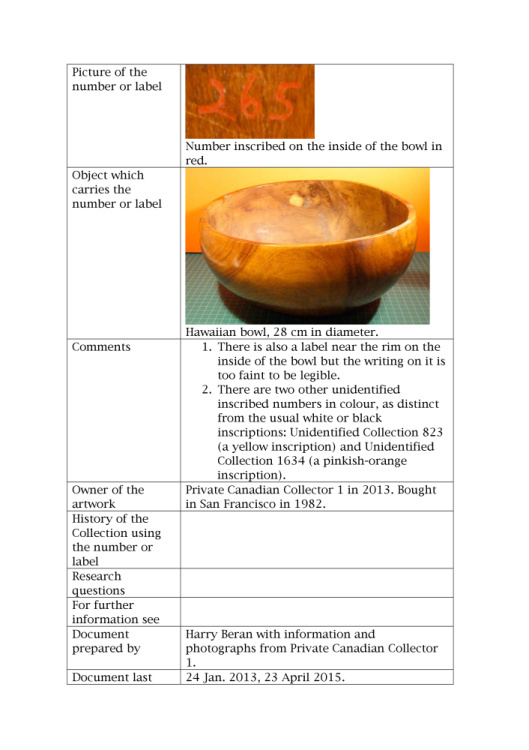 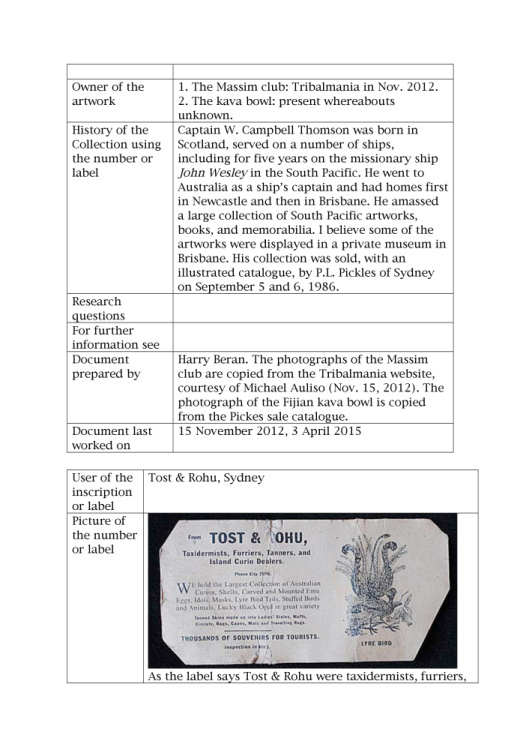 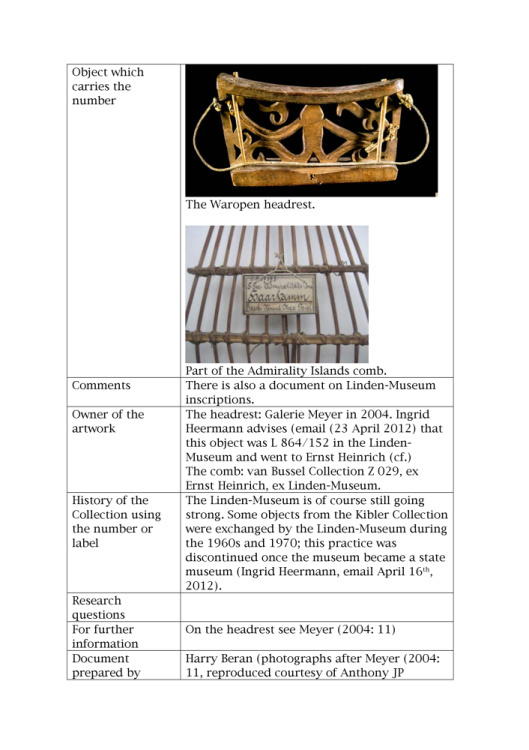 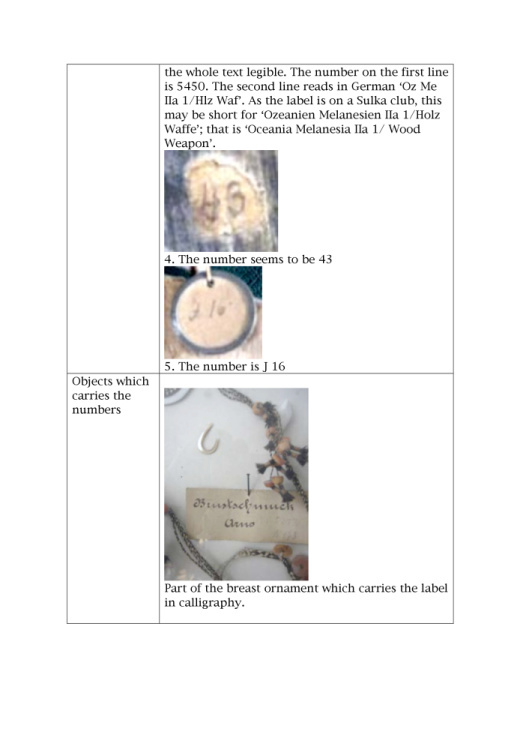 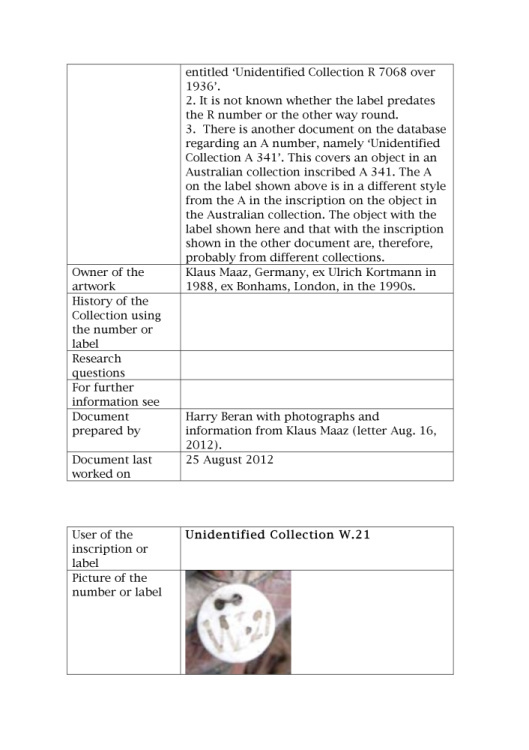 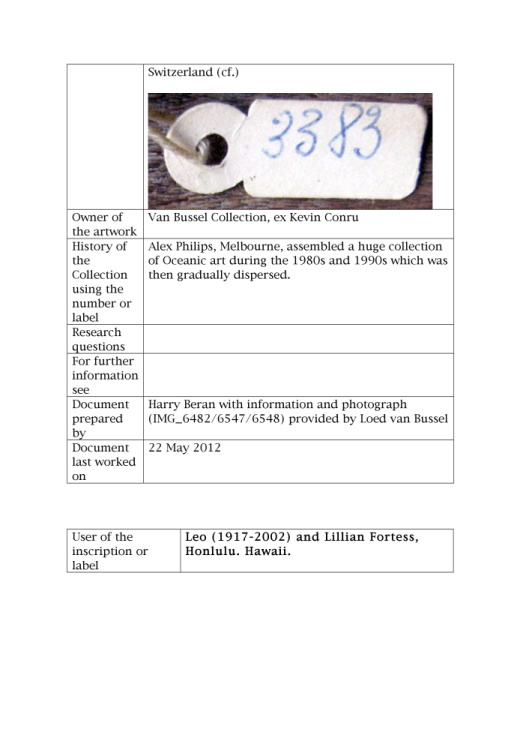 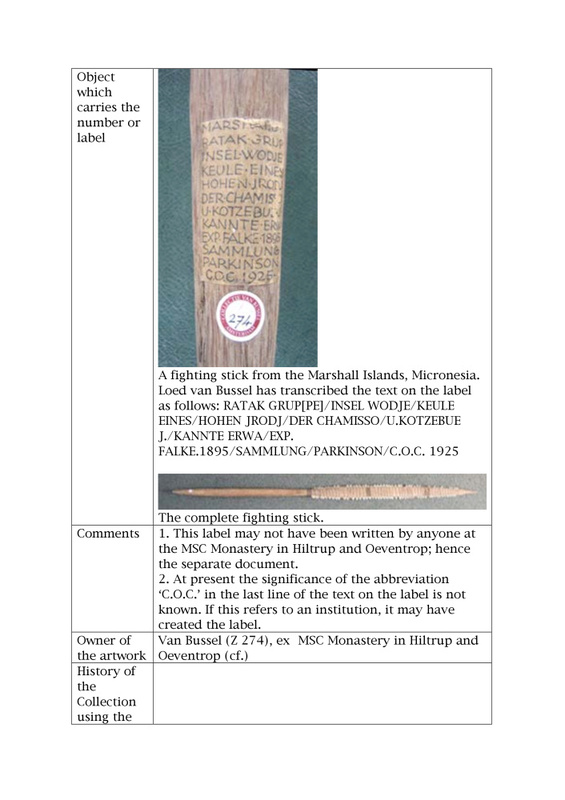 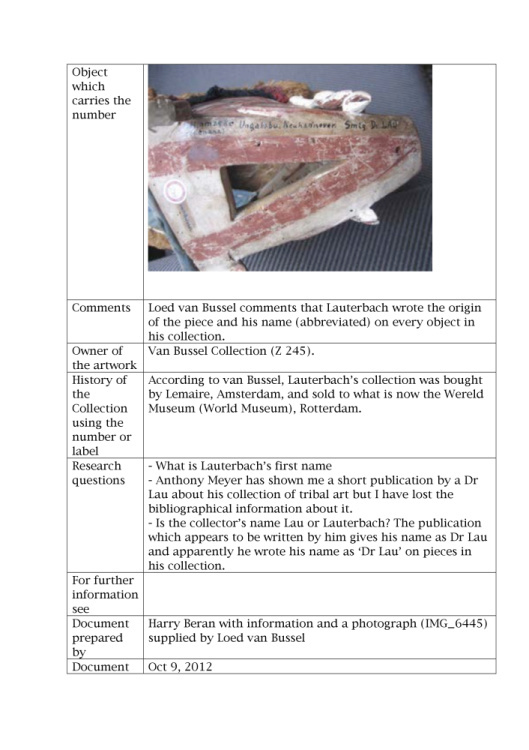 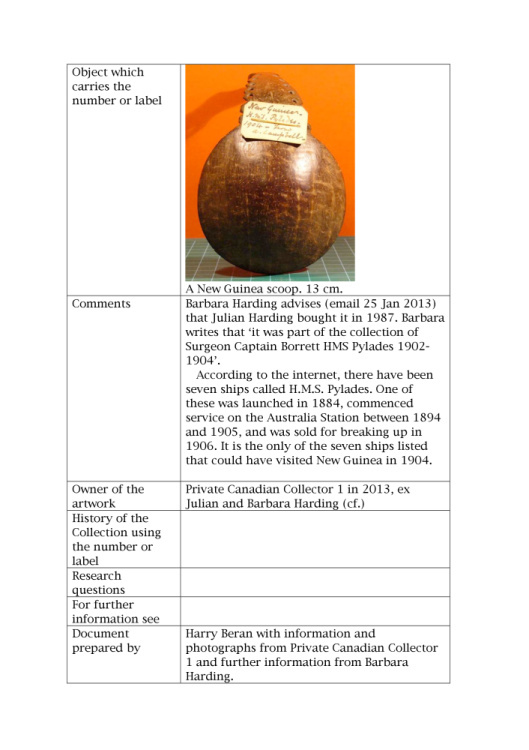 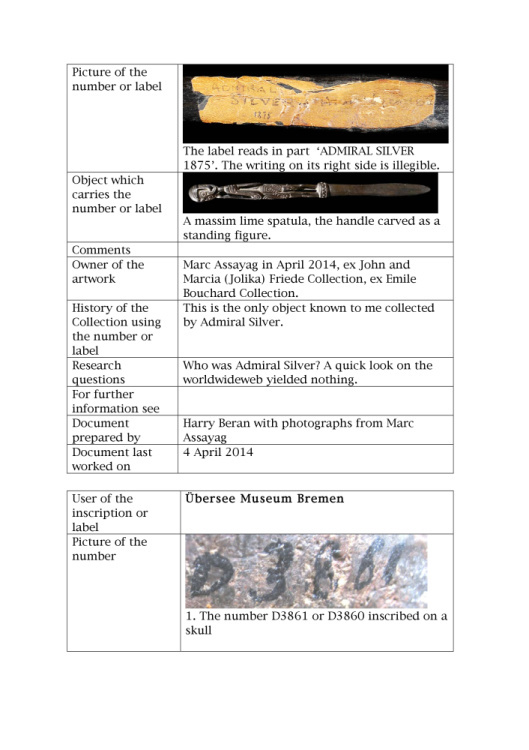 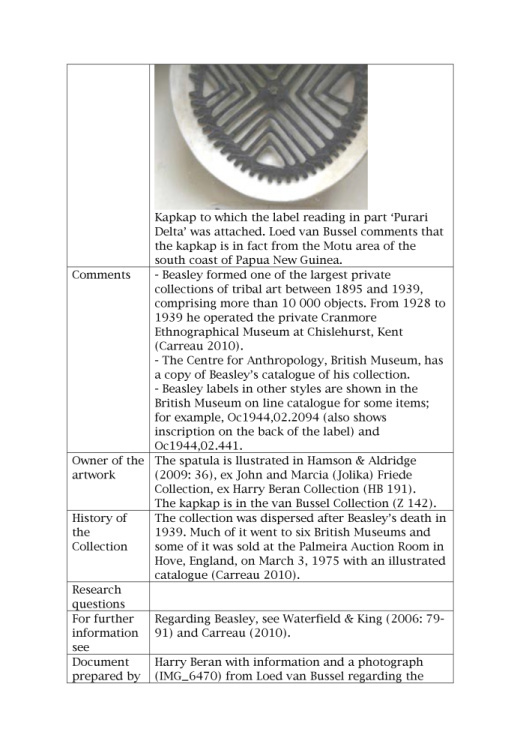 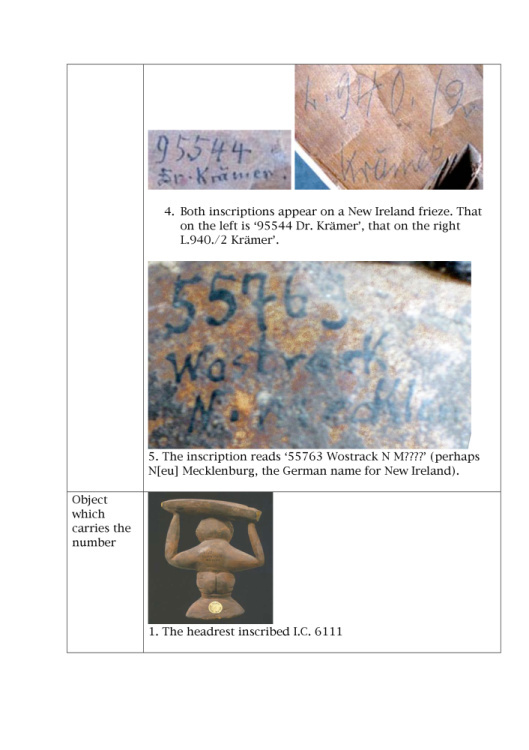 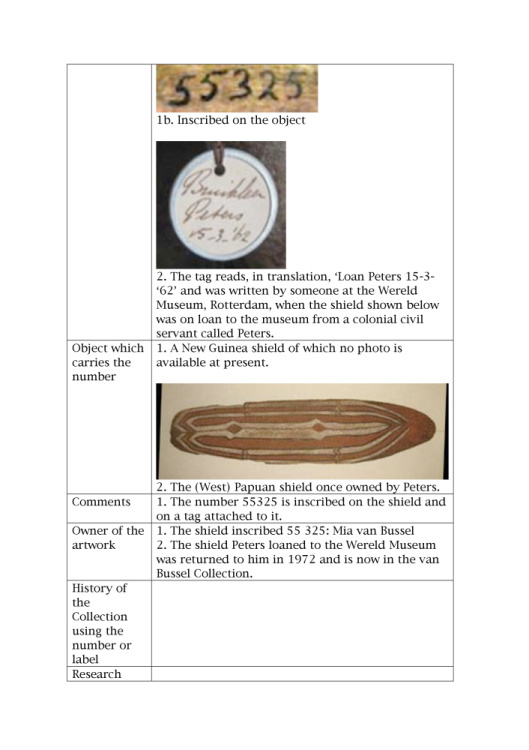 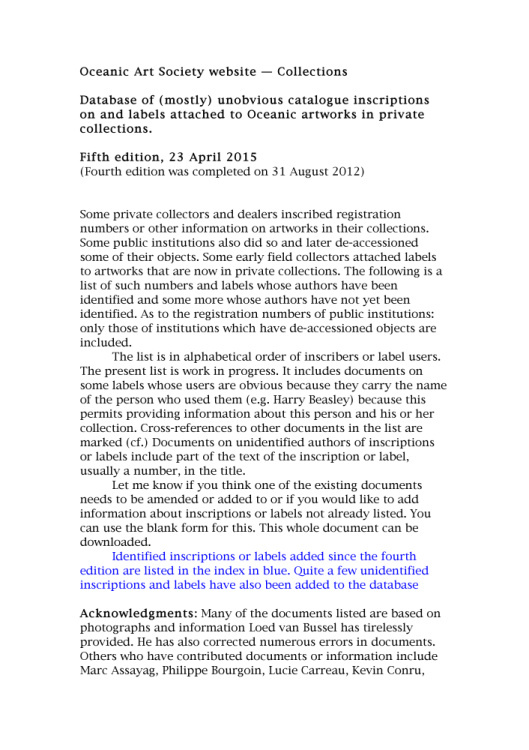 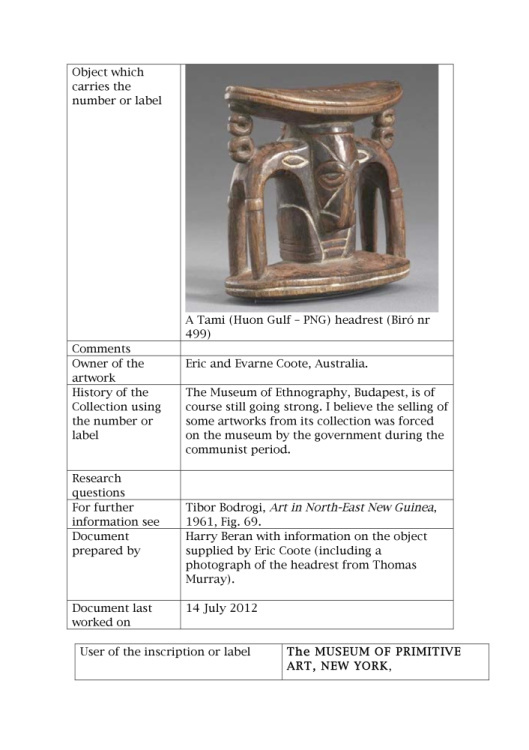 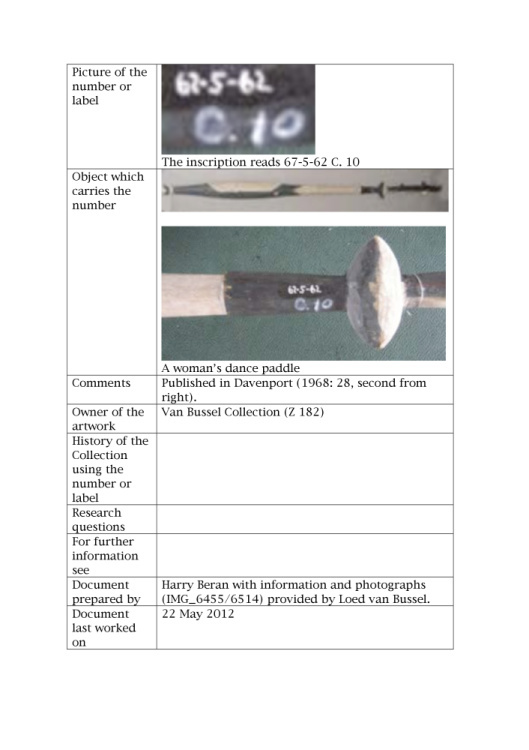 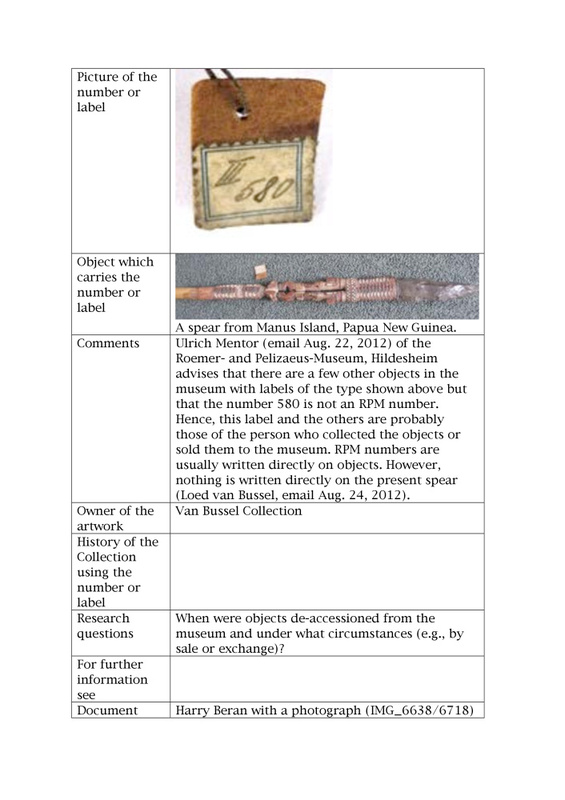 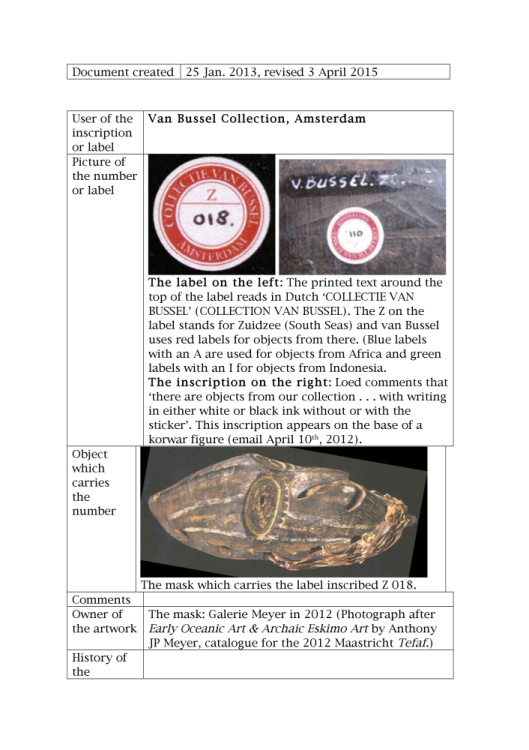 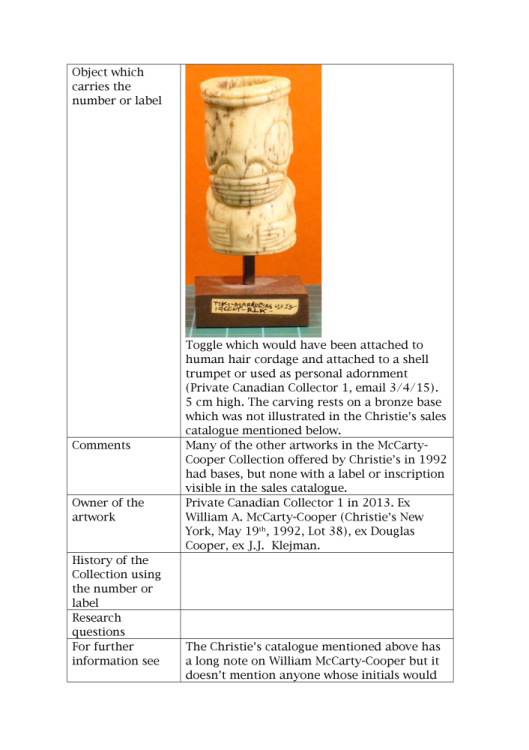 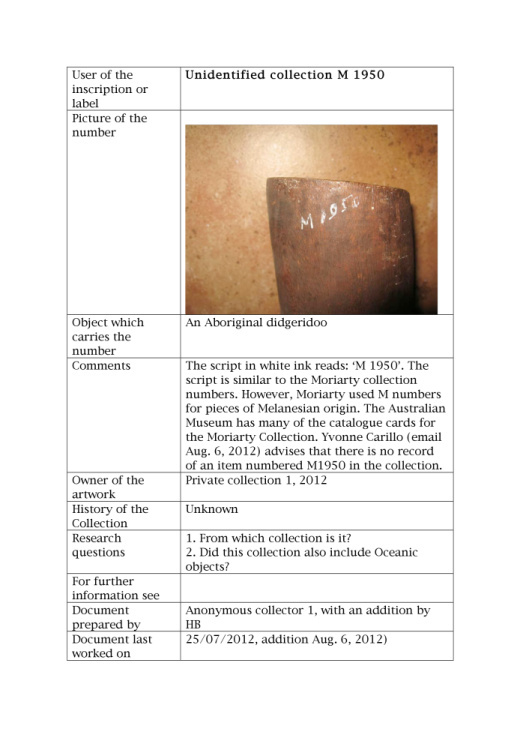 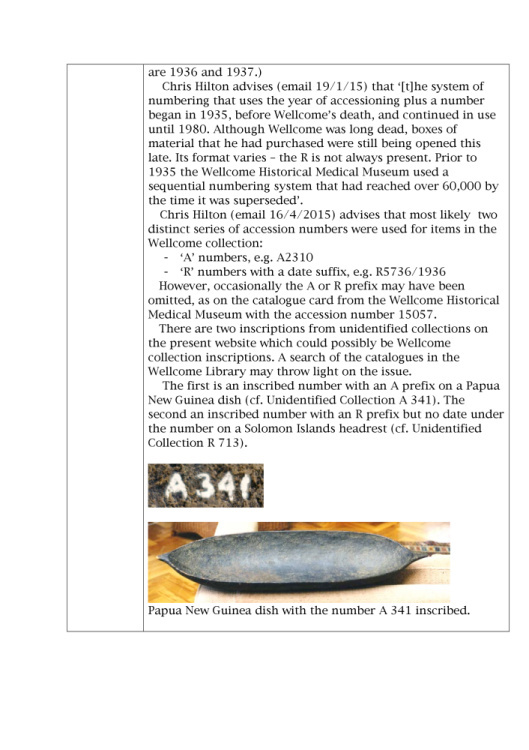 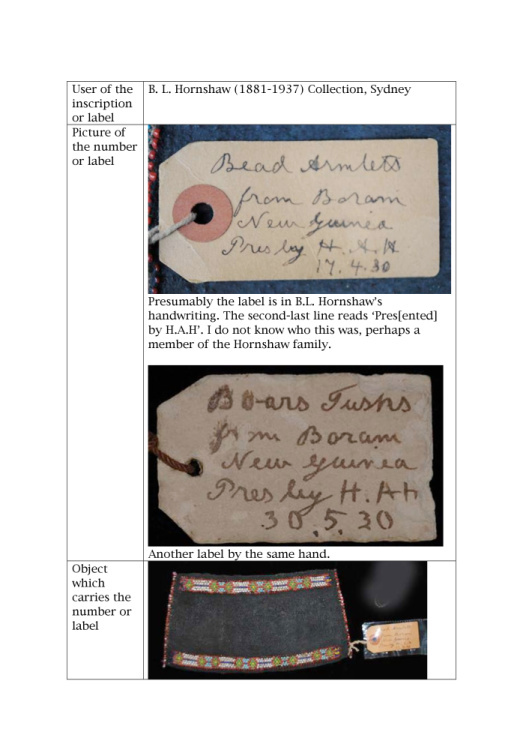 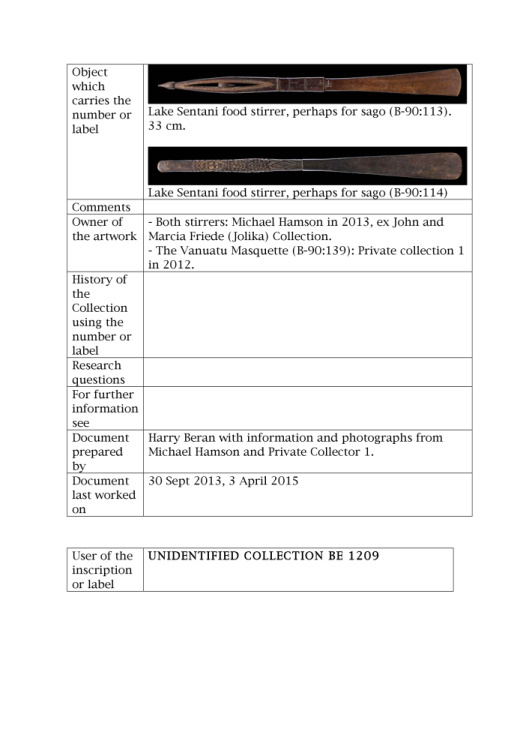 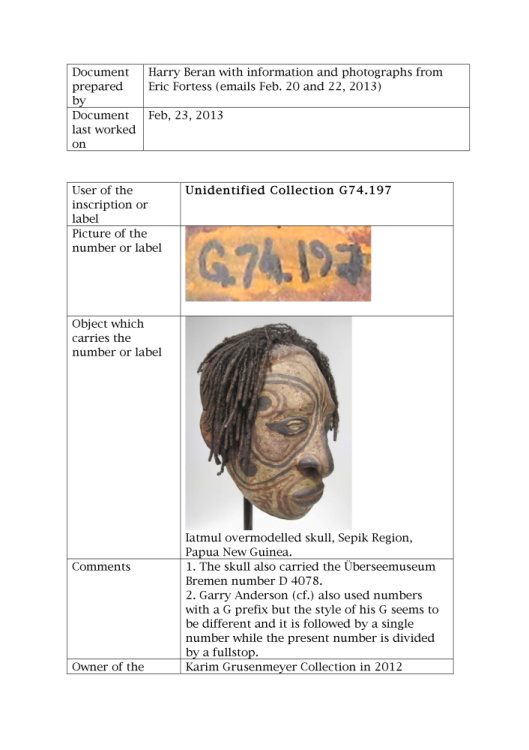 Collections Database of (mostly) unobvious catalogue inscriptions on and labels attached to Oceanic artworks in private collections. 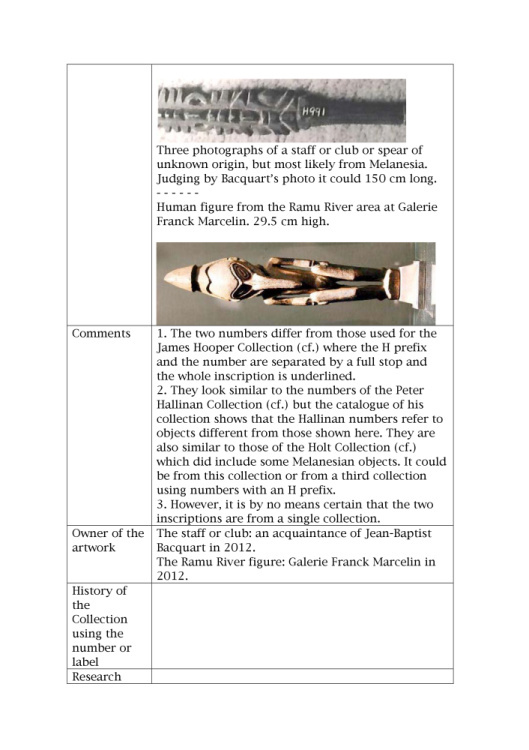 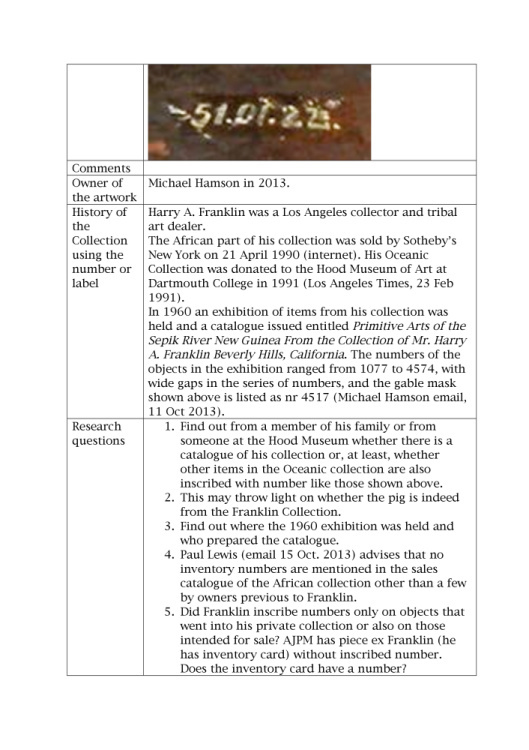 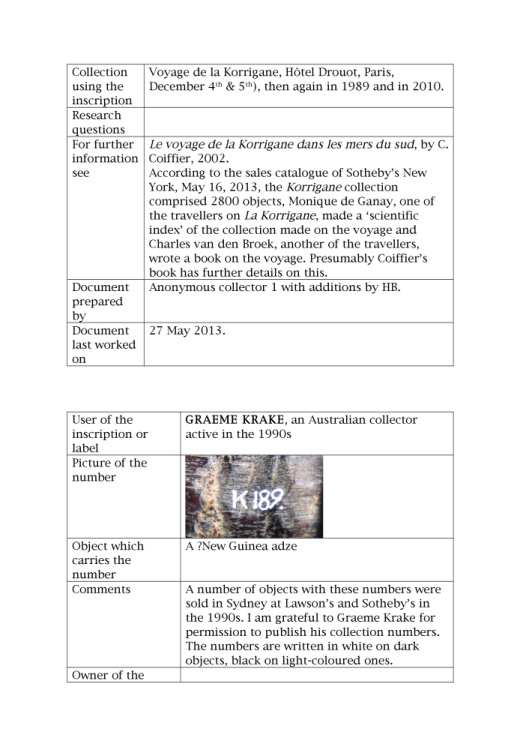 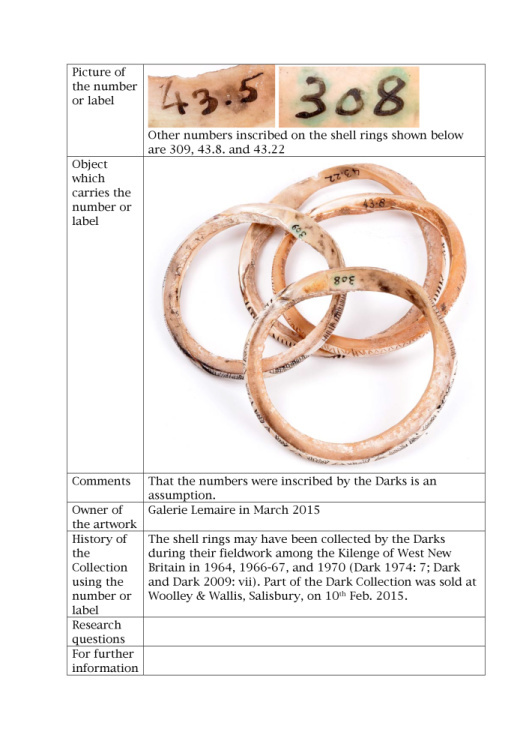 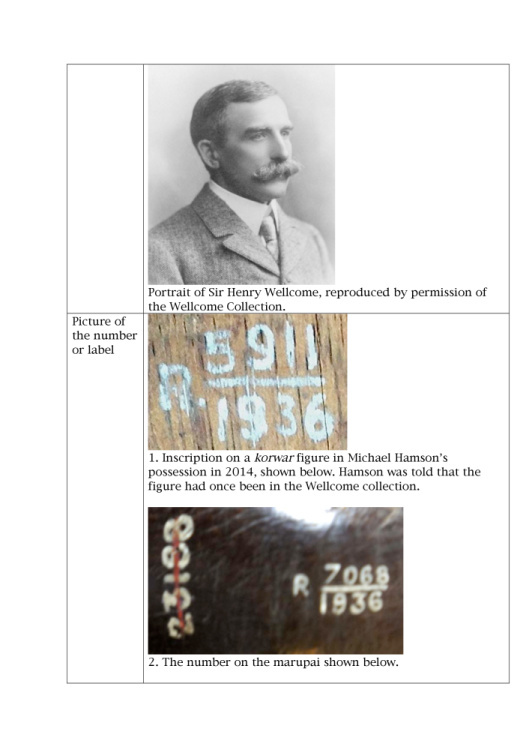 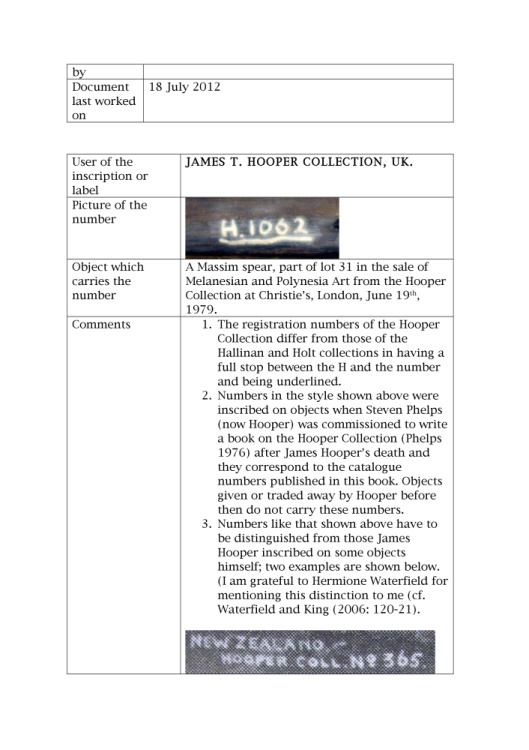 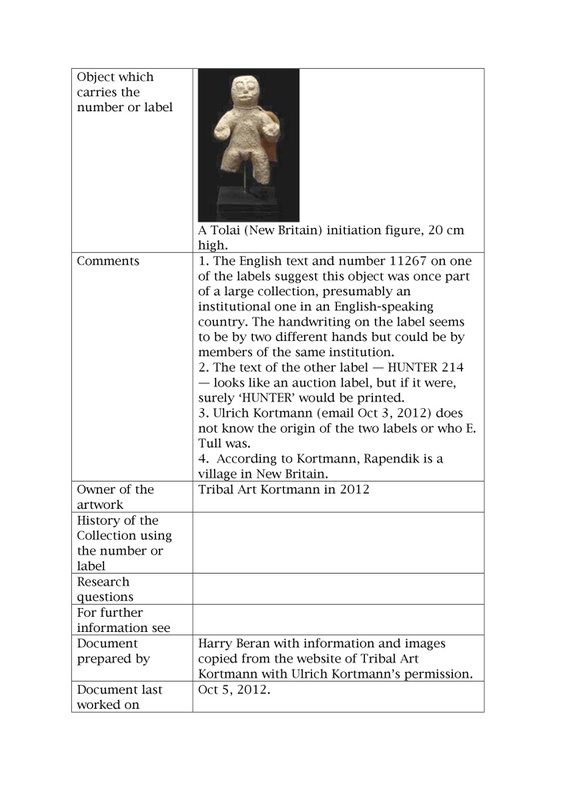 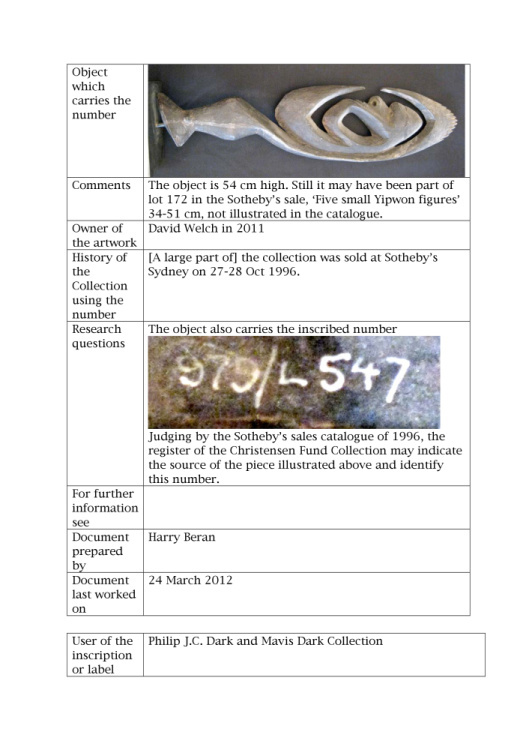 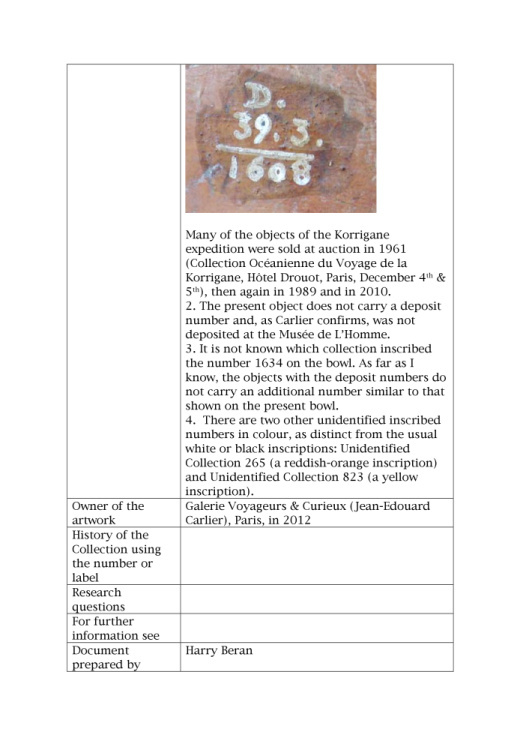 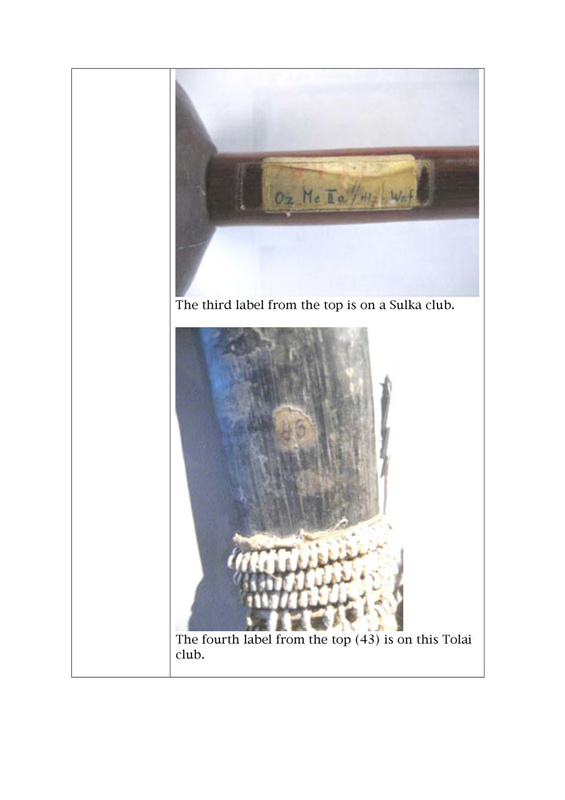 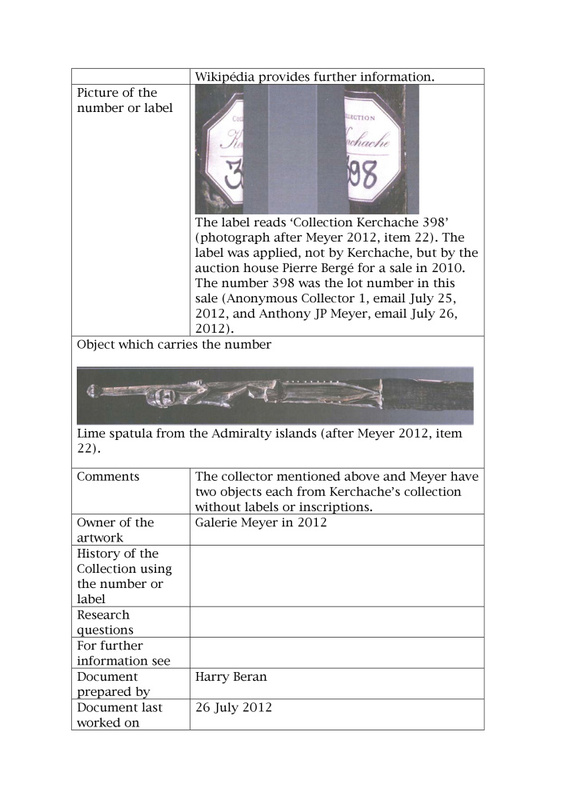 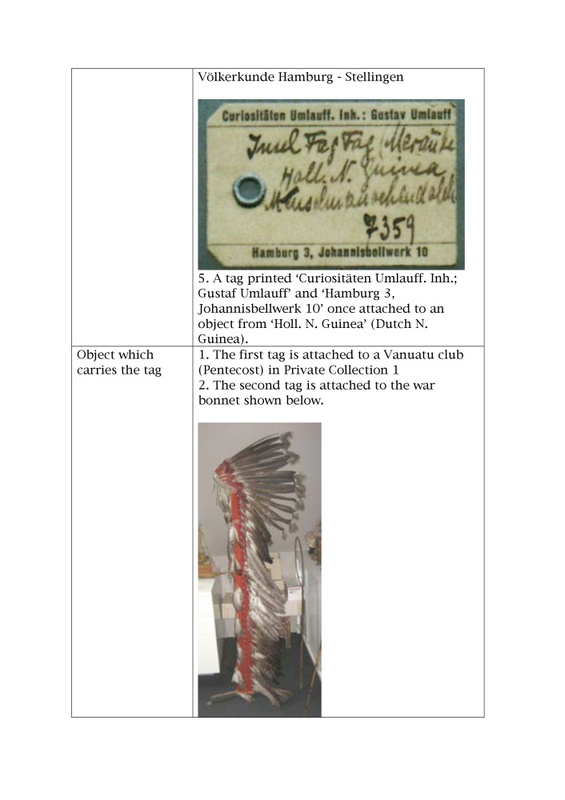 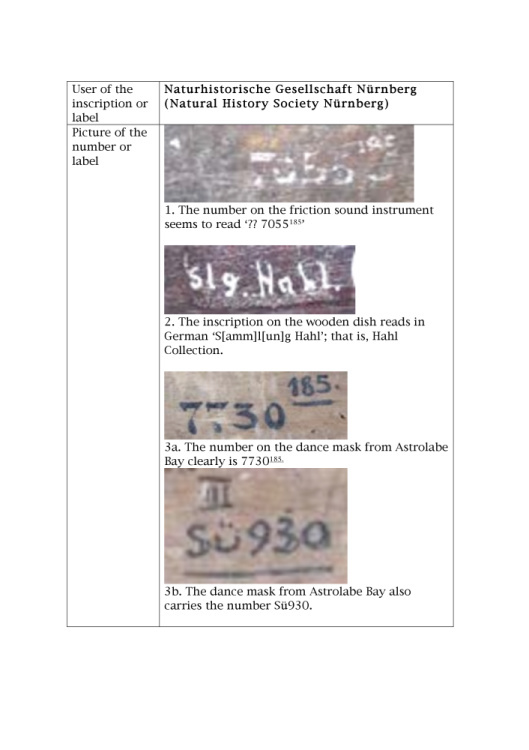 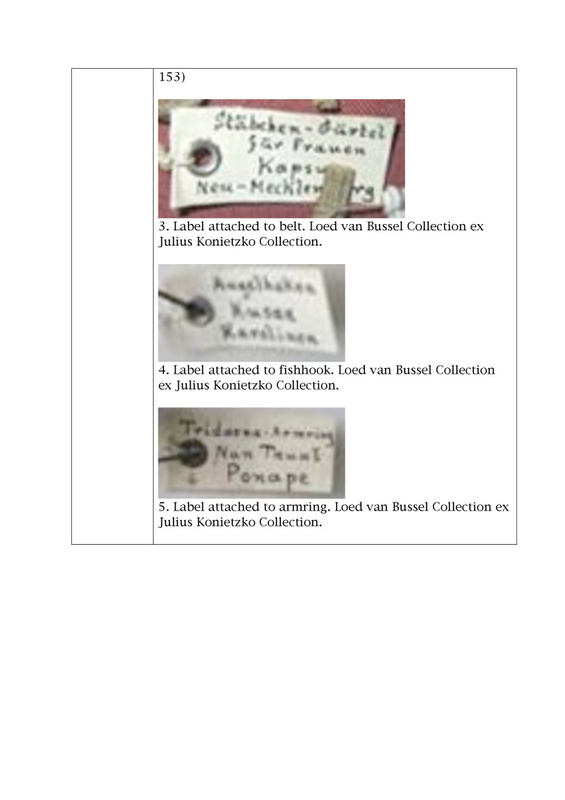 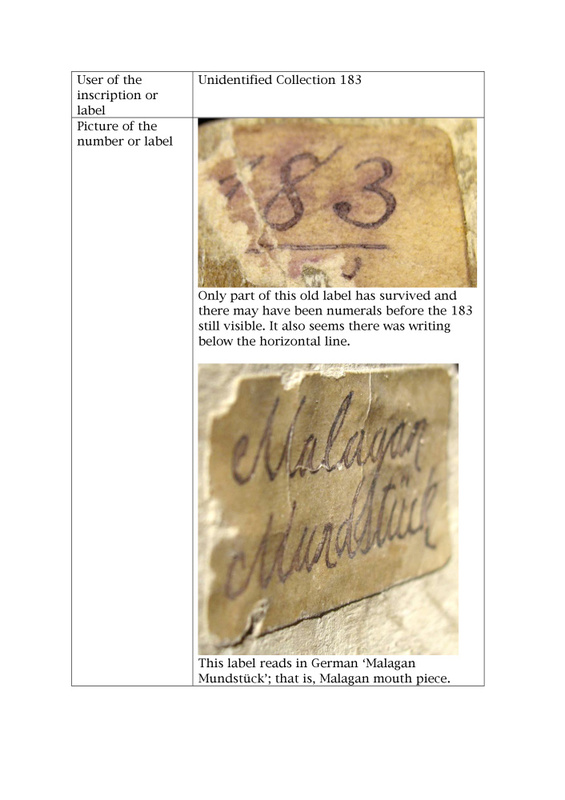 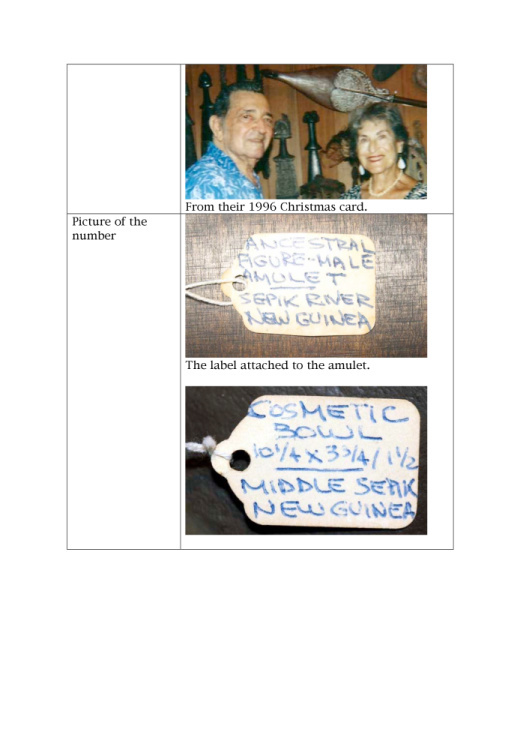 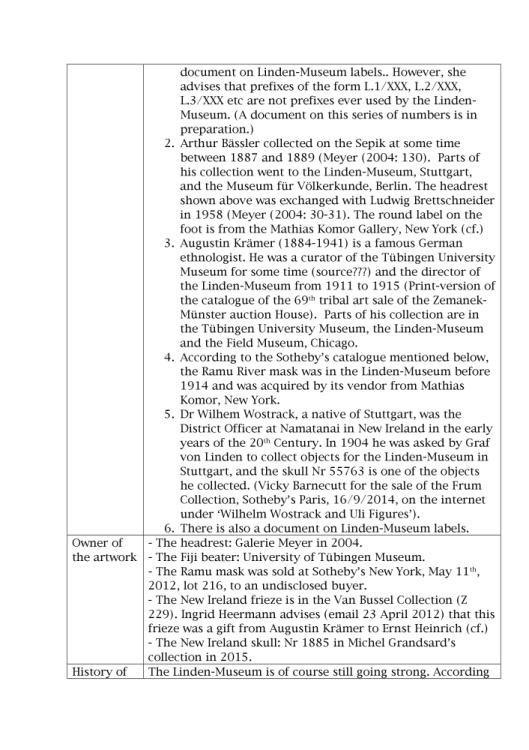 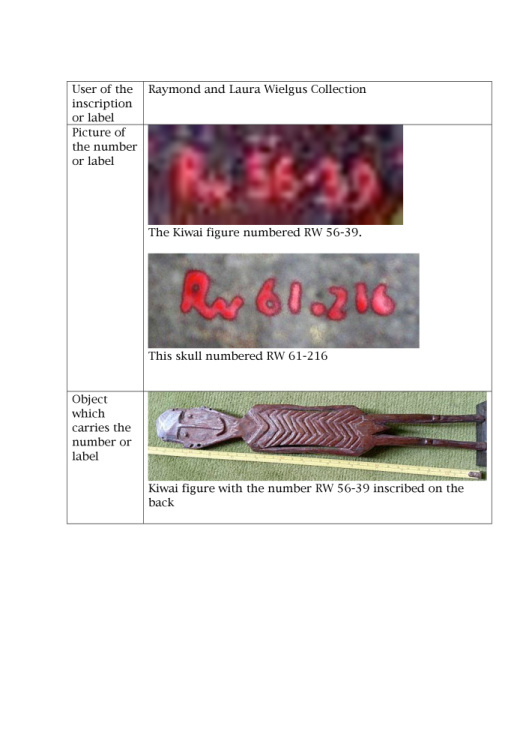 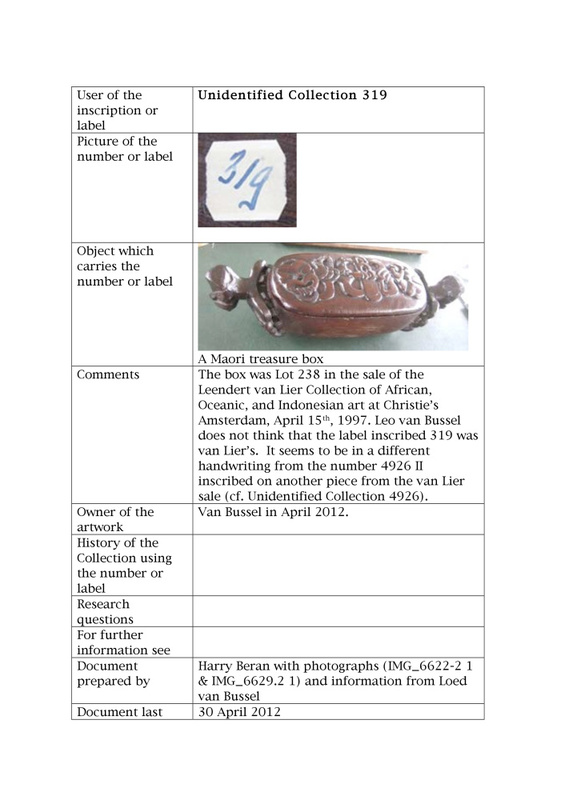 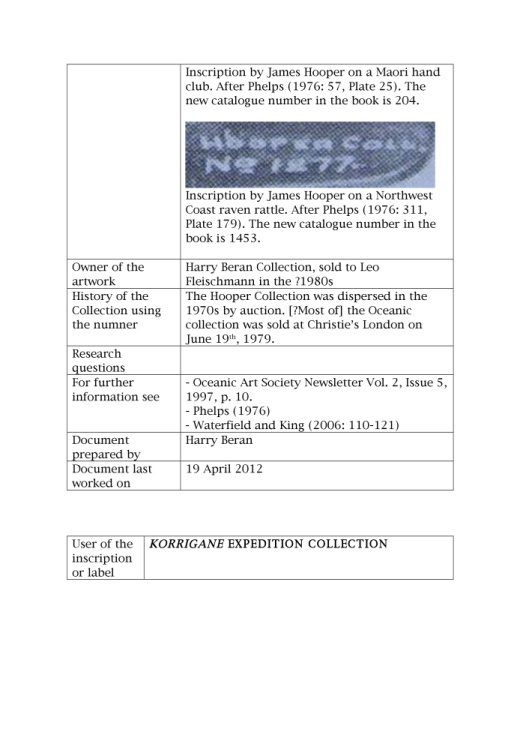 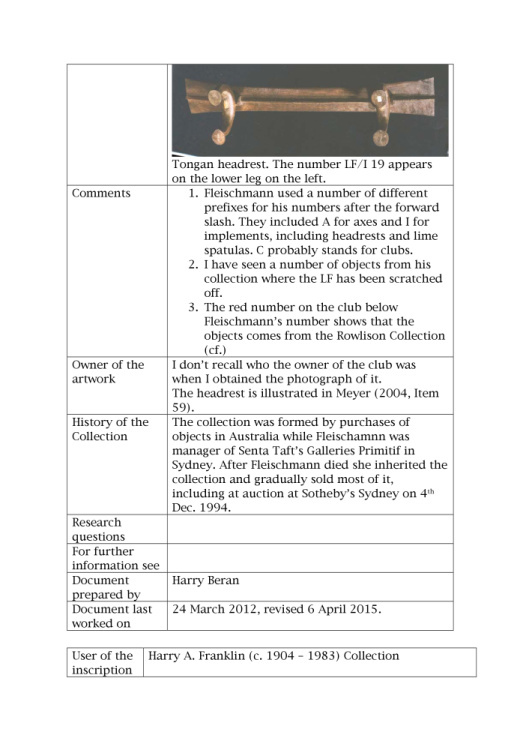 Some private collectors and dealers inscribed registration numbers or other information on artworks in their collections. 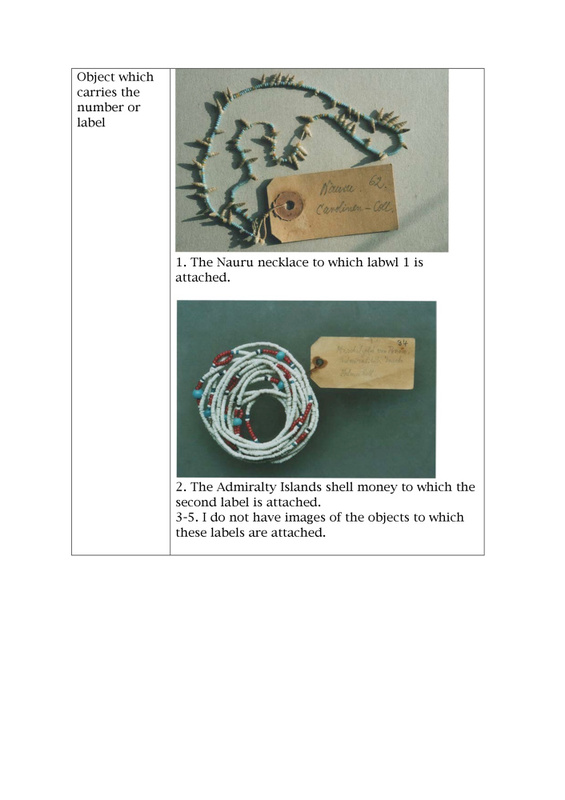 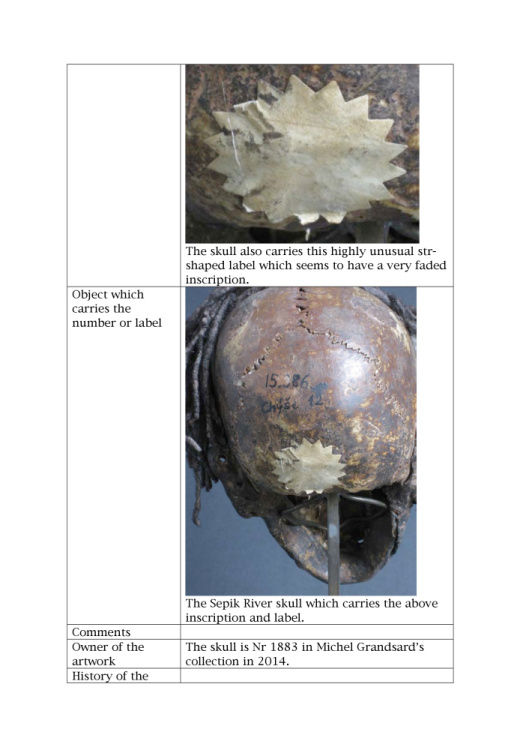 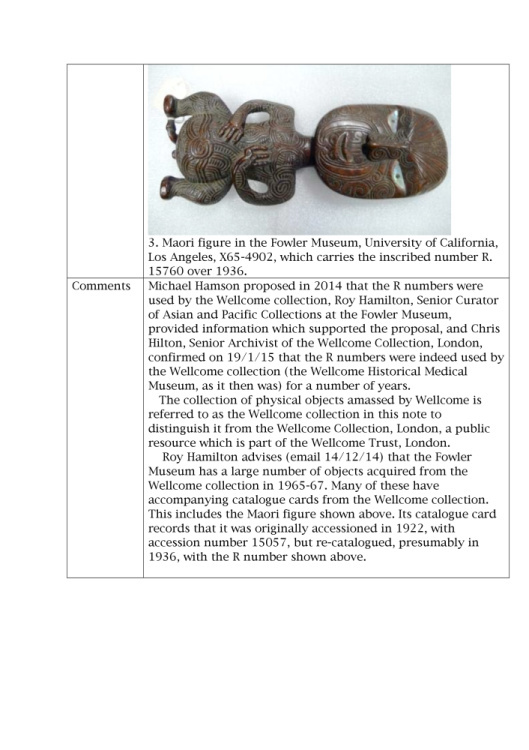 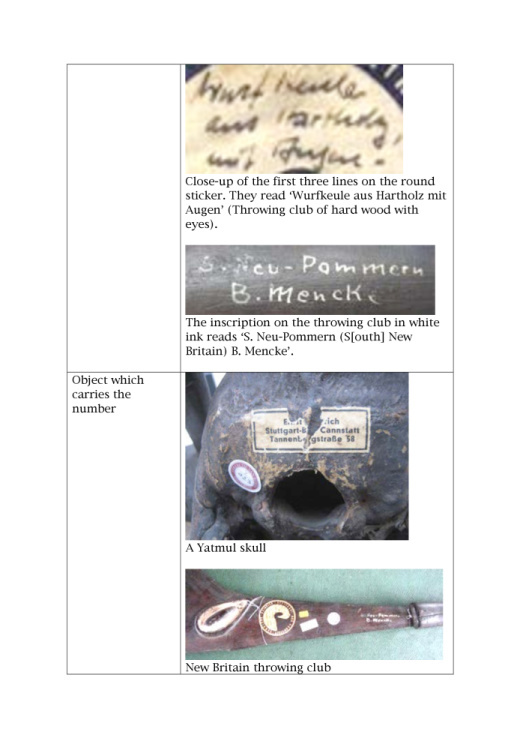 Some public institutions also did so and later de-accessioned some of their objects. 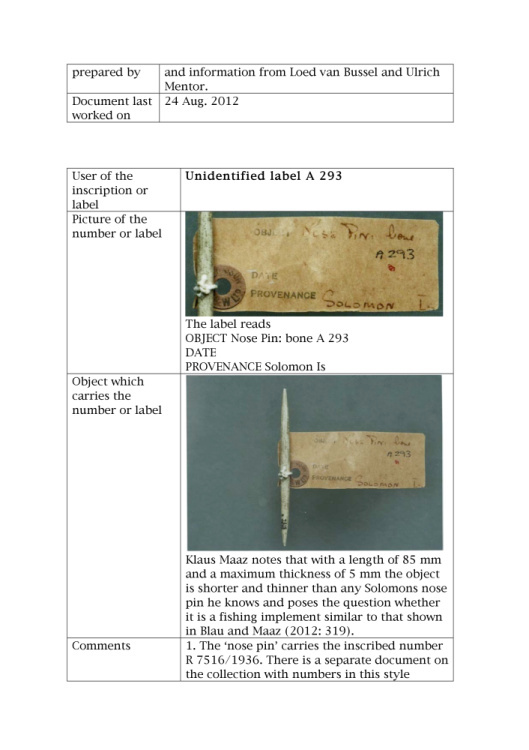 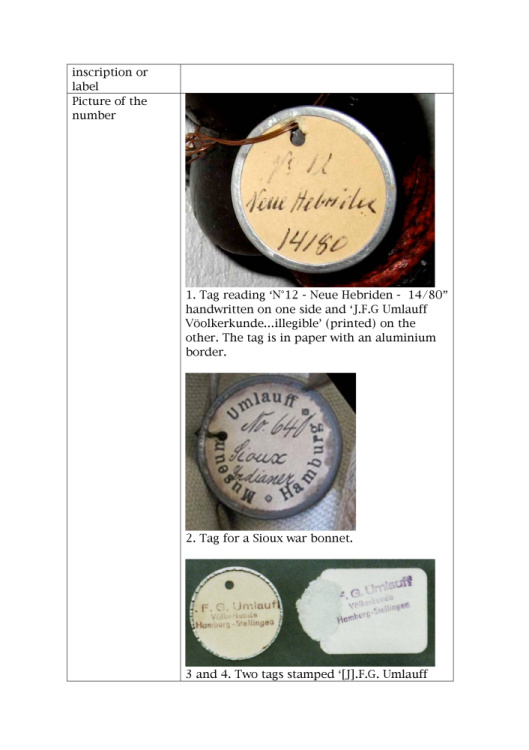 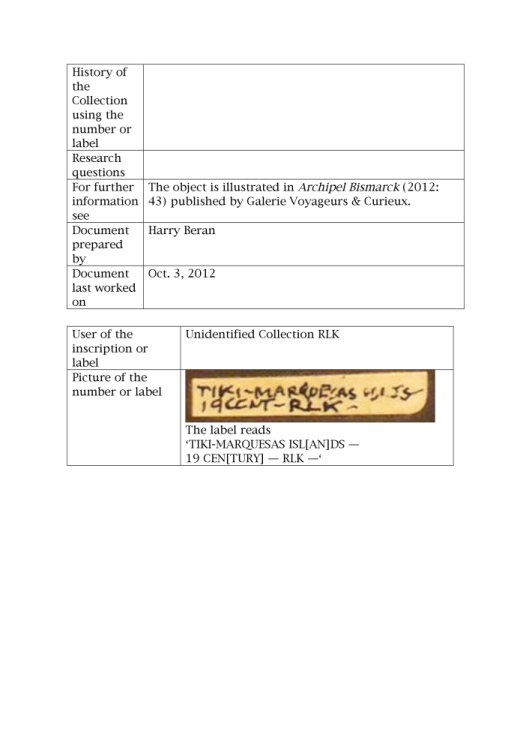 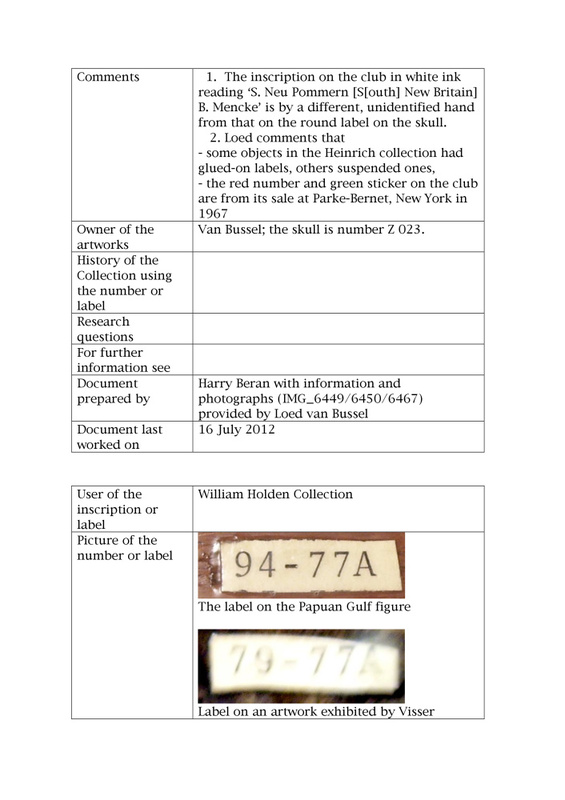 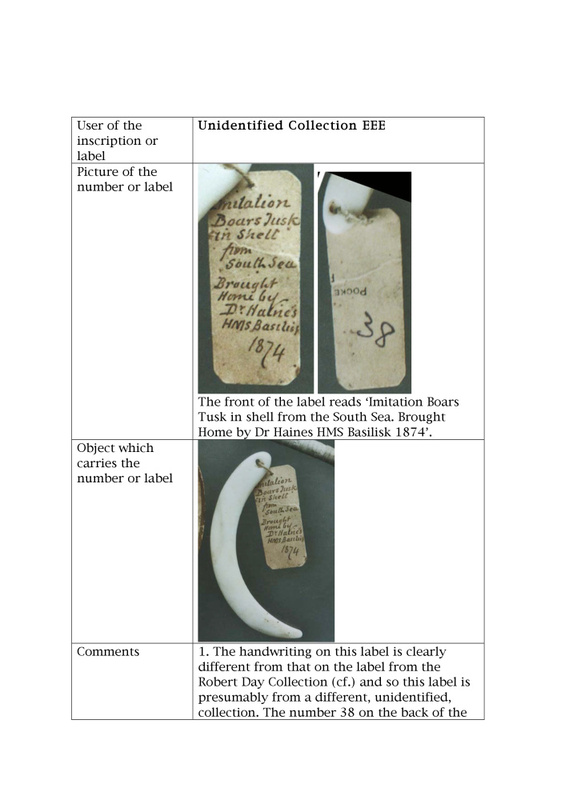 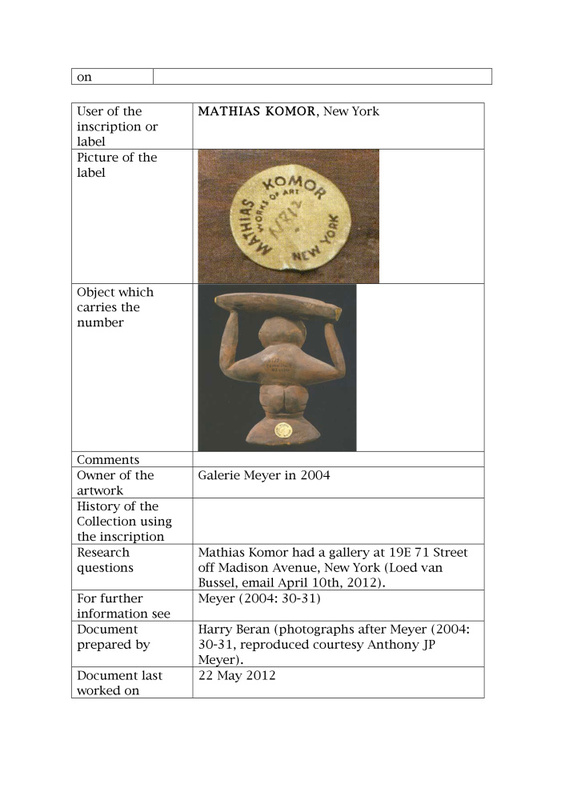 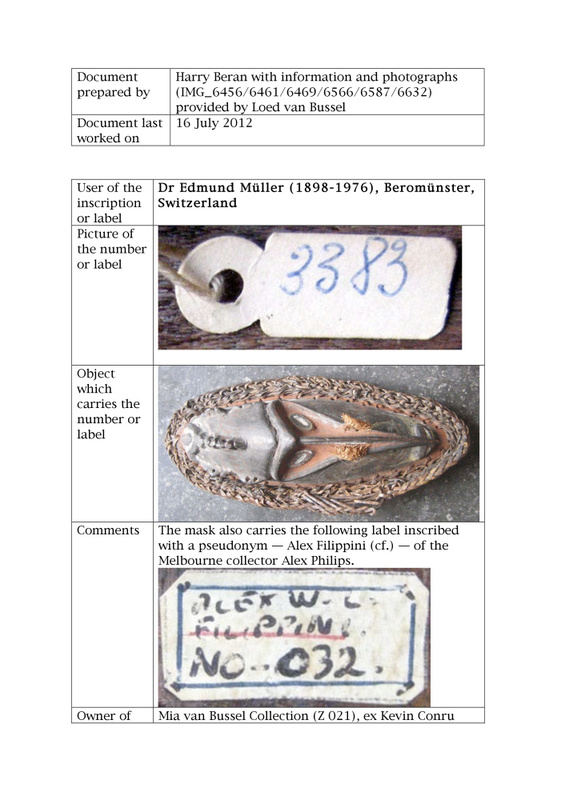 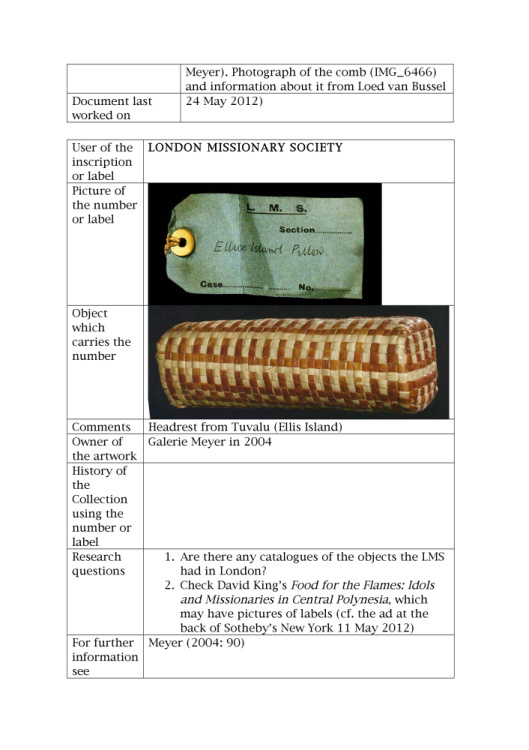 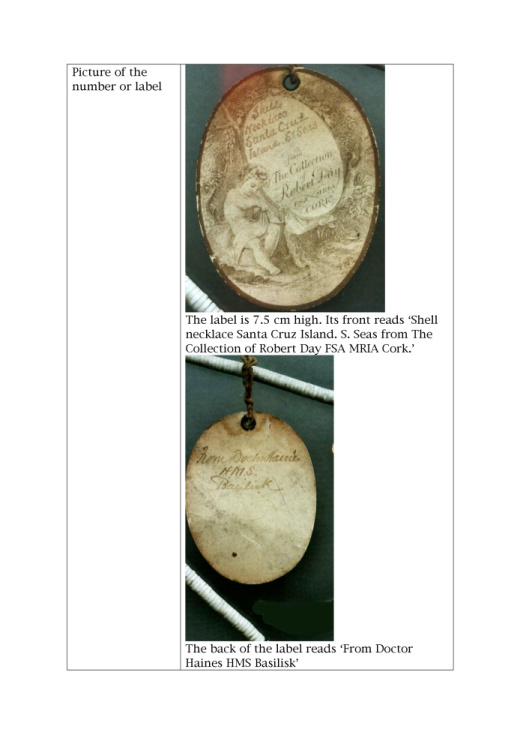 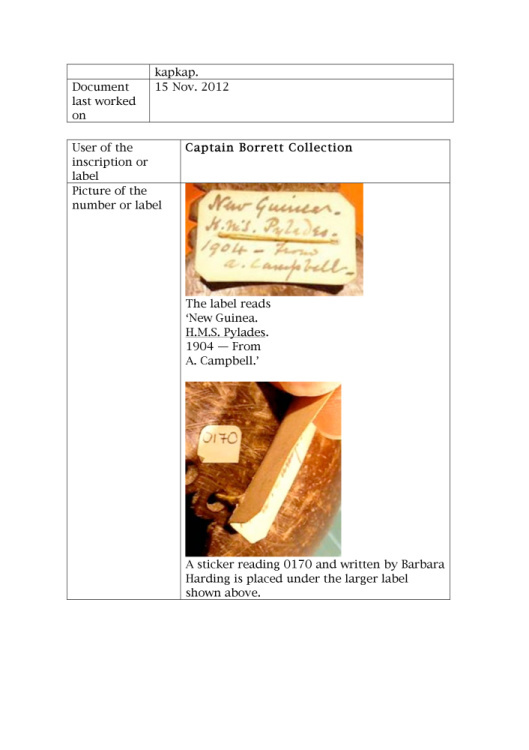 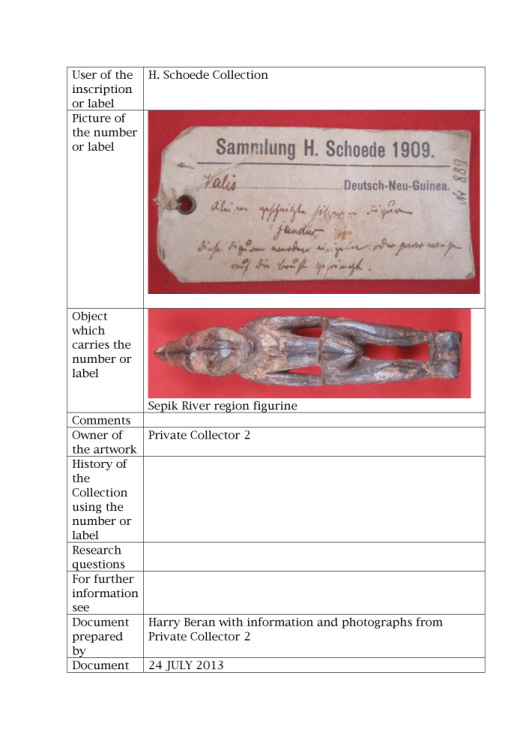 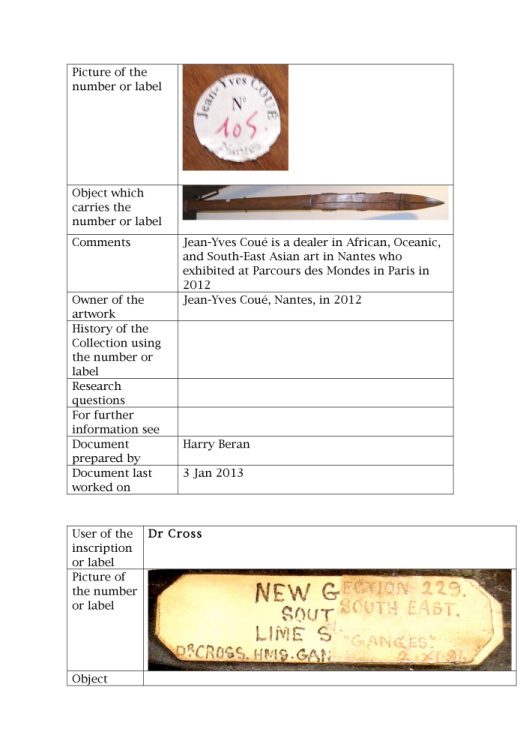 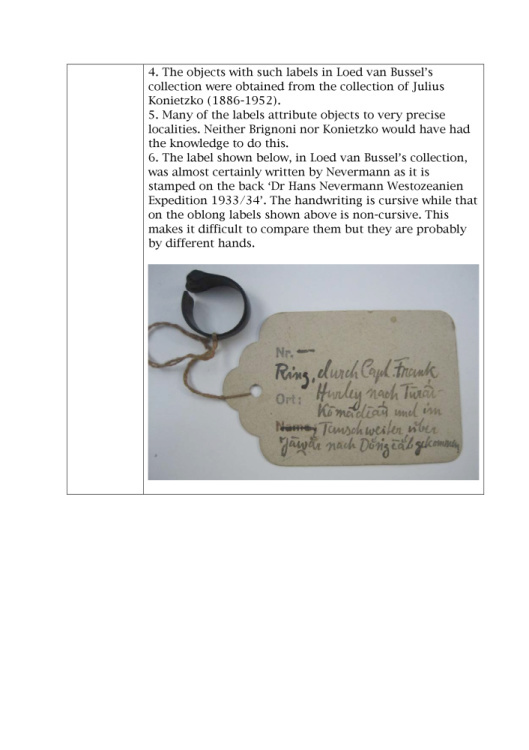 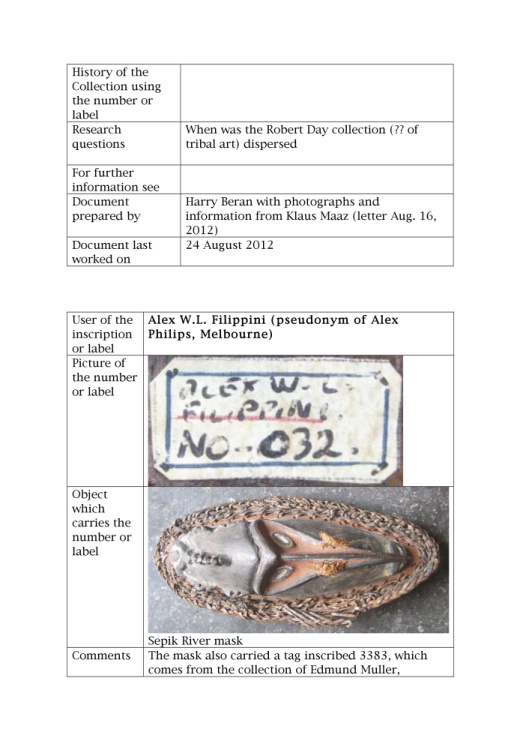 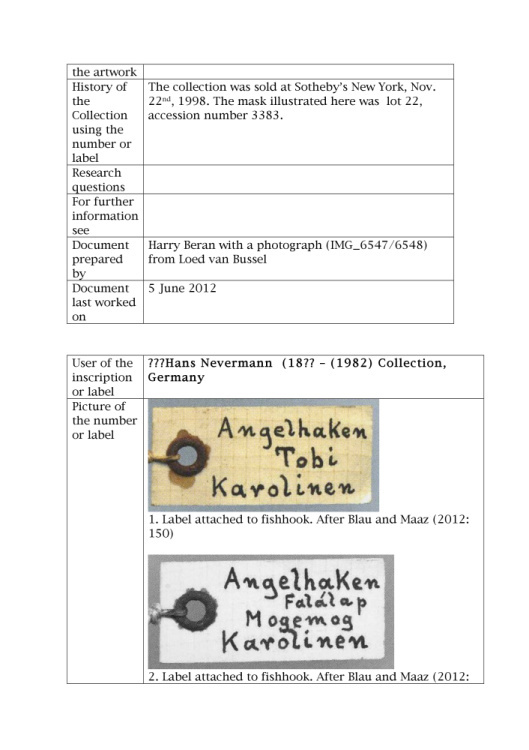 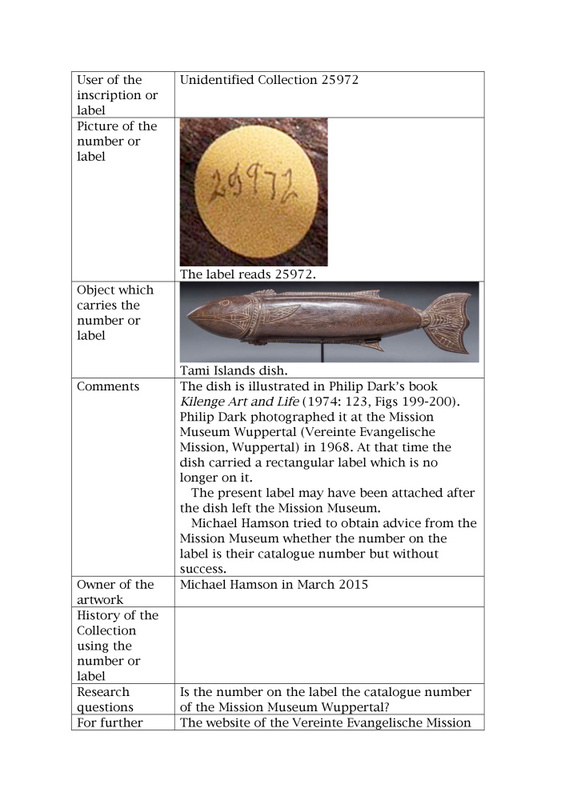 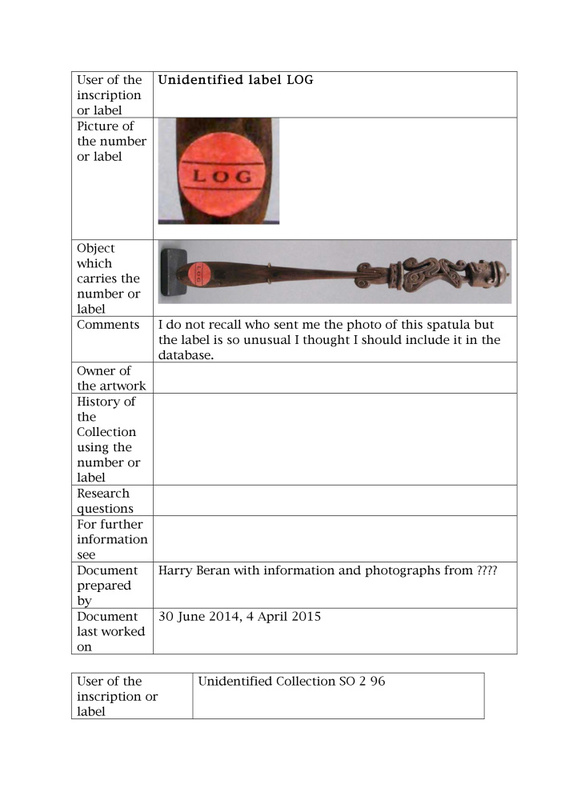 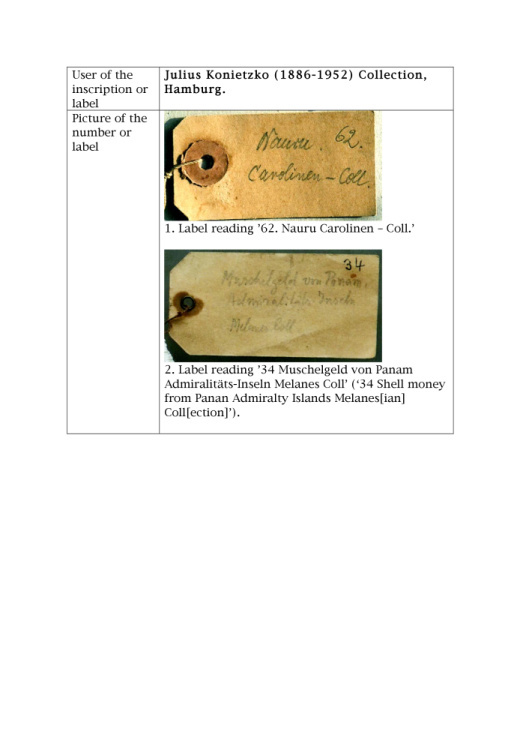 Some early field collectors attached labels to artworks that are now in private collections. 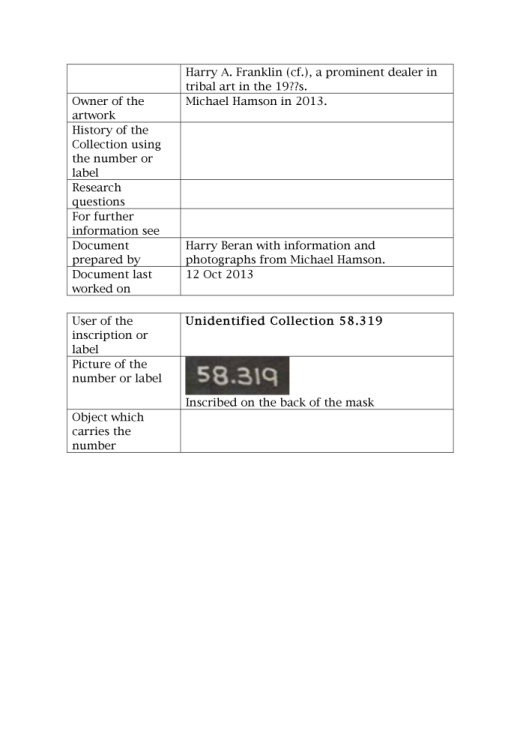 The following is a list of such numbers and labels whose authors have been identified and some more whose authors have not yet been identified. 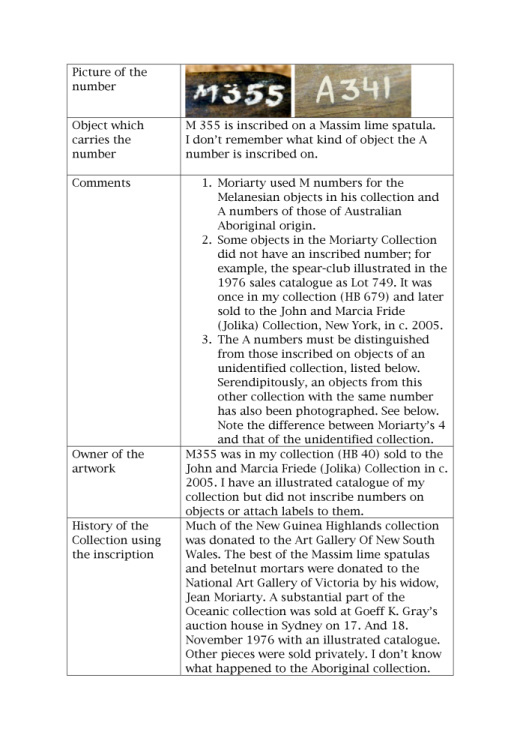 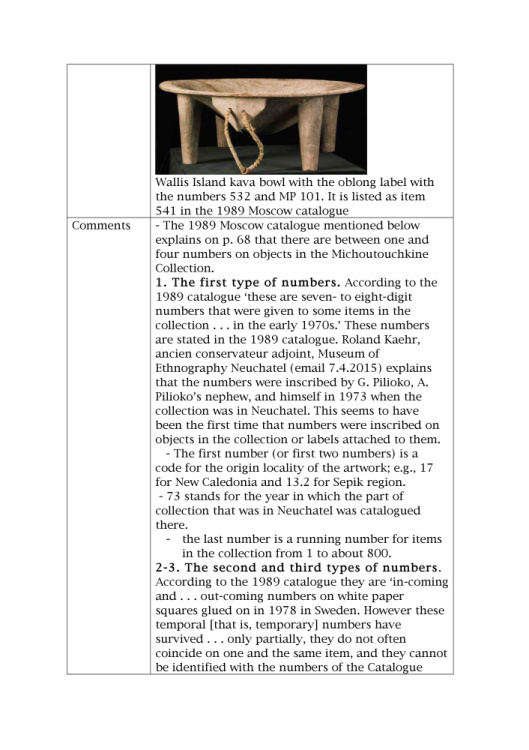 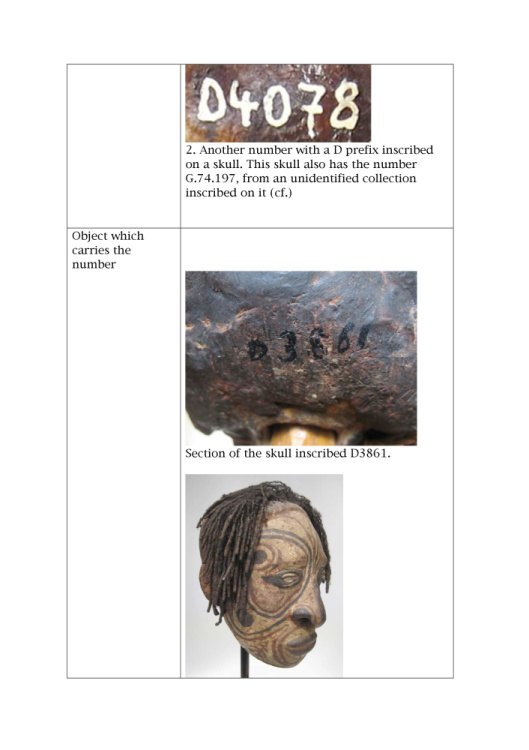 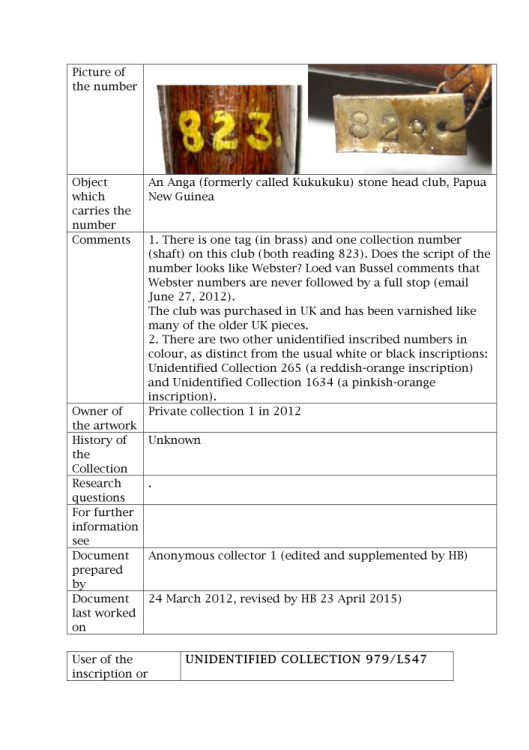 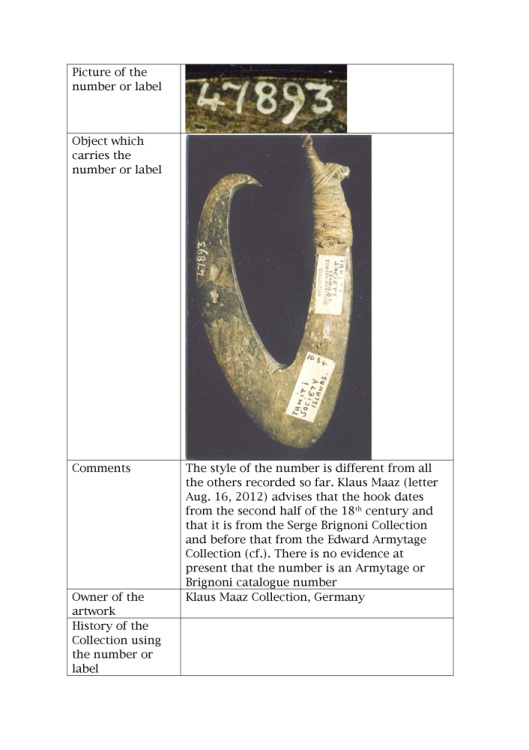 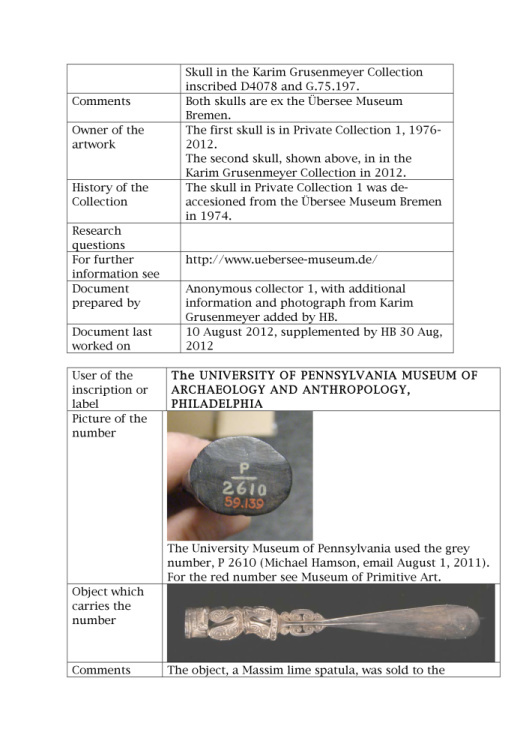 As to the registration numbers of public institutions: only those of institutions which have de-accessioned objects are included. 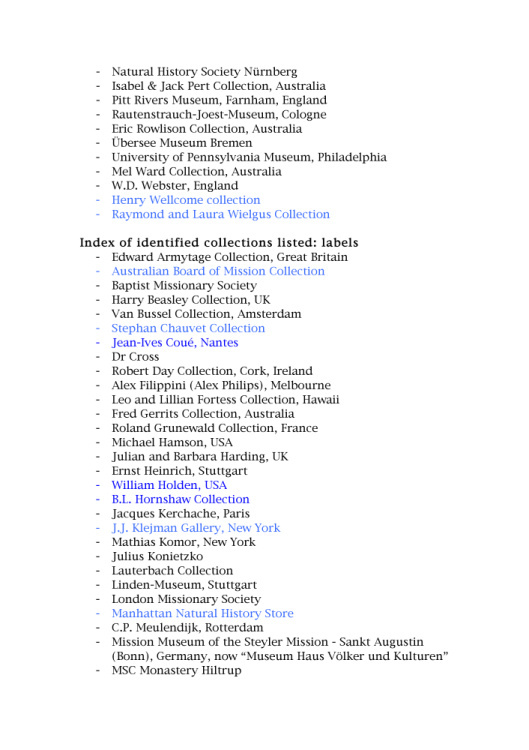 The list is in alphabetical order of inscribers or label users. 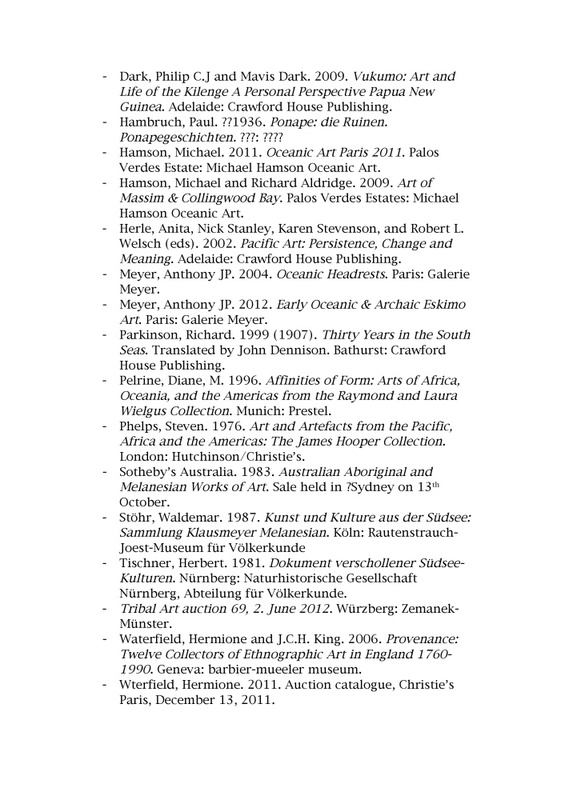 The present list is work in progress. 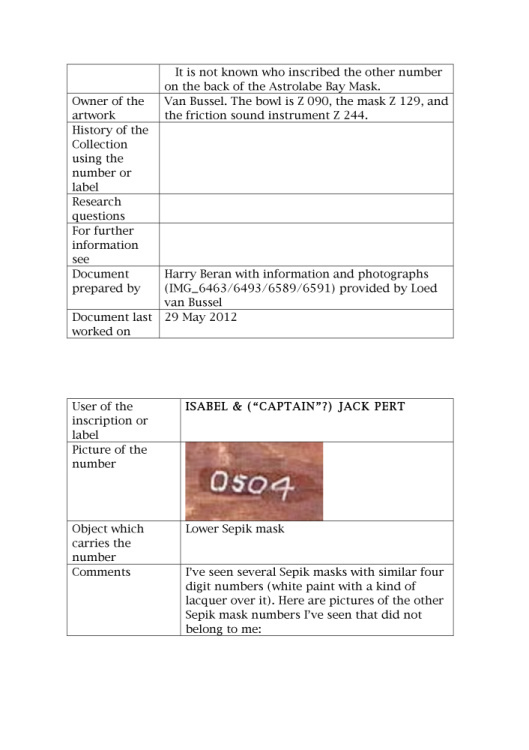 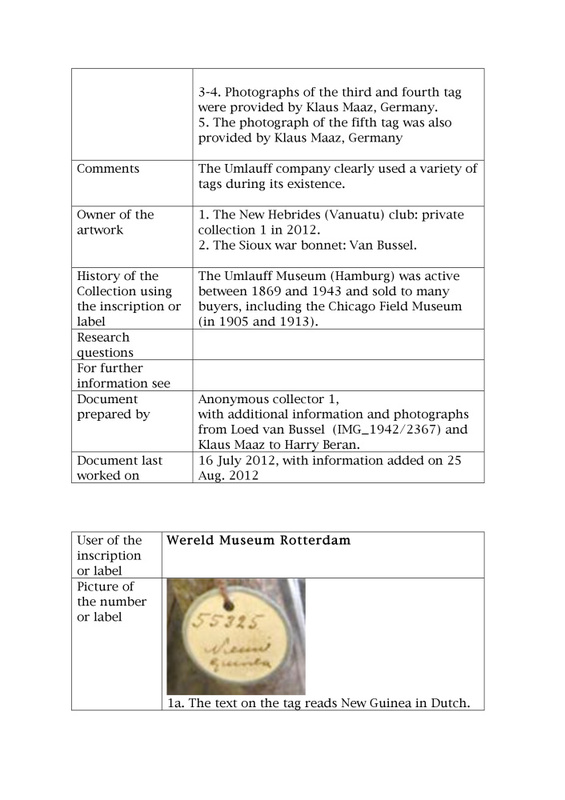 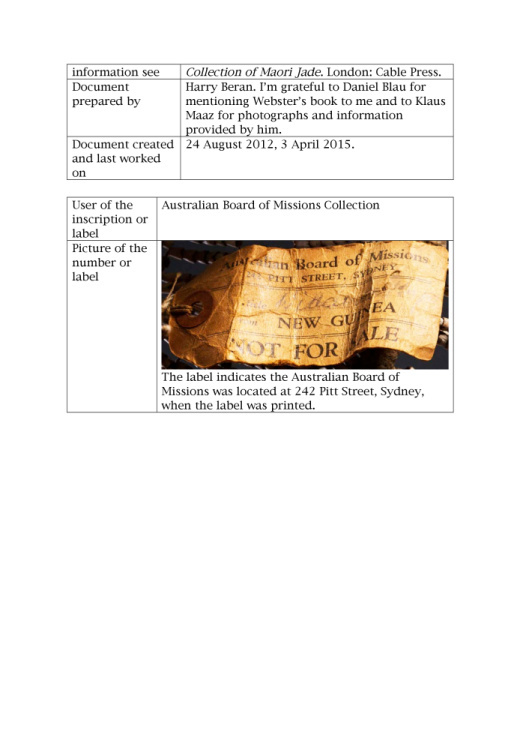 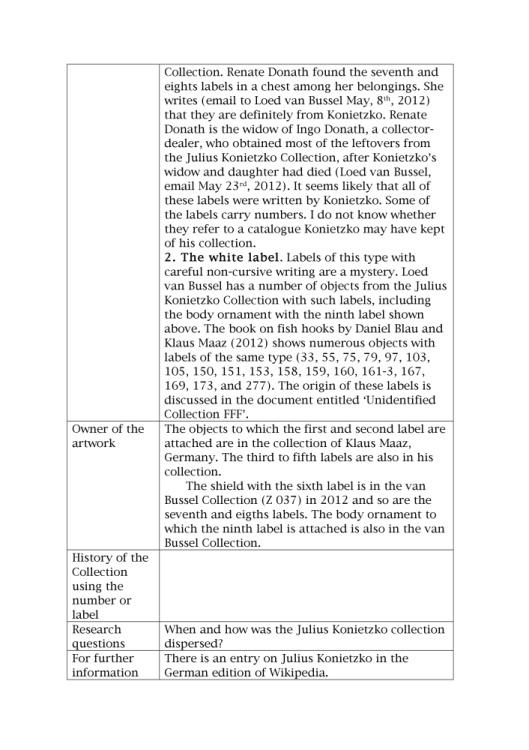 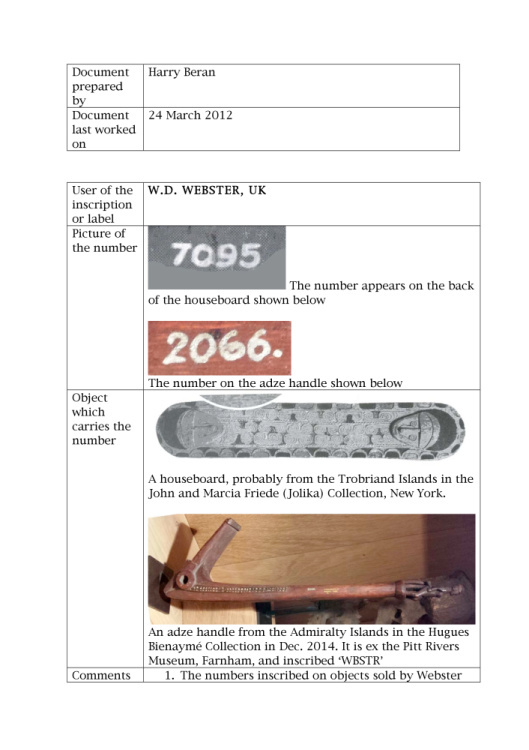 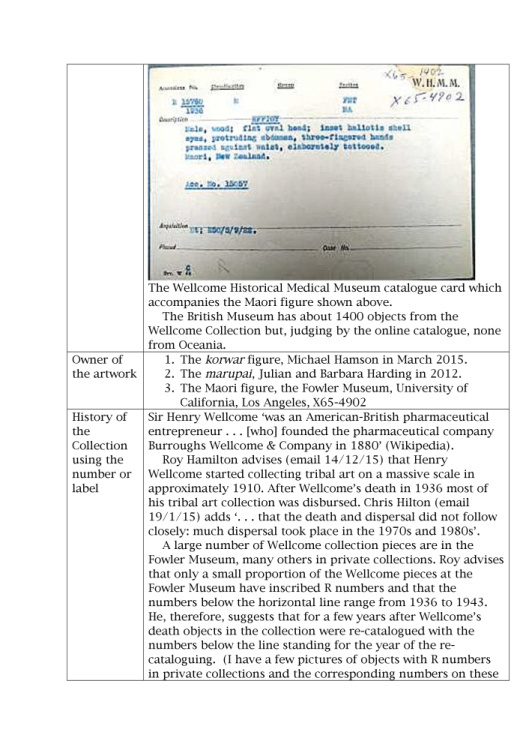 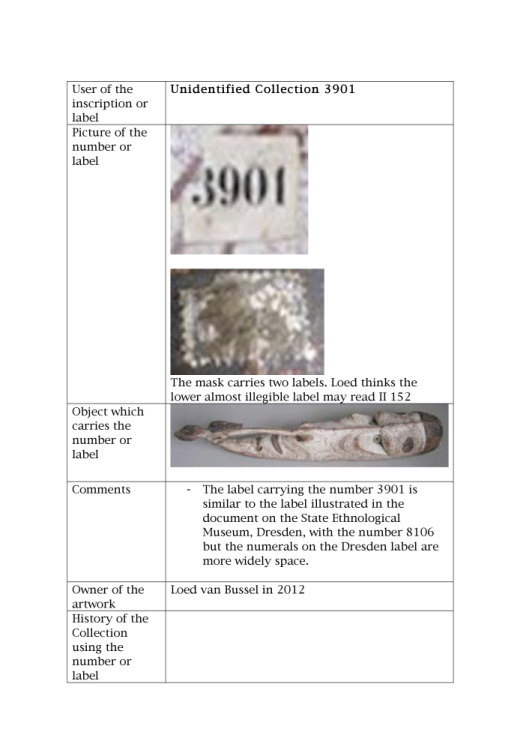 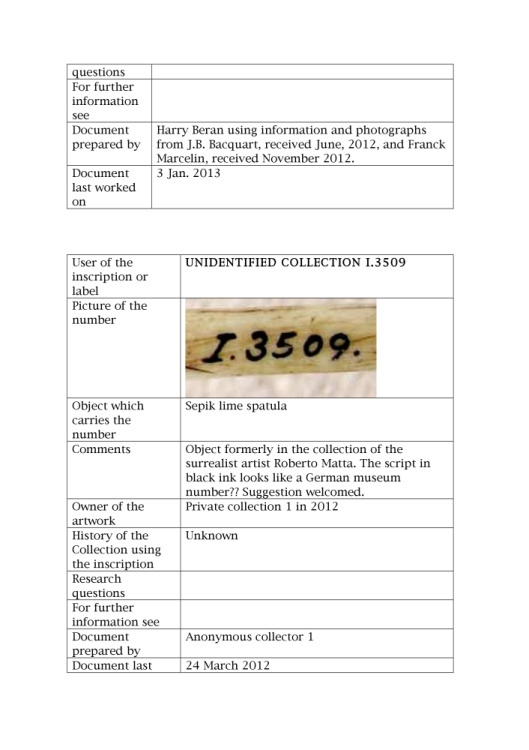 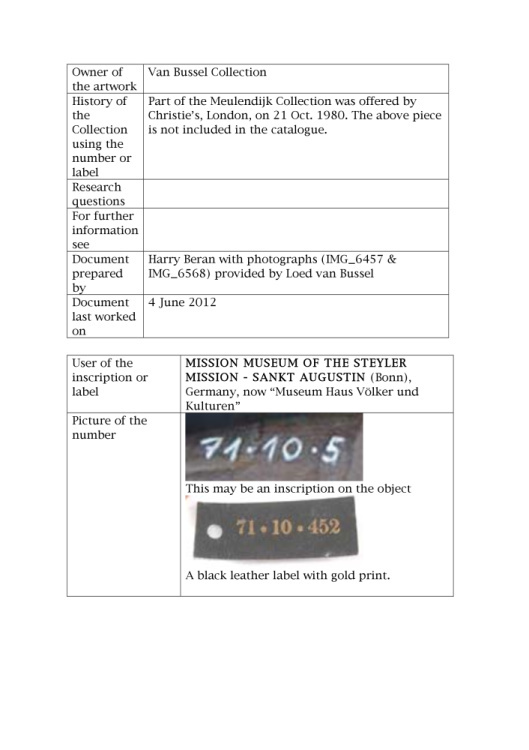 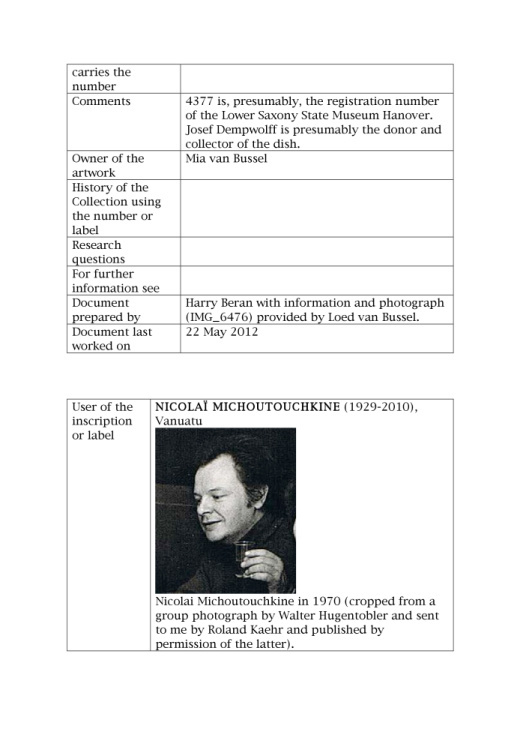 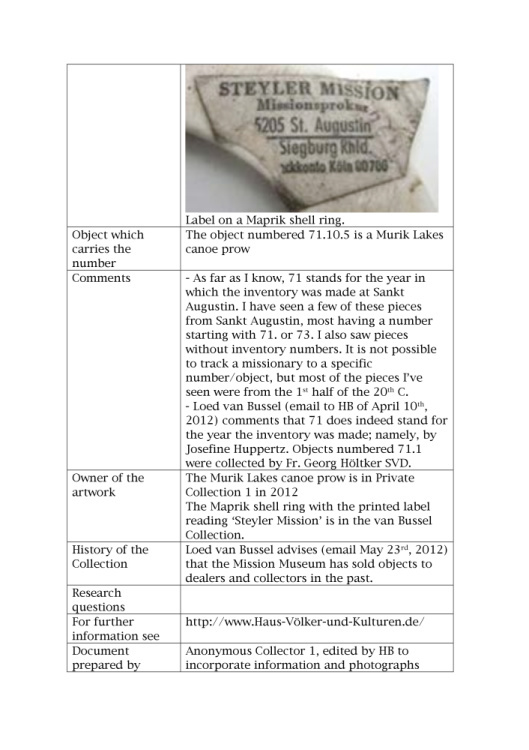 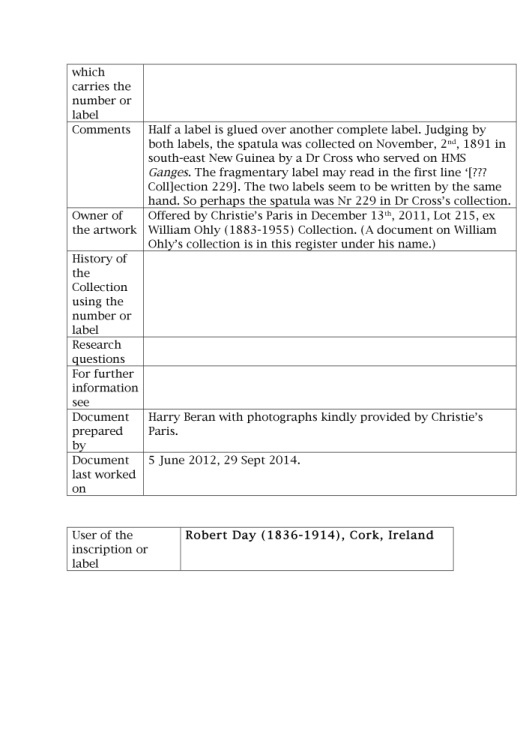 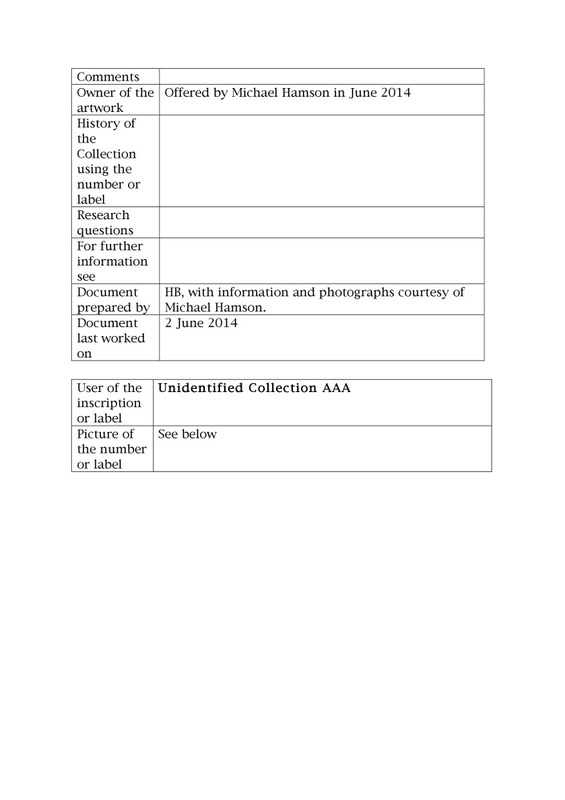 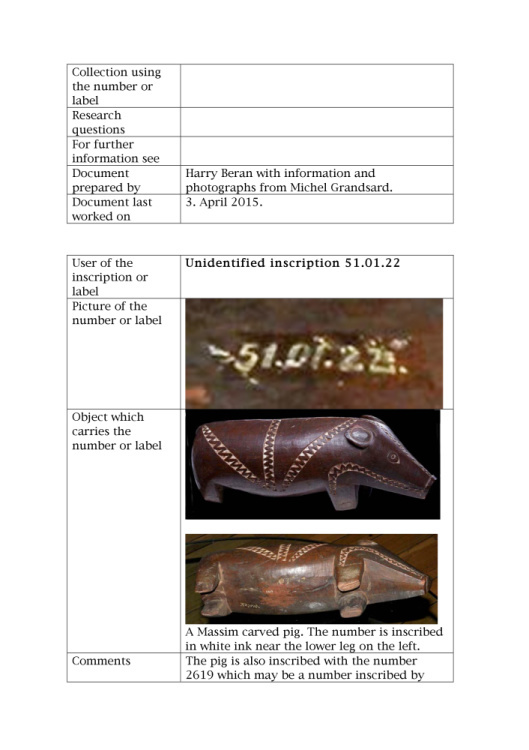 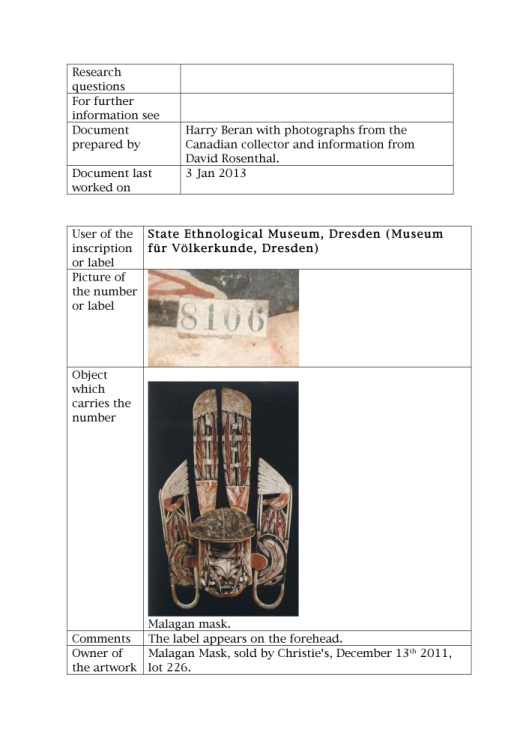 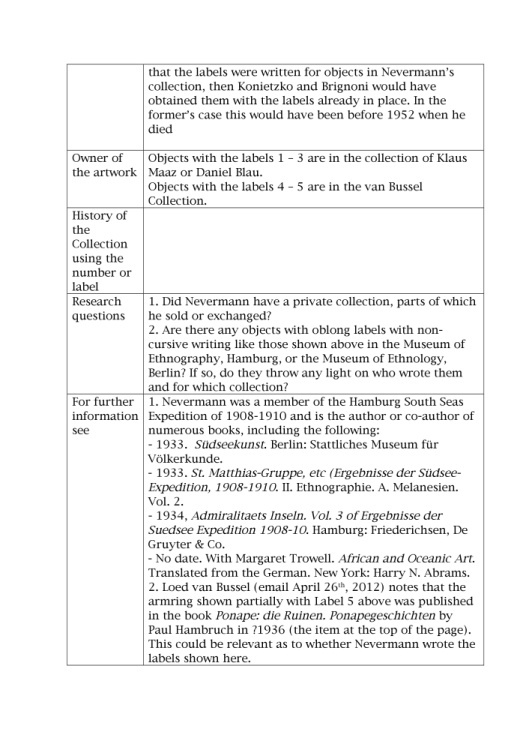 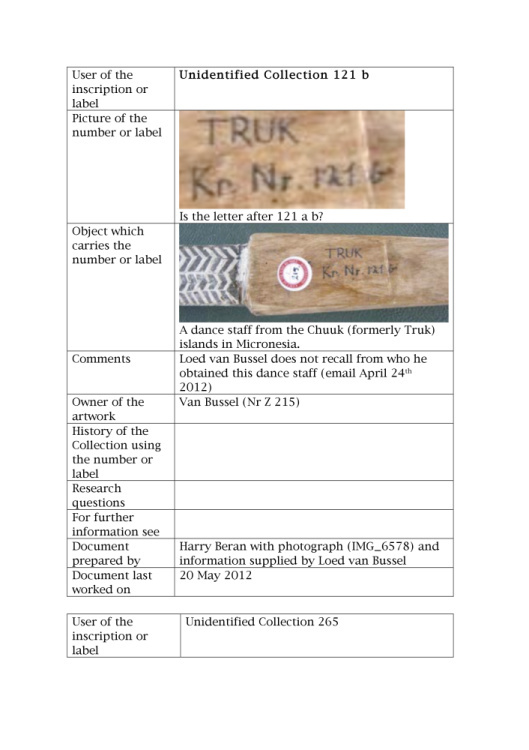 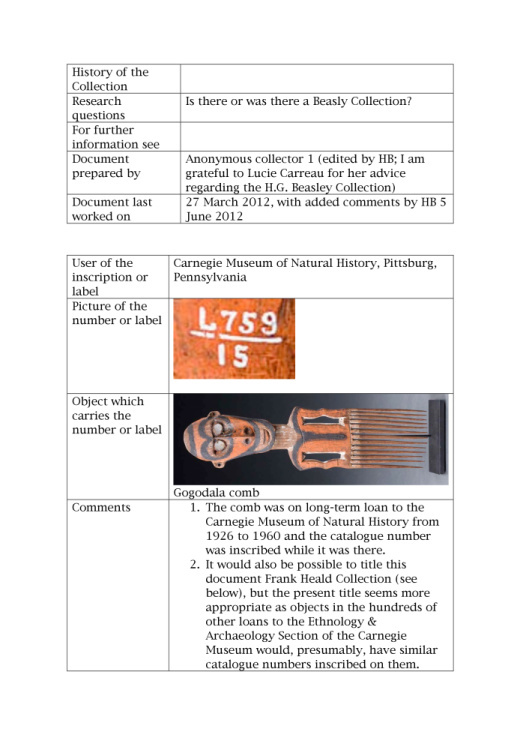 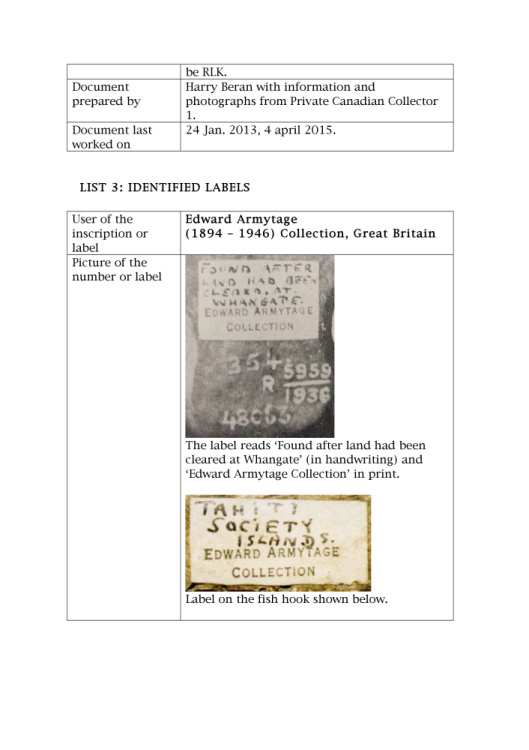 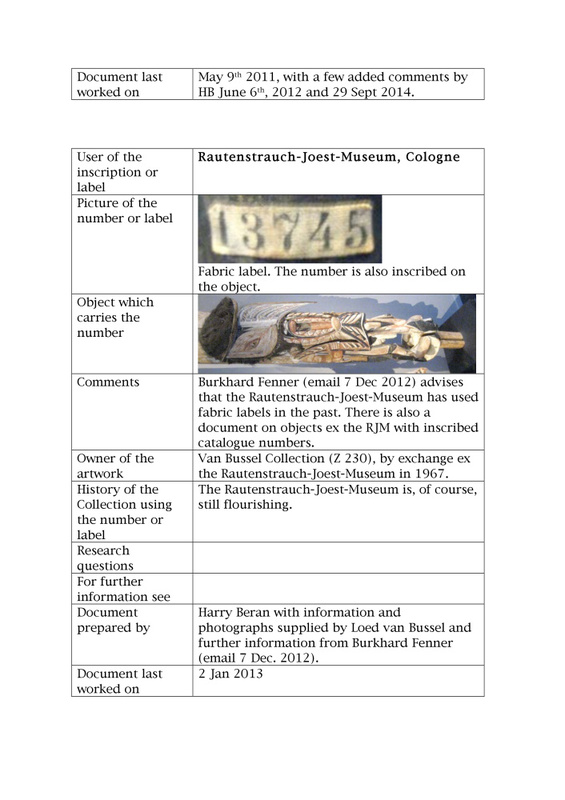 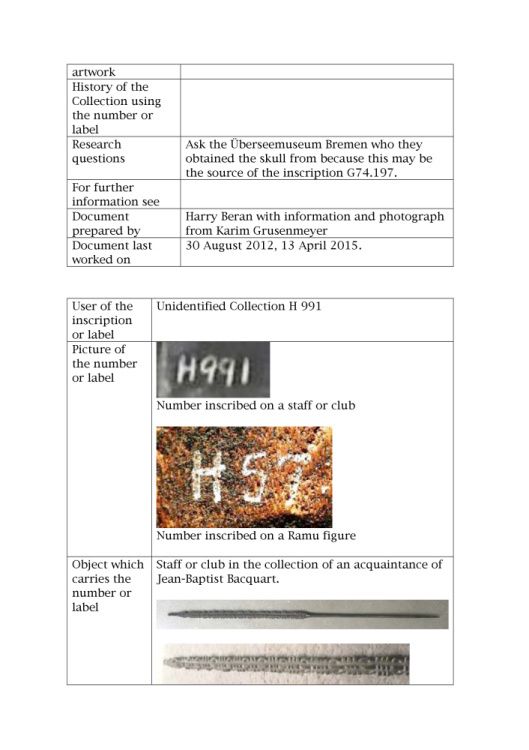 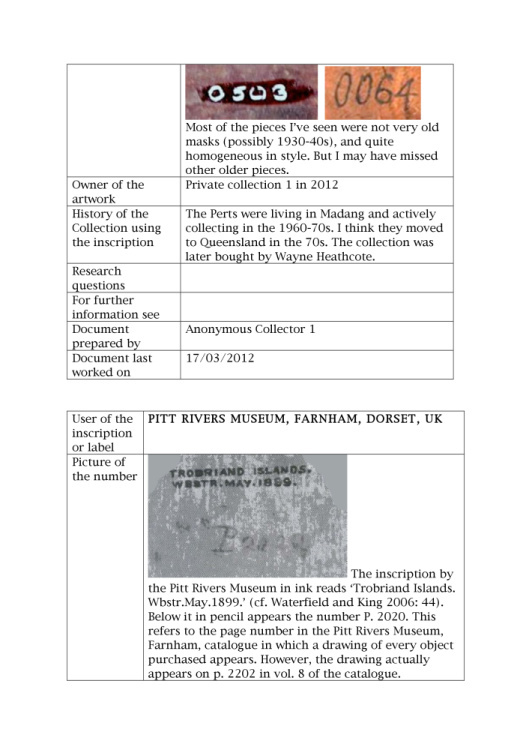 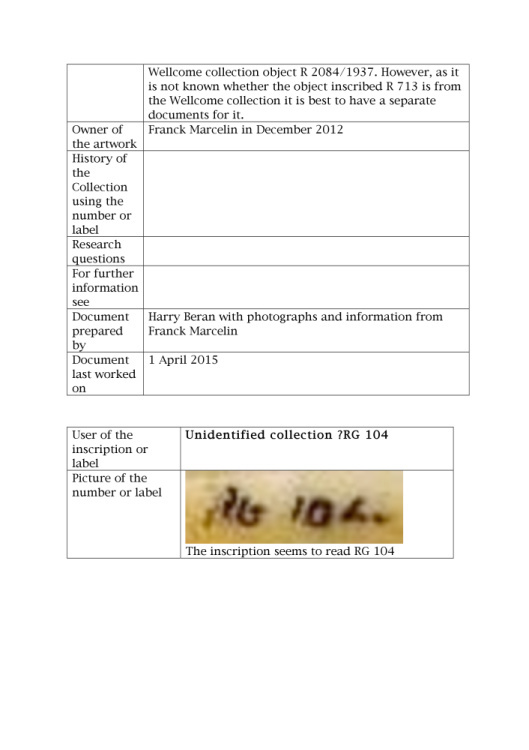 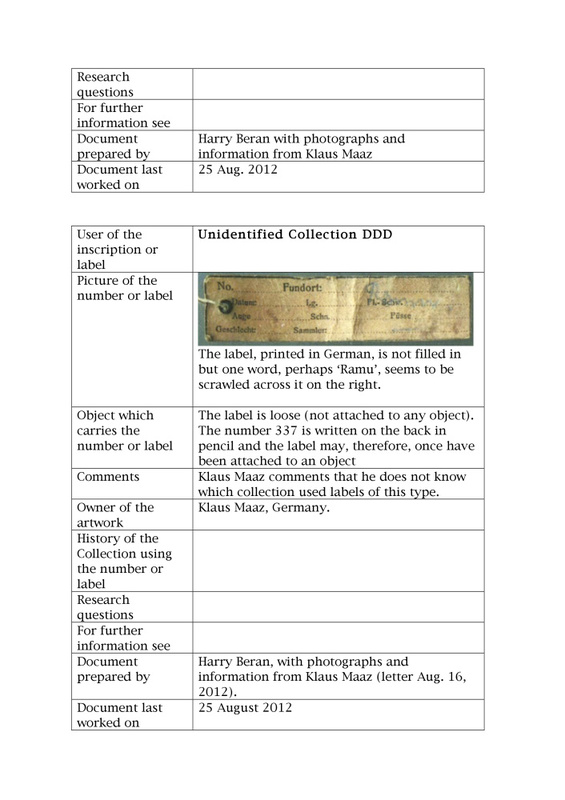 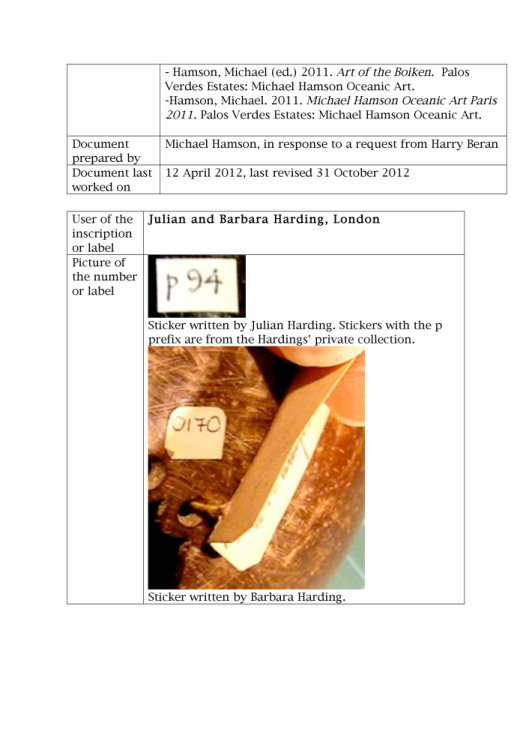 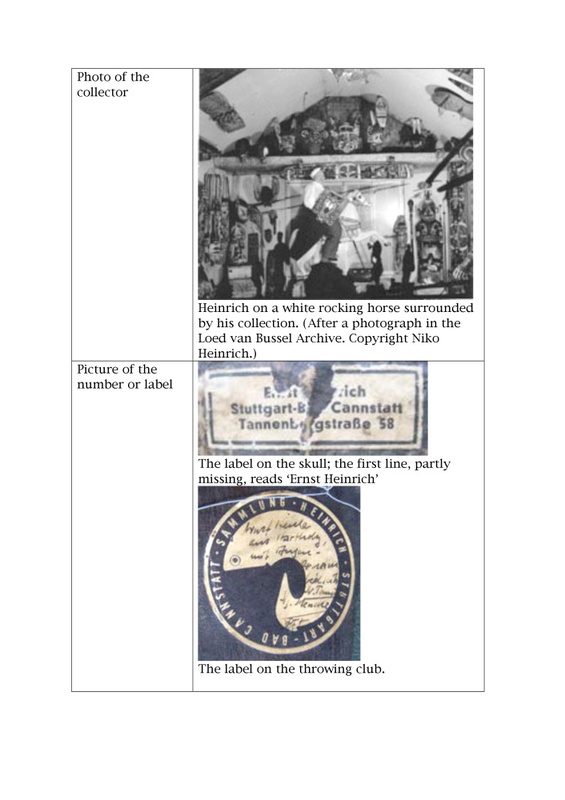 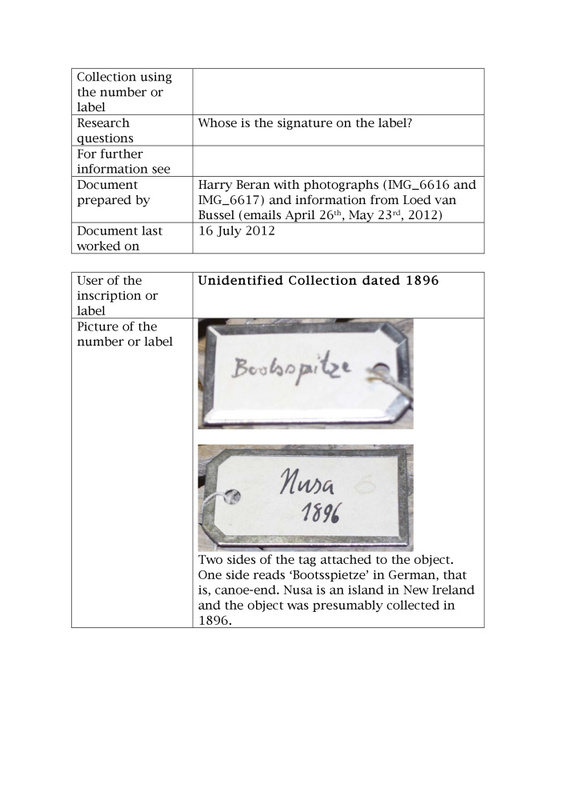 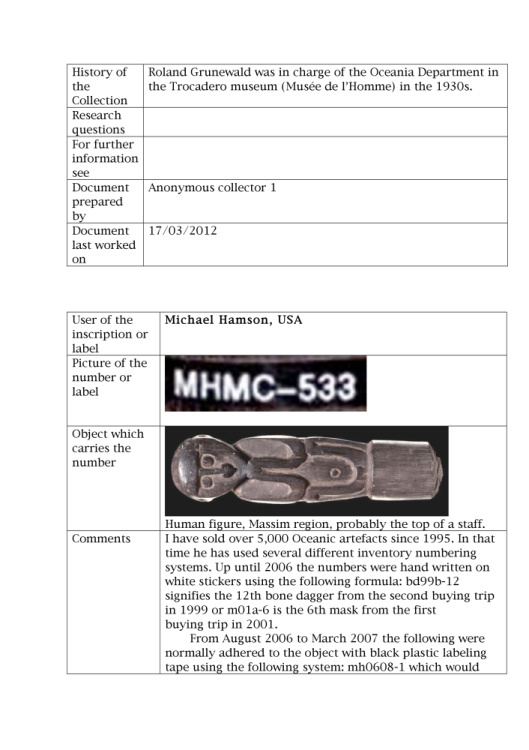 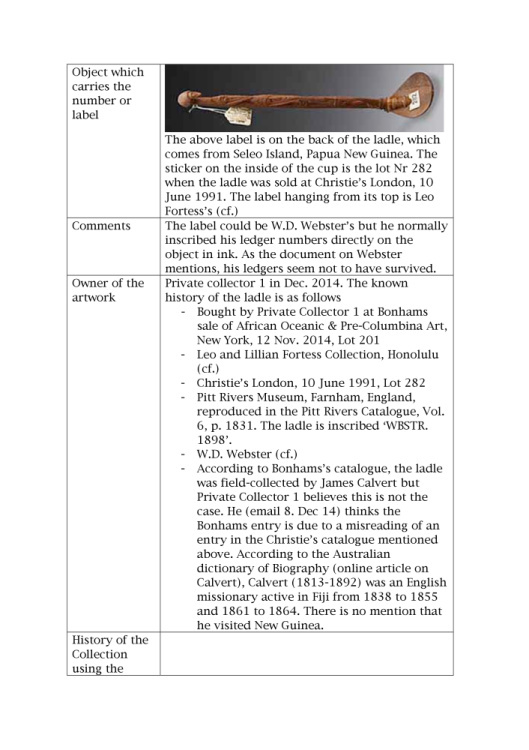 It includes documents on some labels whose users are obvious because they carry the name of the person who used them (e.g. 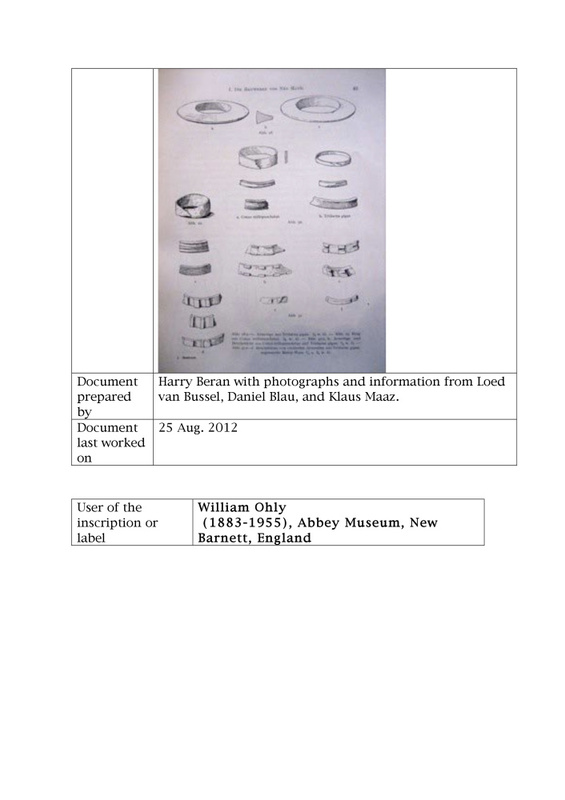 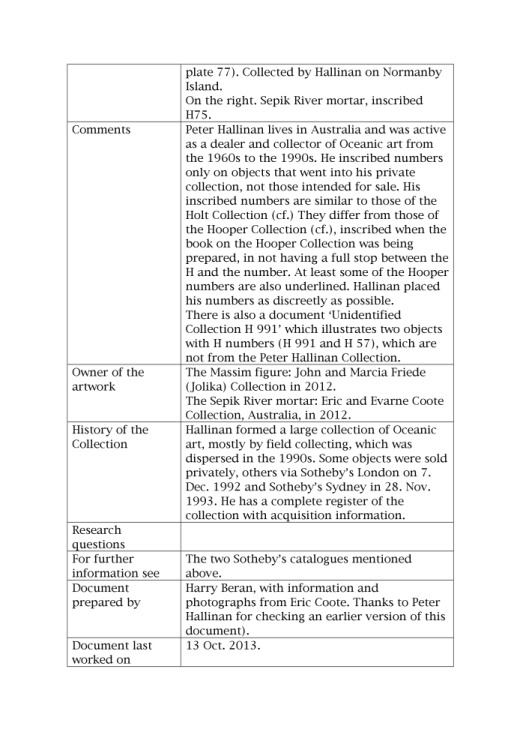 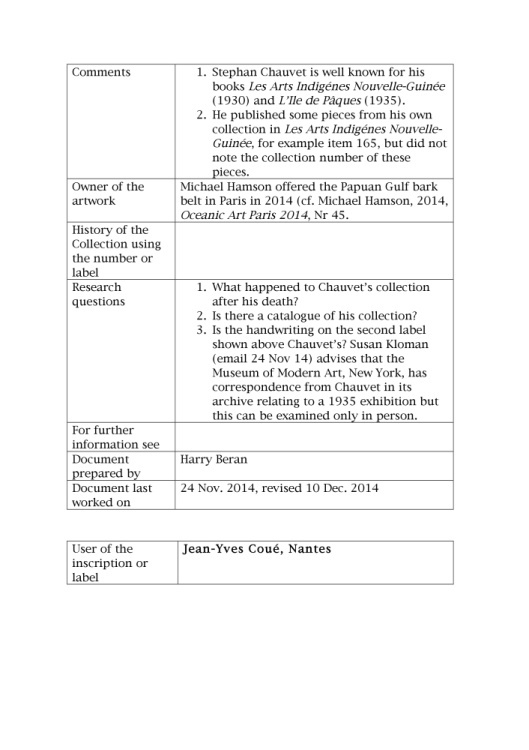 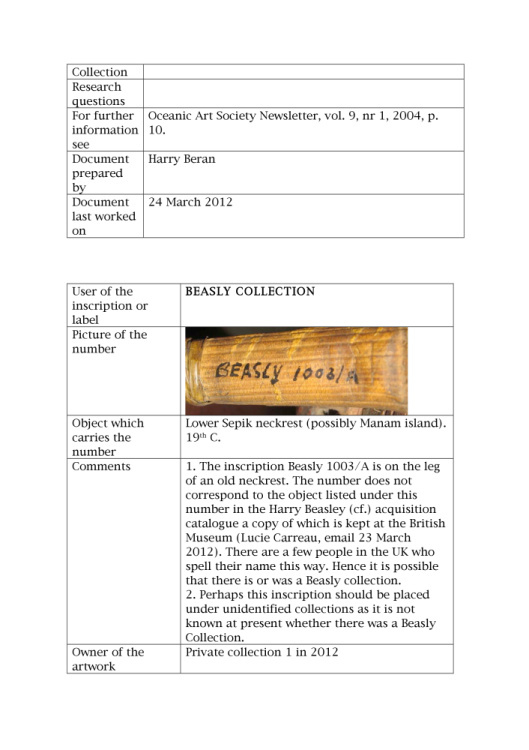 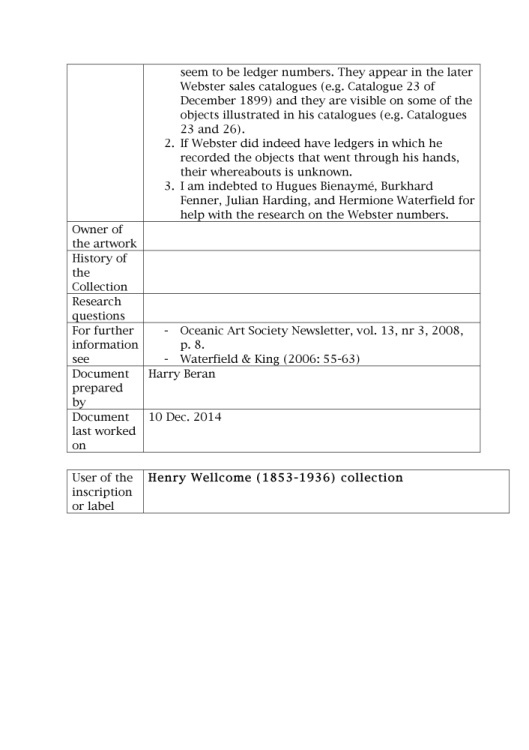 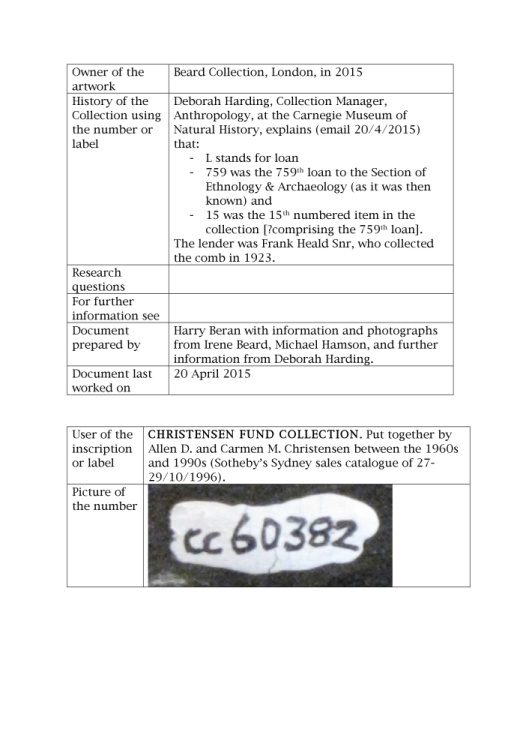 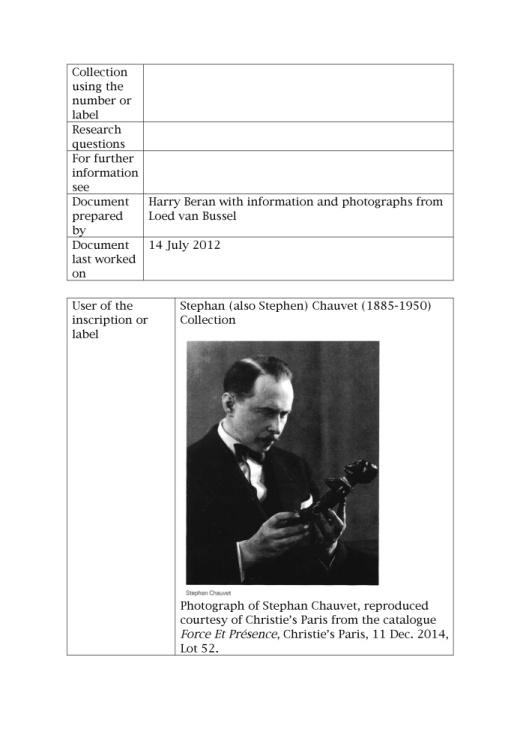 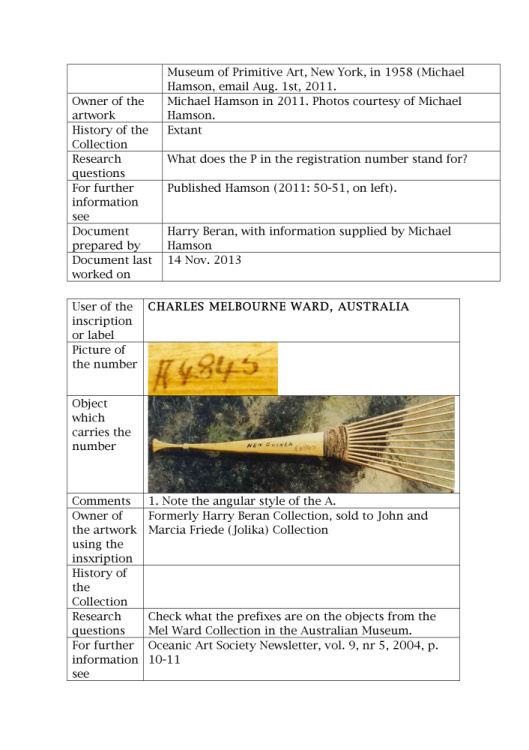 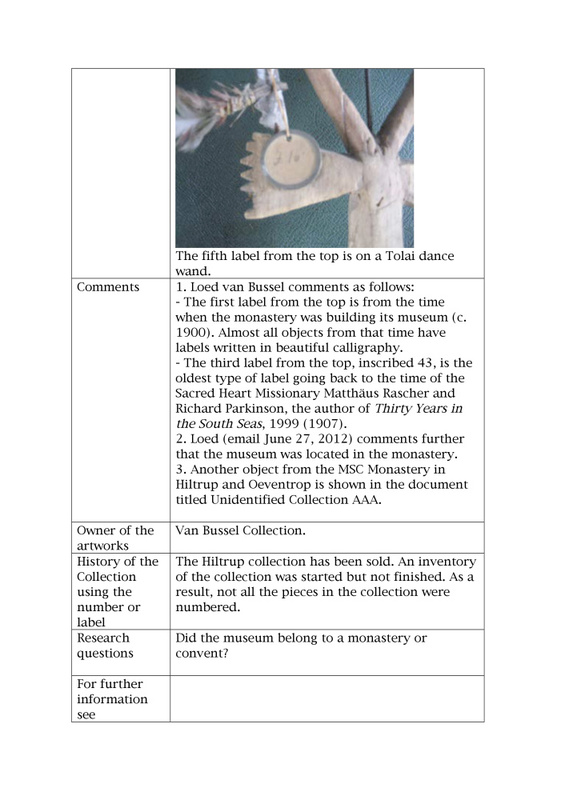 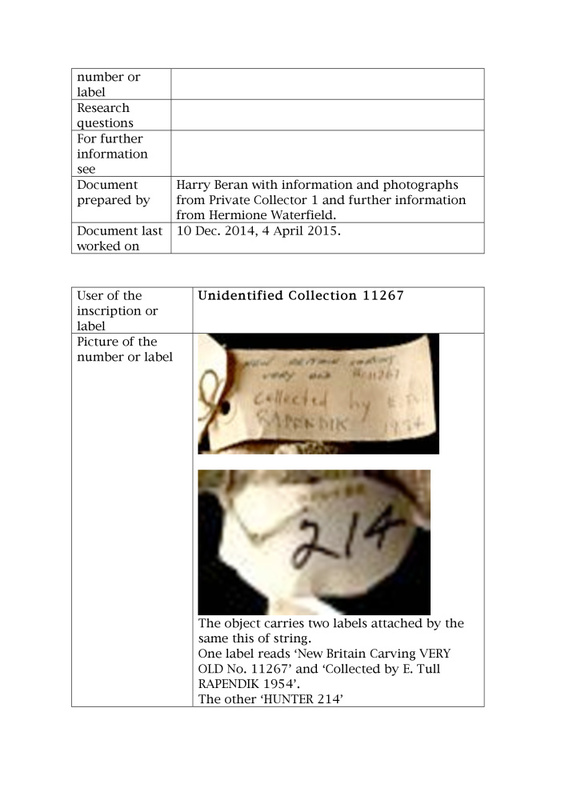 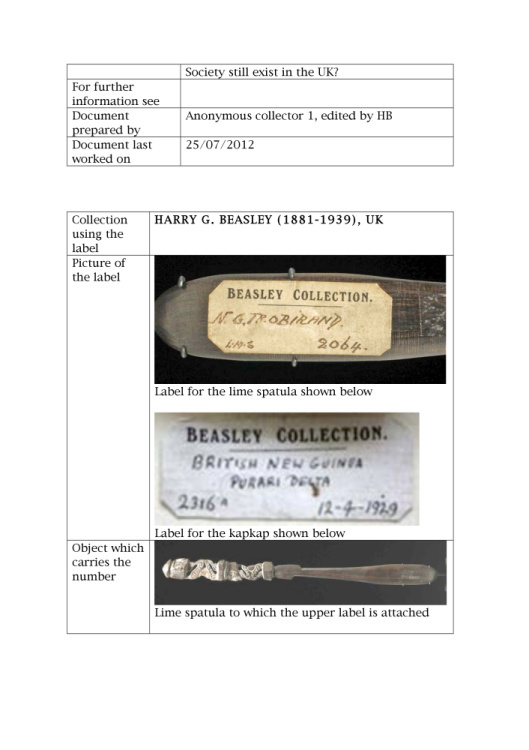 Harry Beasley) because this permits providing information about this person and his or her collection. 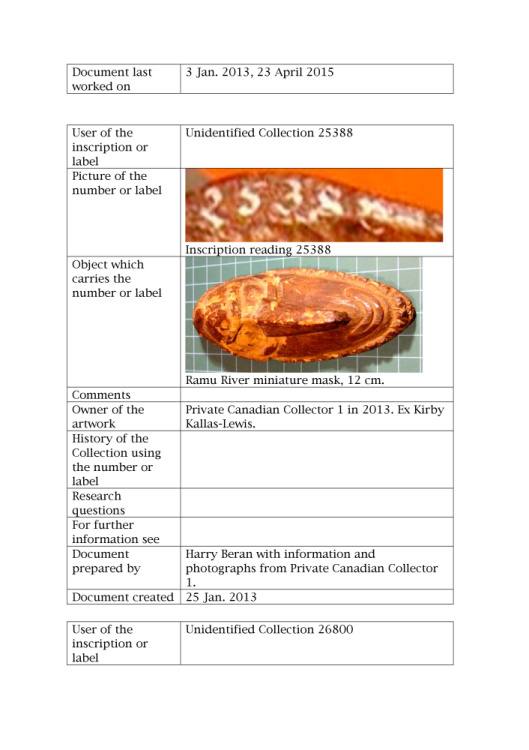 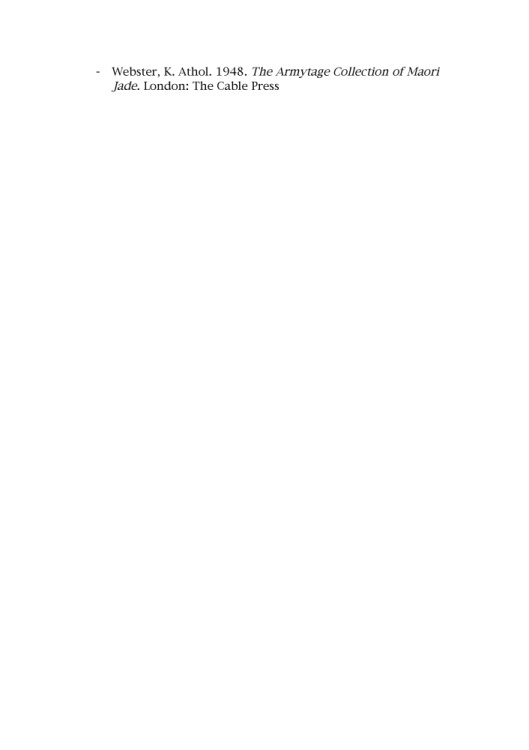 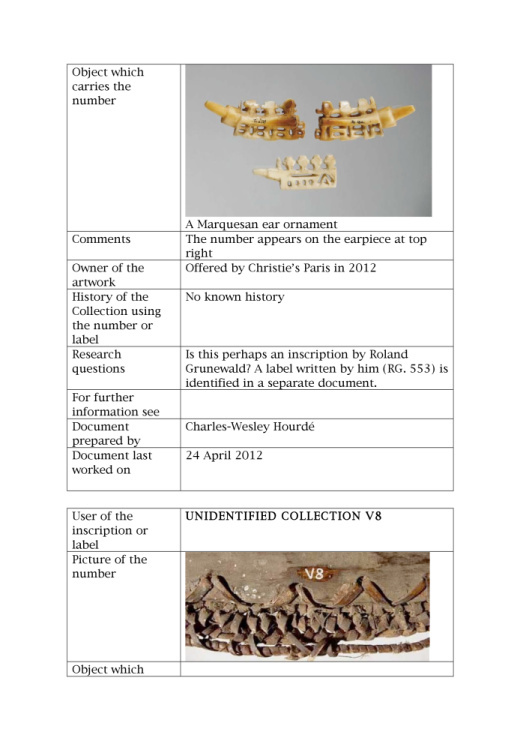 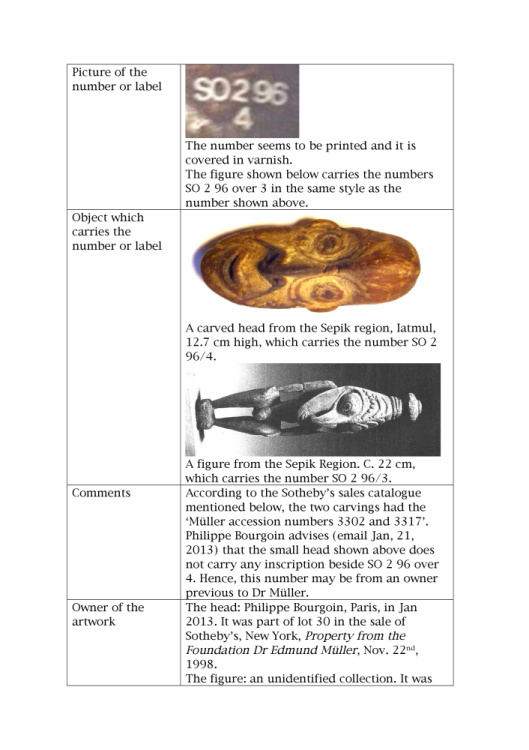 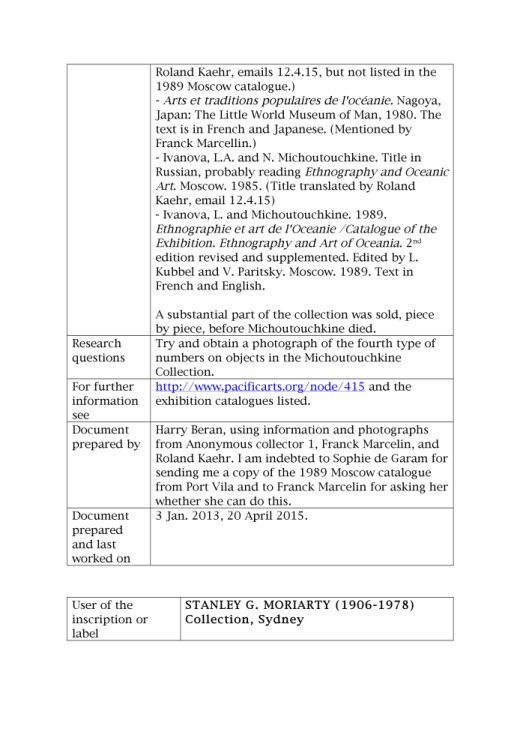 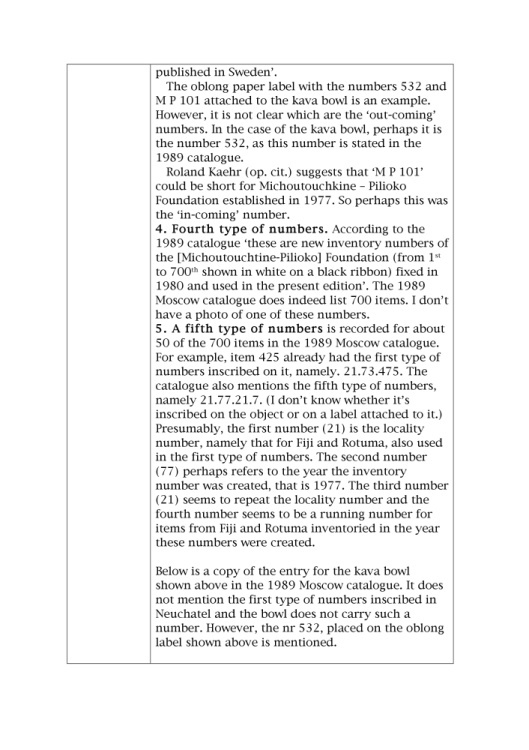 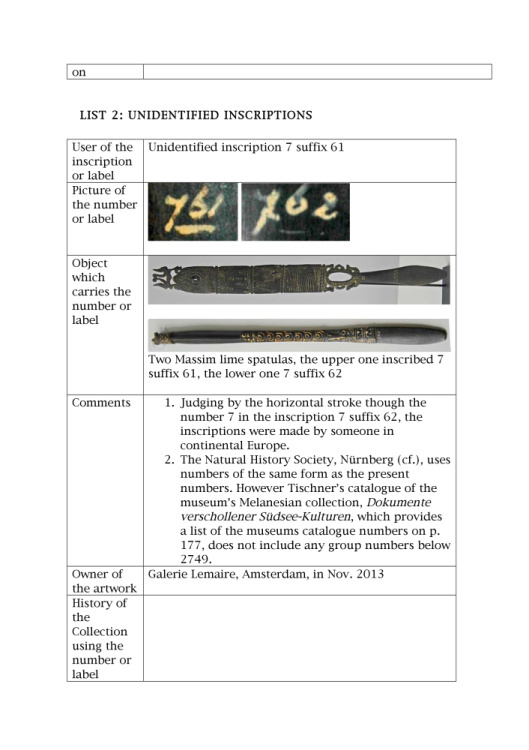 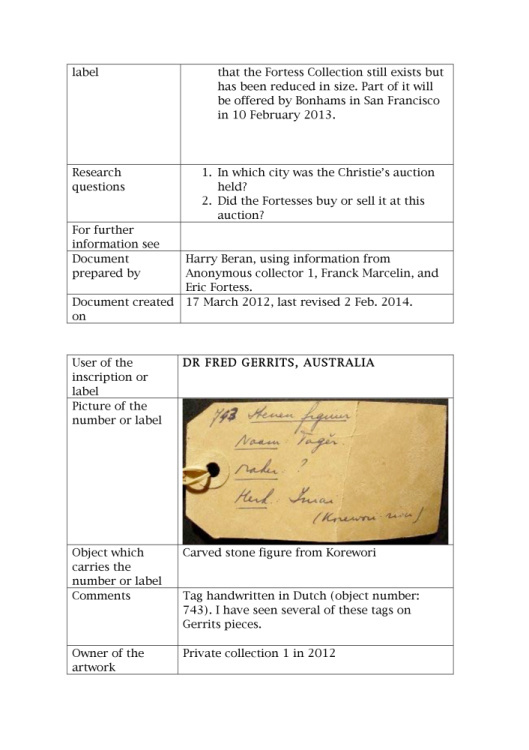 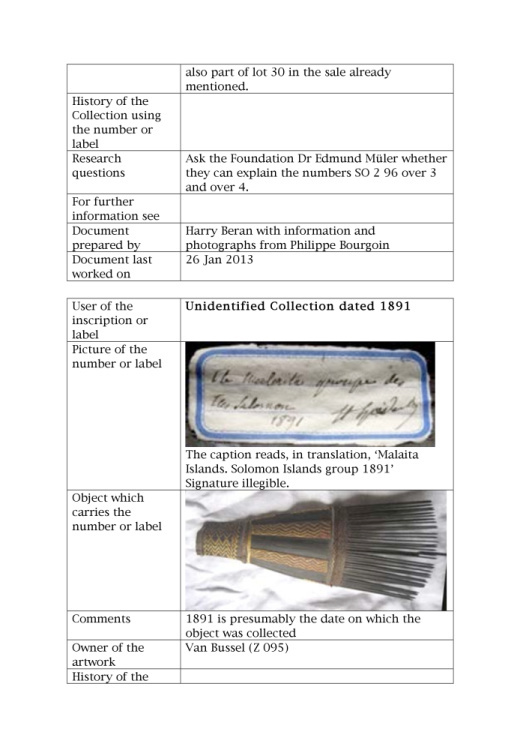 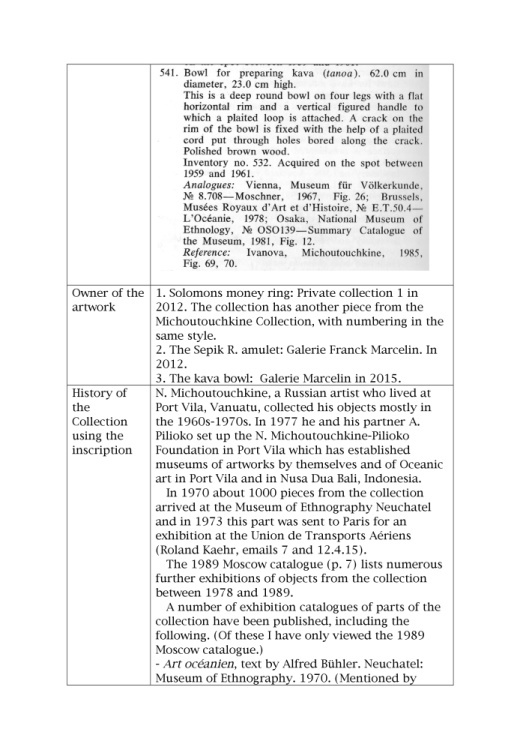 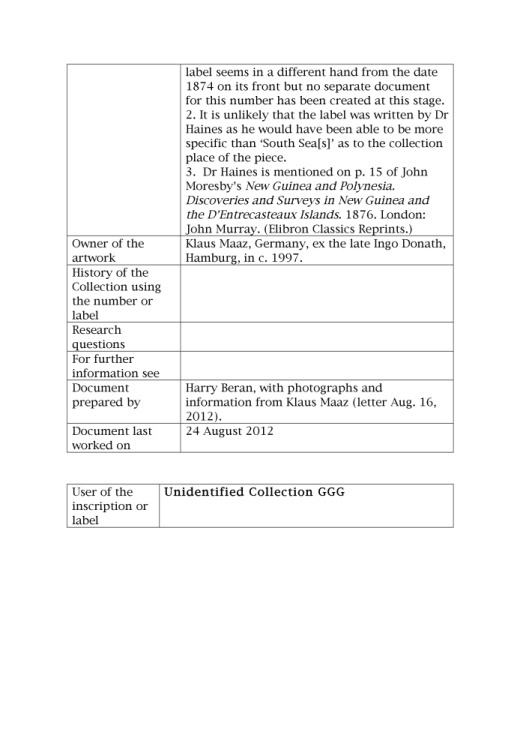 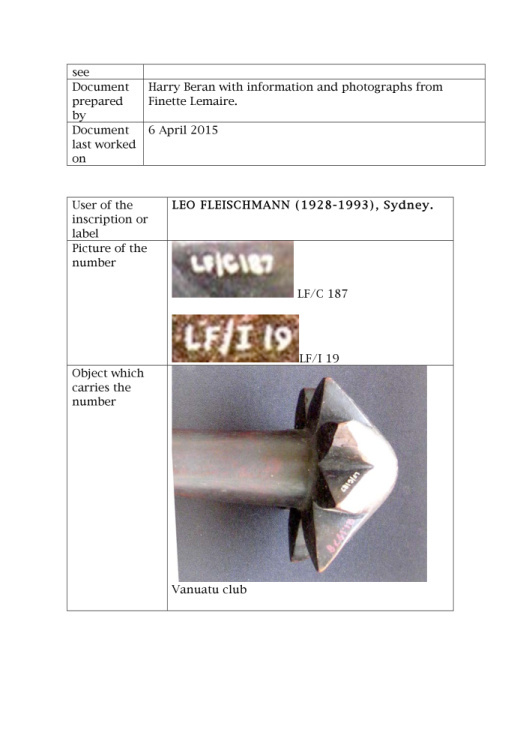 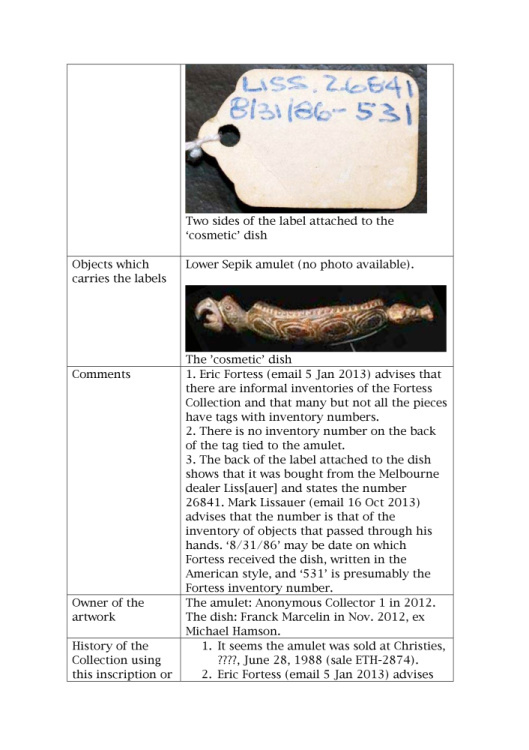 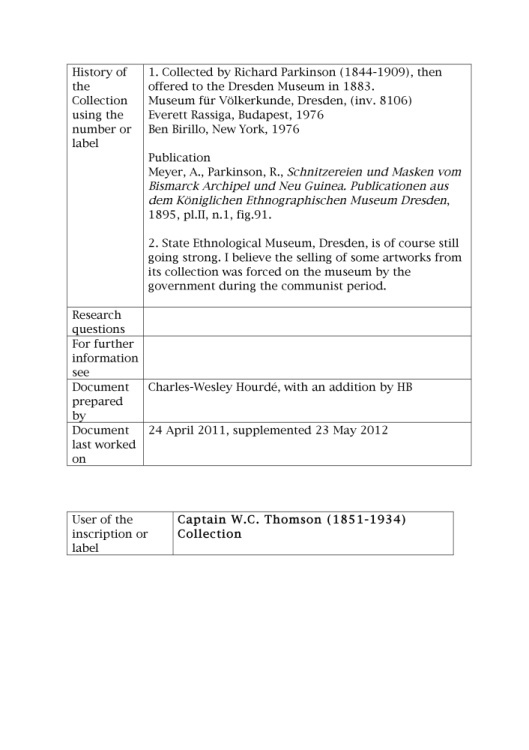 Cross-references to other documents in the list are marked (cf.) 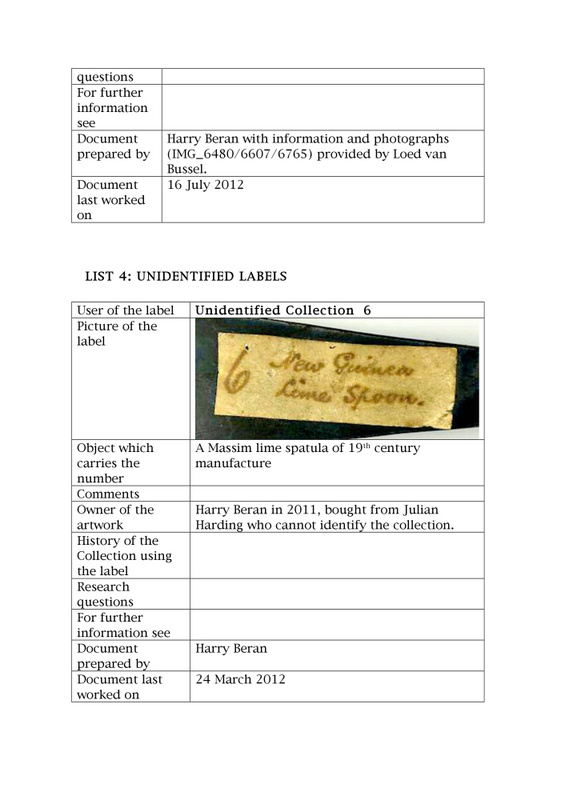 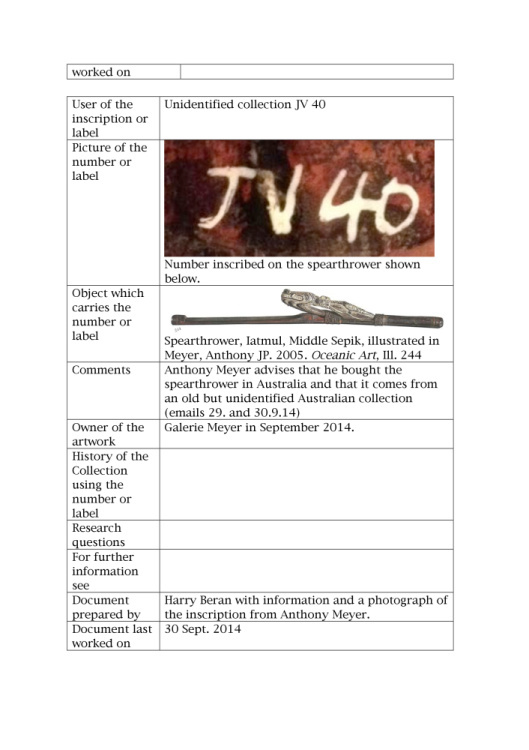 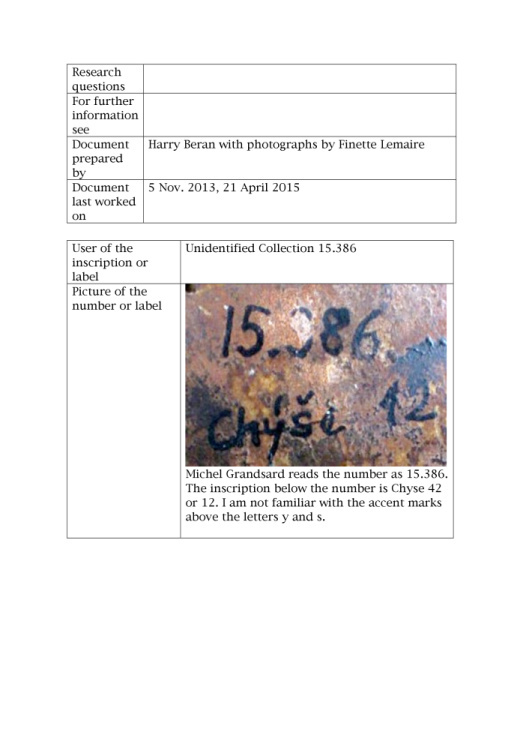 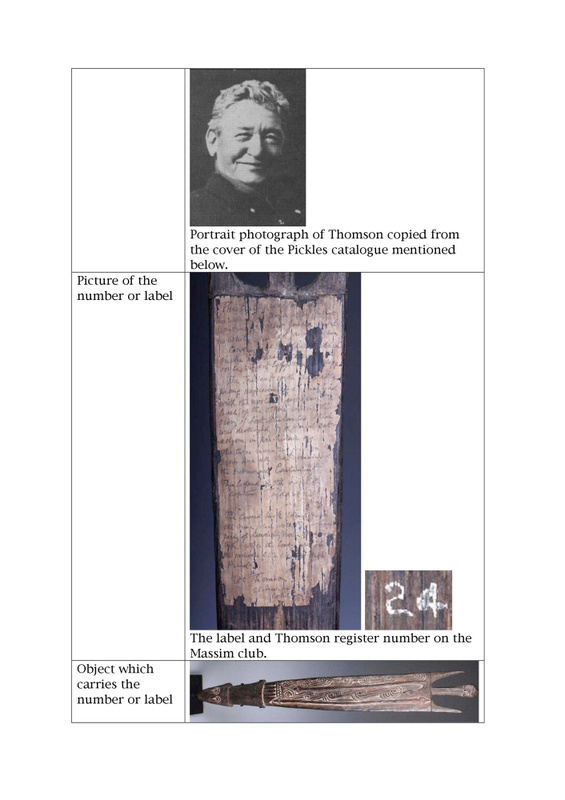 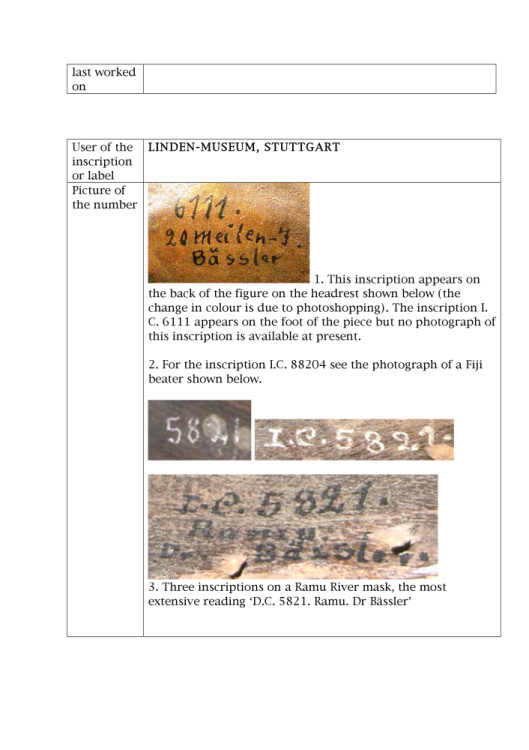 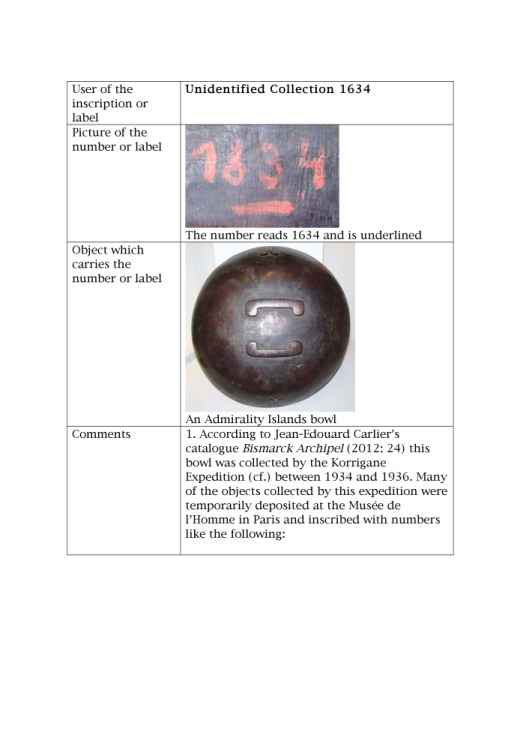 Documents on unidentified authors of inscriptions or labels include part of the text of the inscription or label, usually a number, in the title. 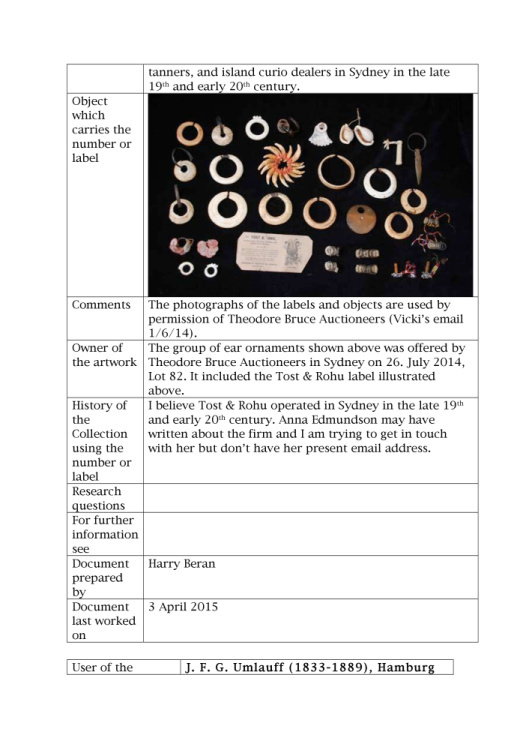 If you would like to add to the database, please use the online form provided.